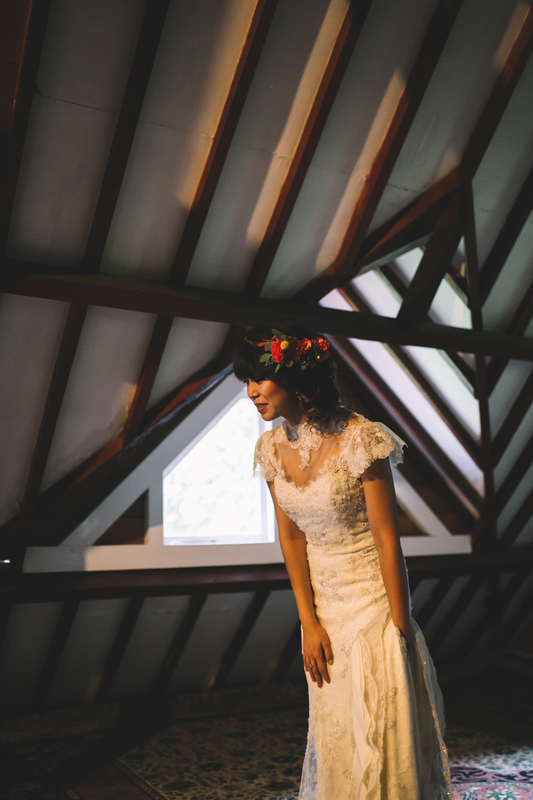 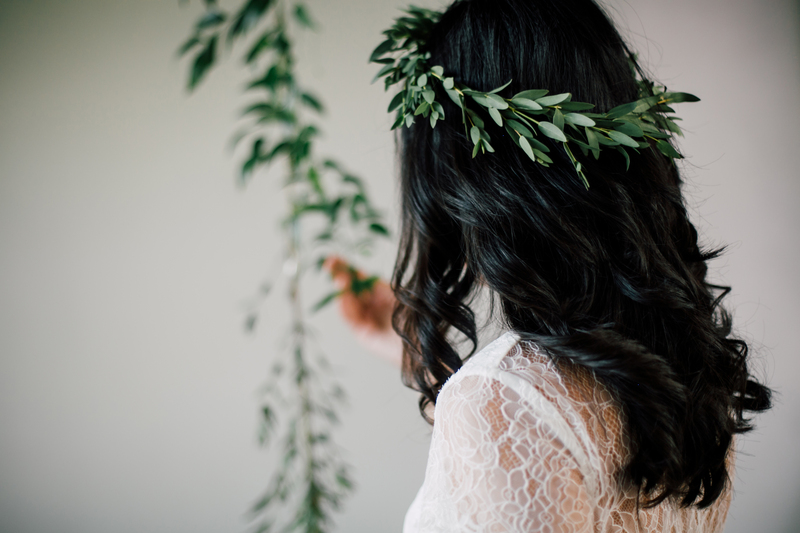 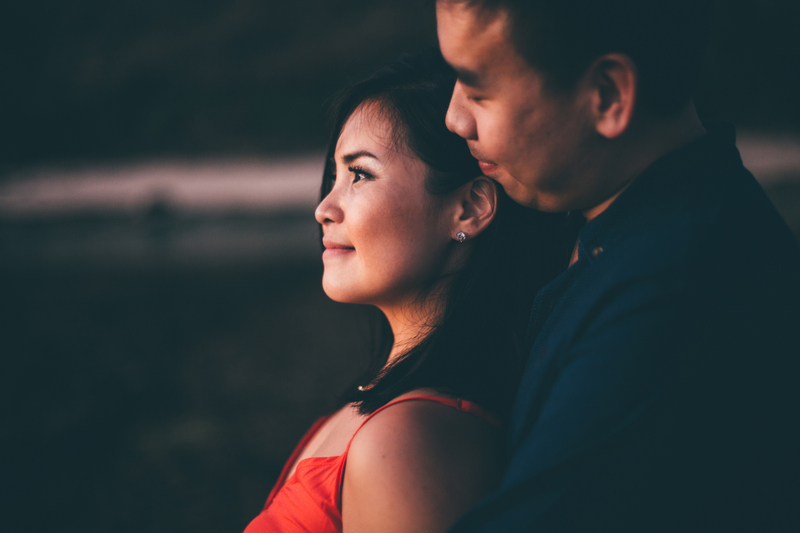 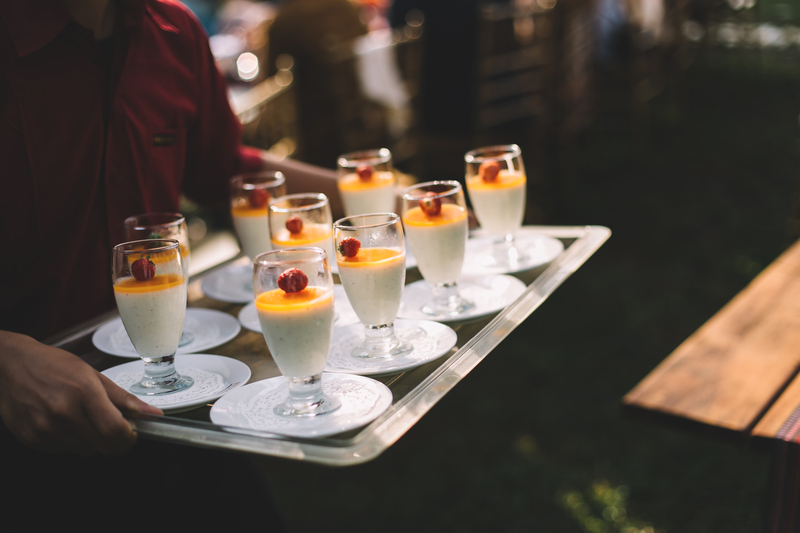 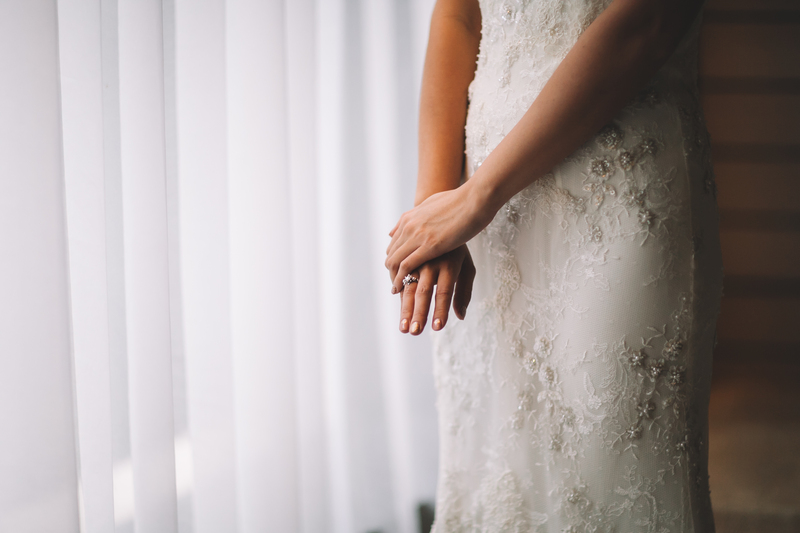 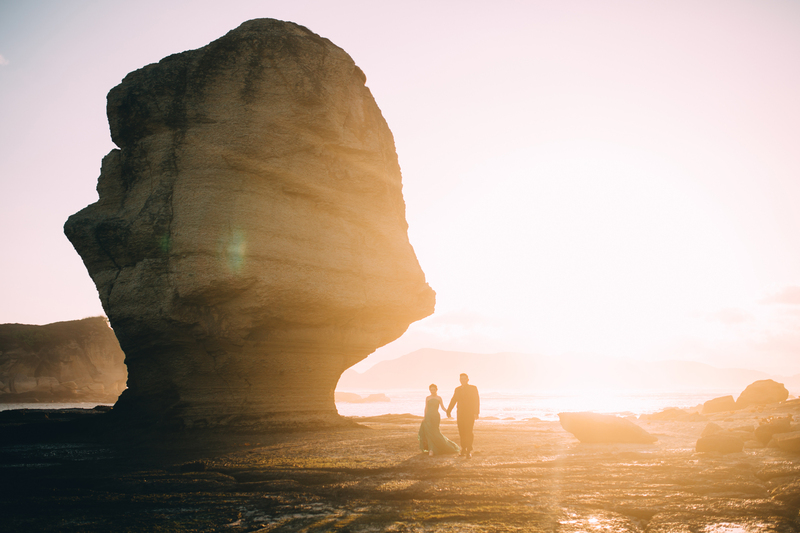 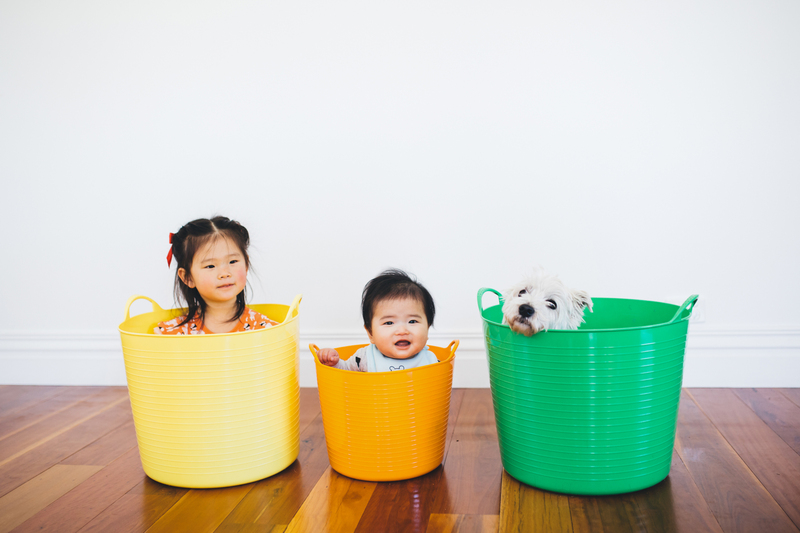 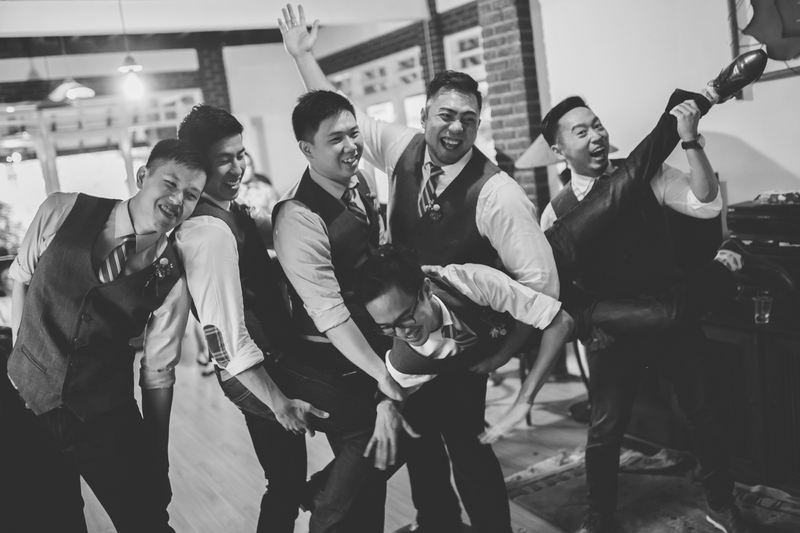 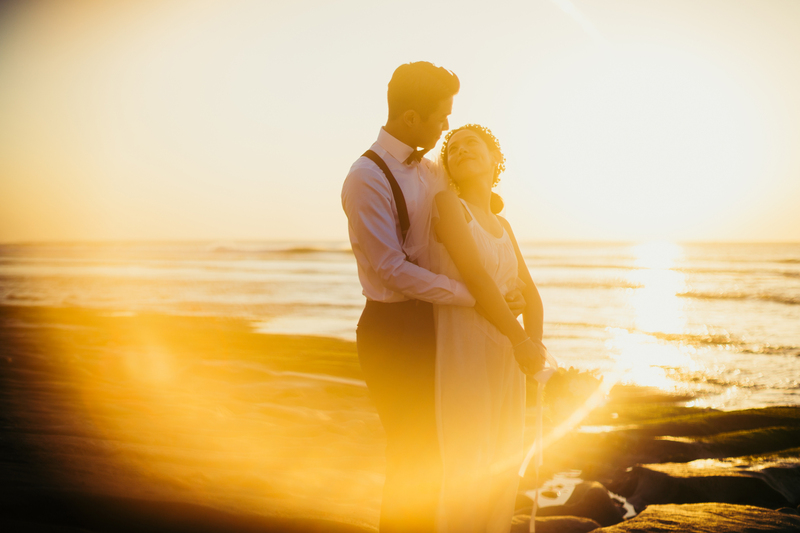 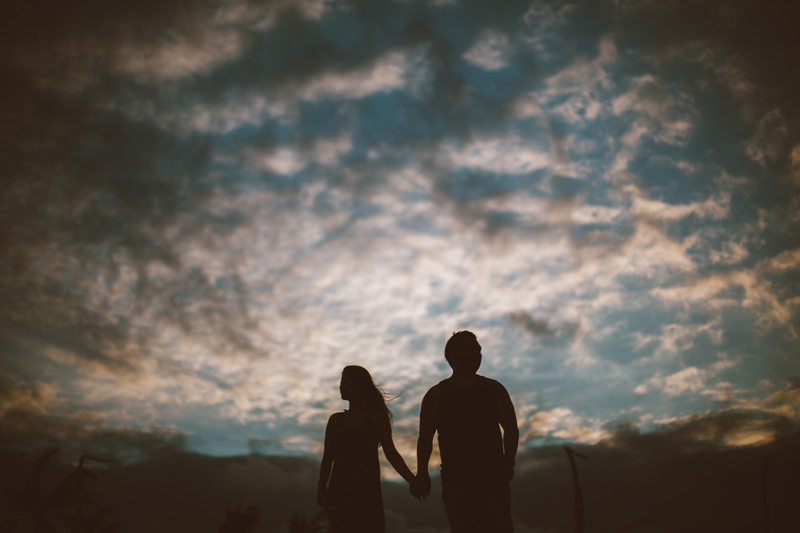 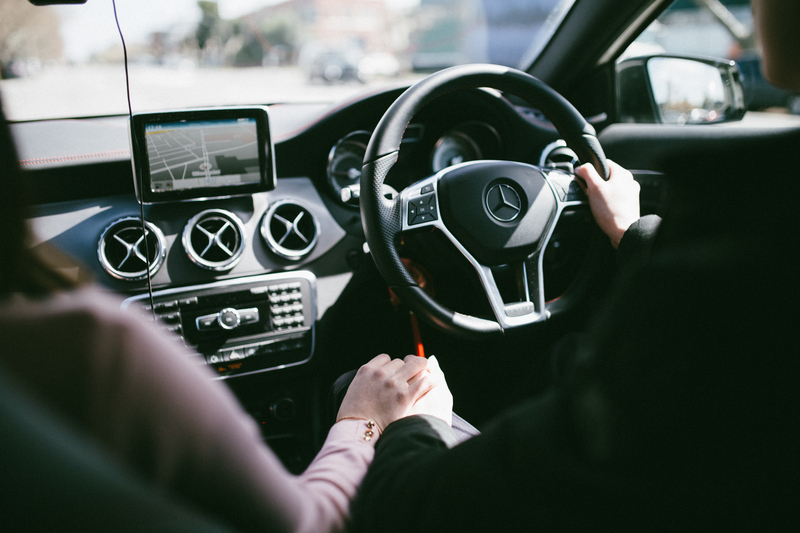 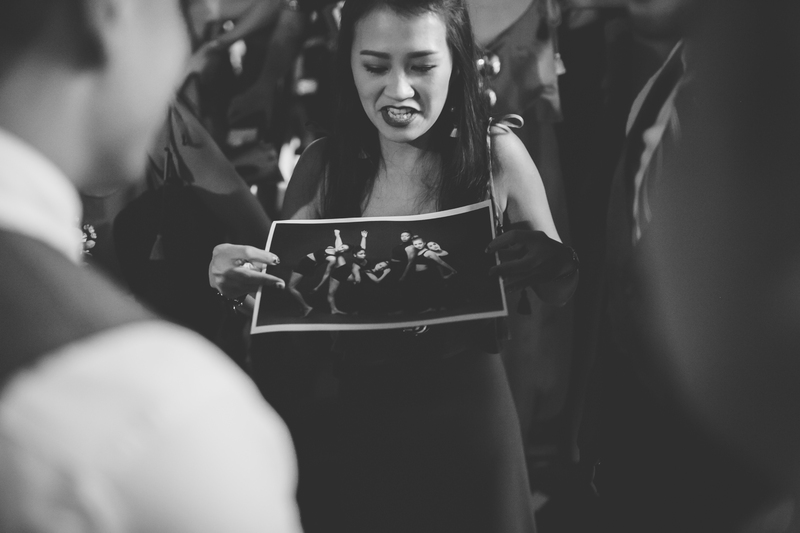 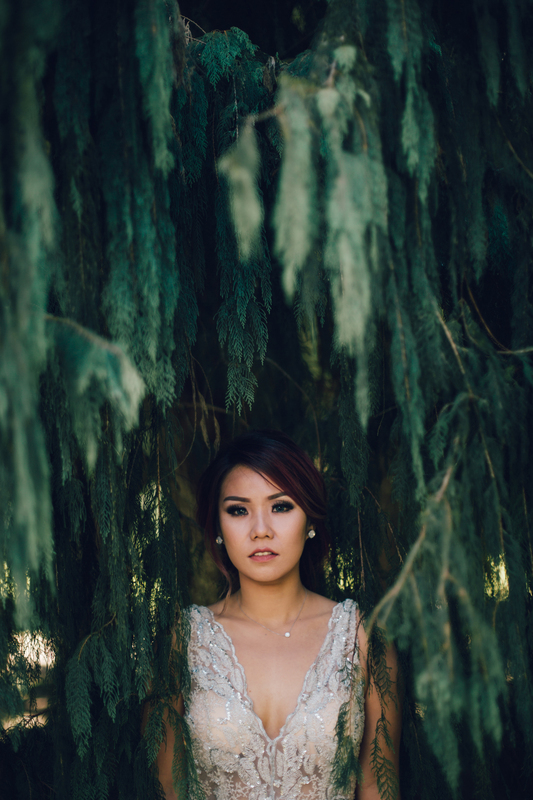 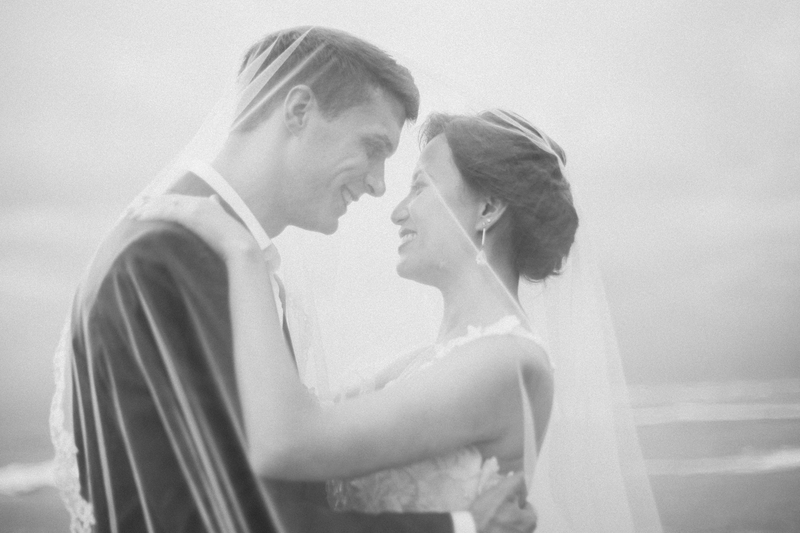 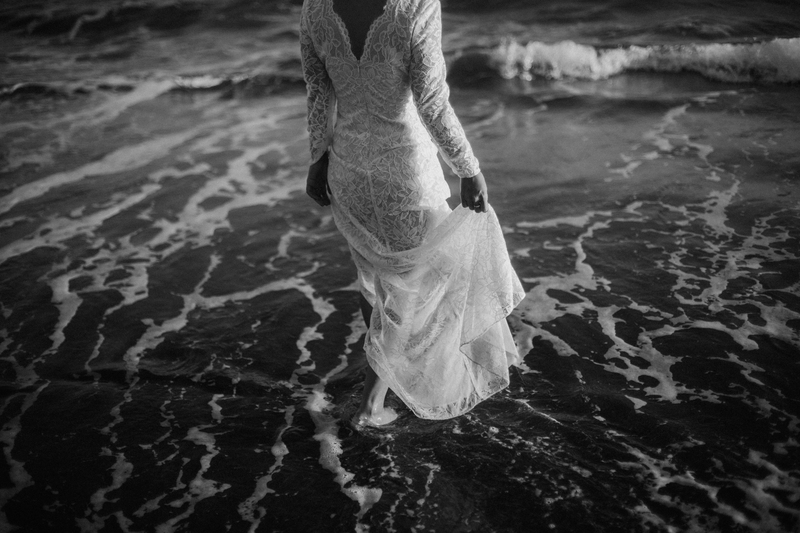 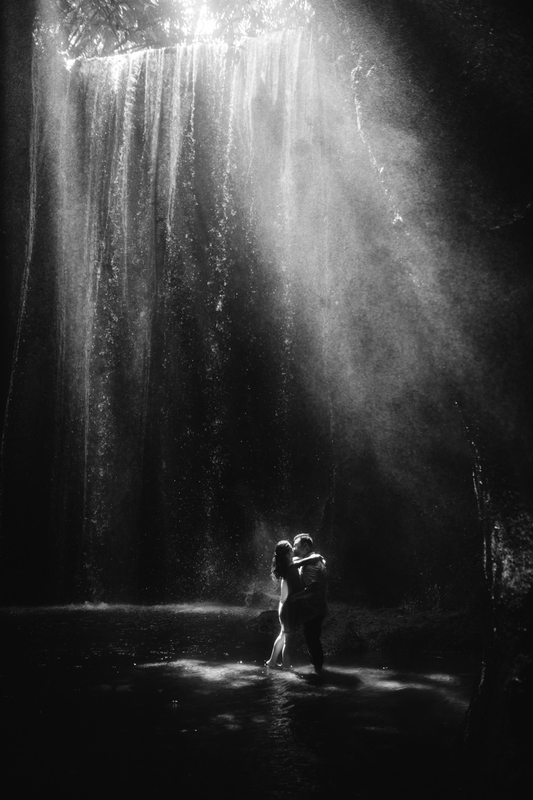 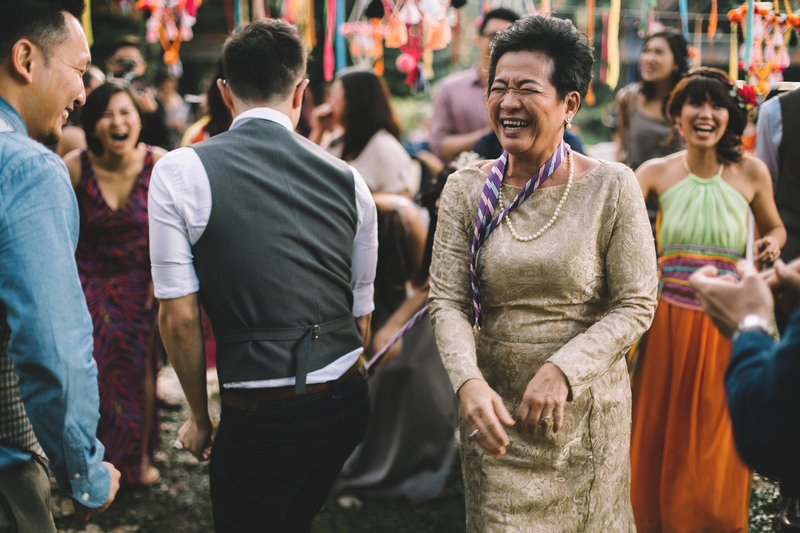 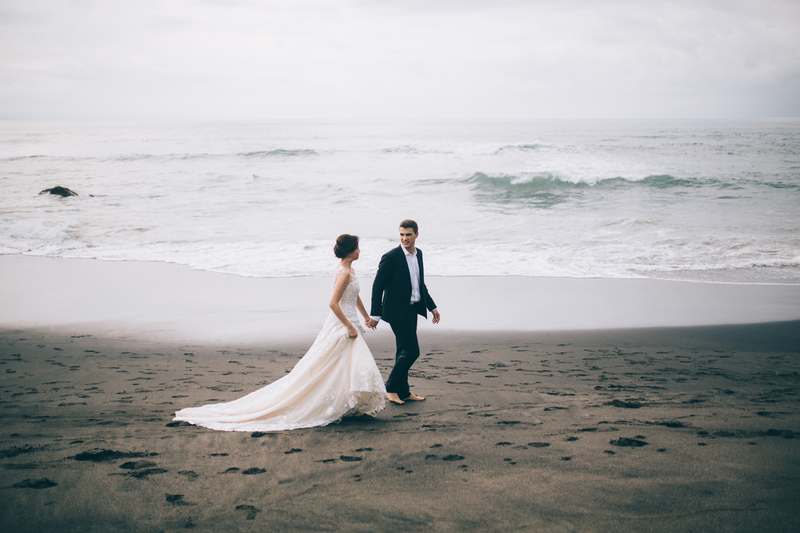 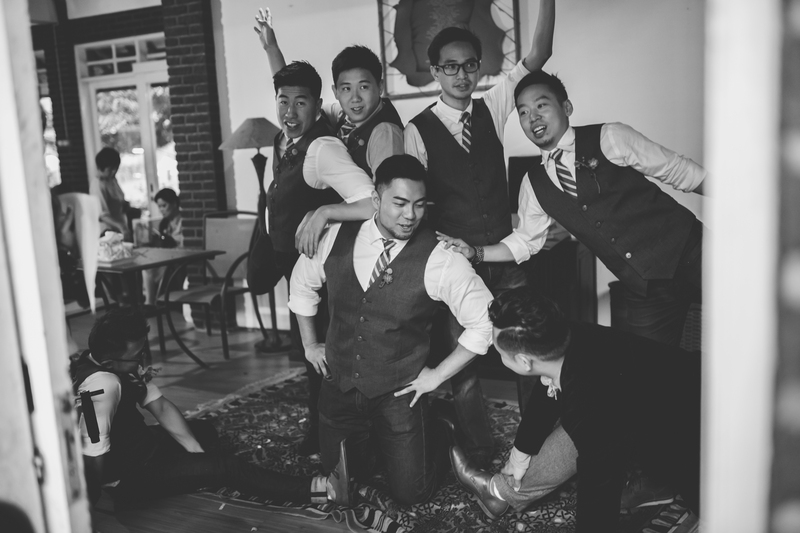 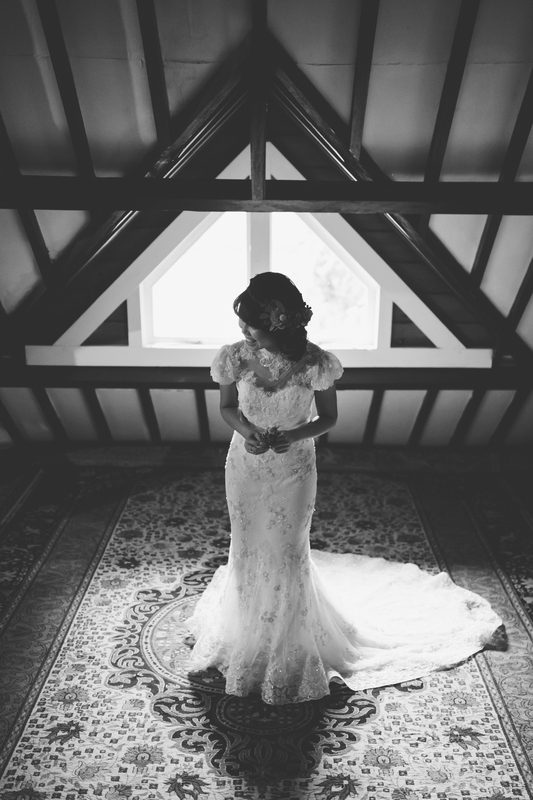 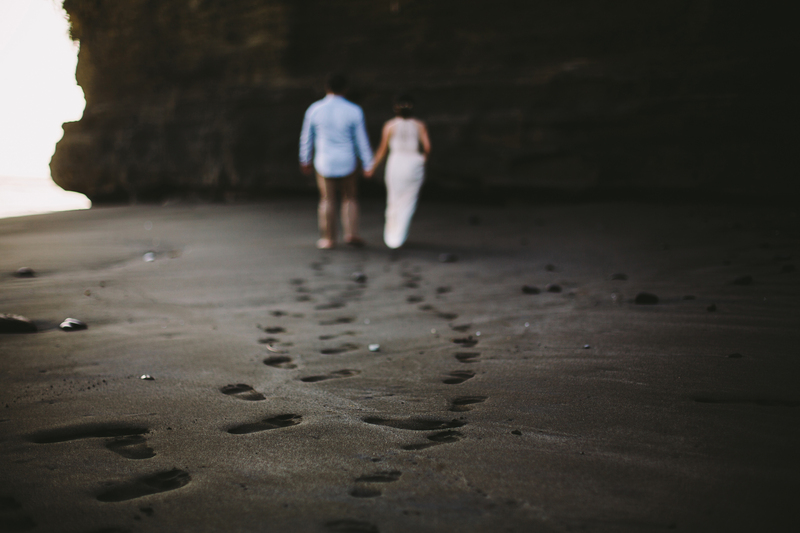 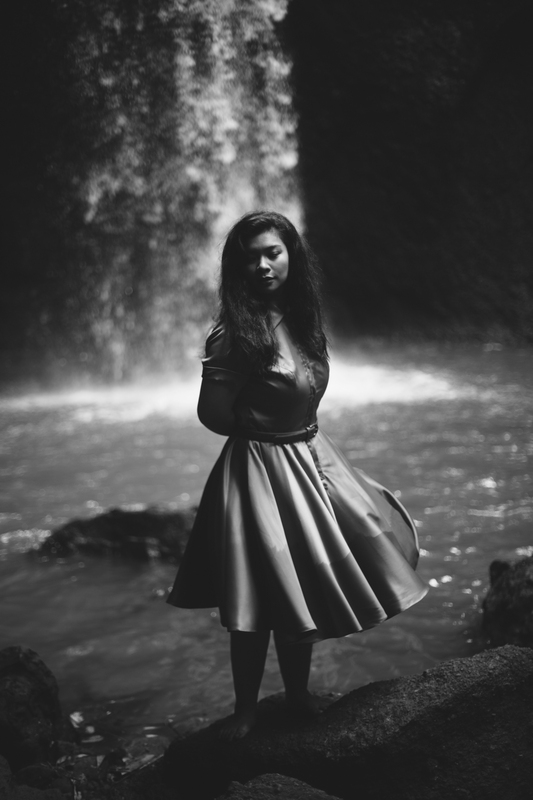 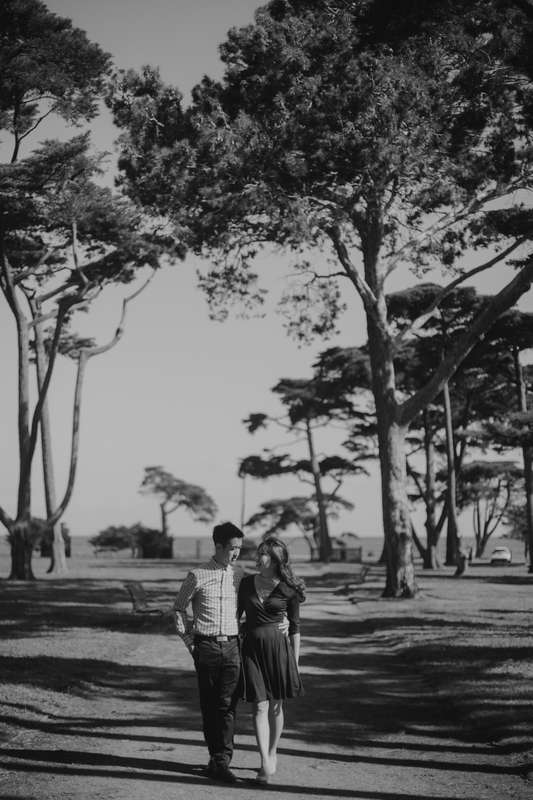 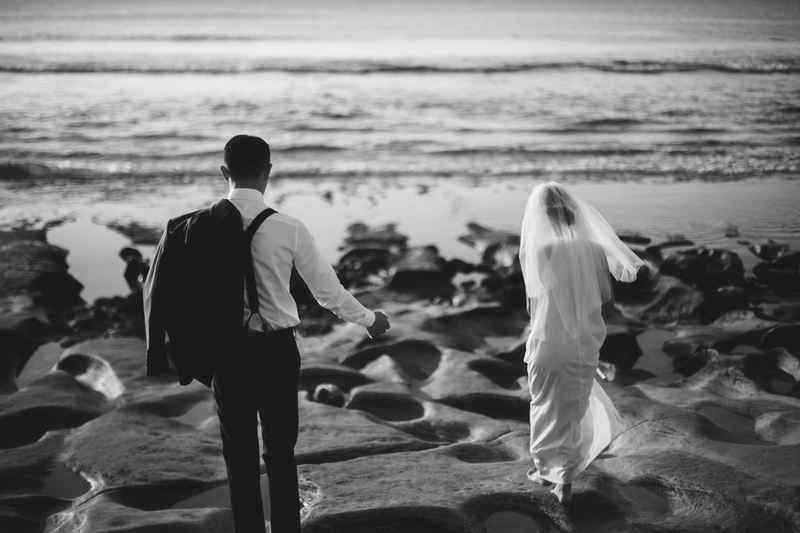 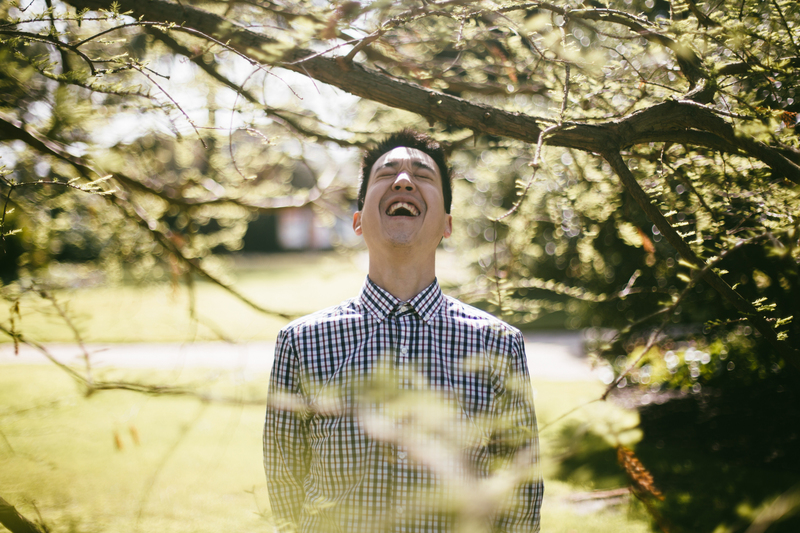 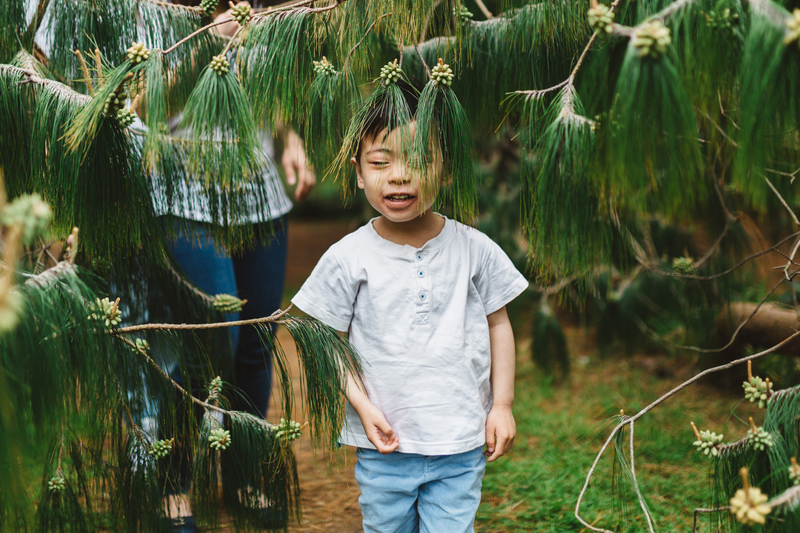 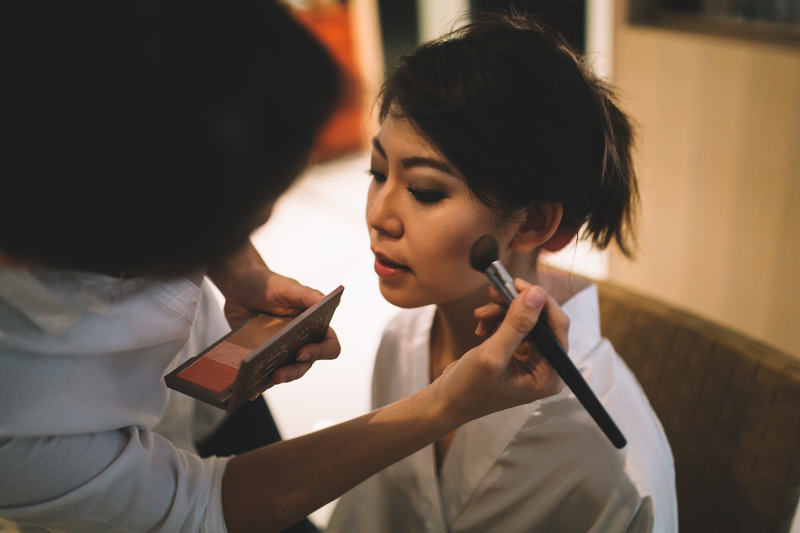 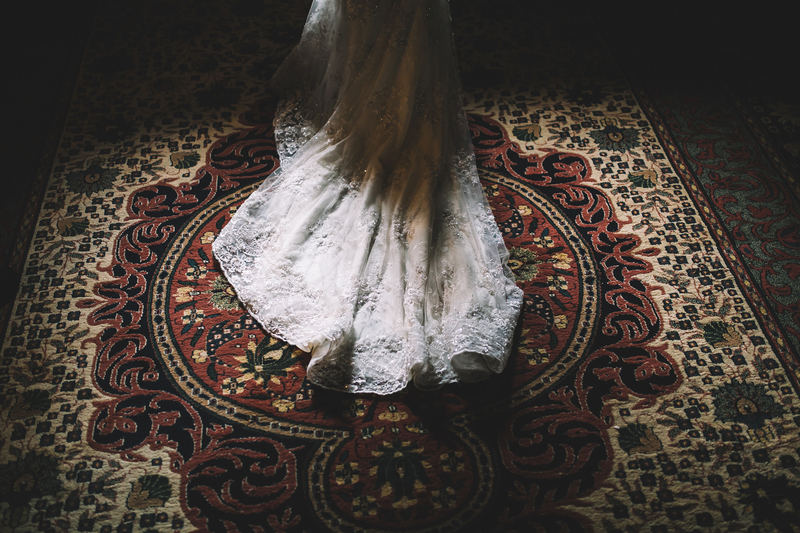 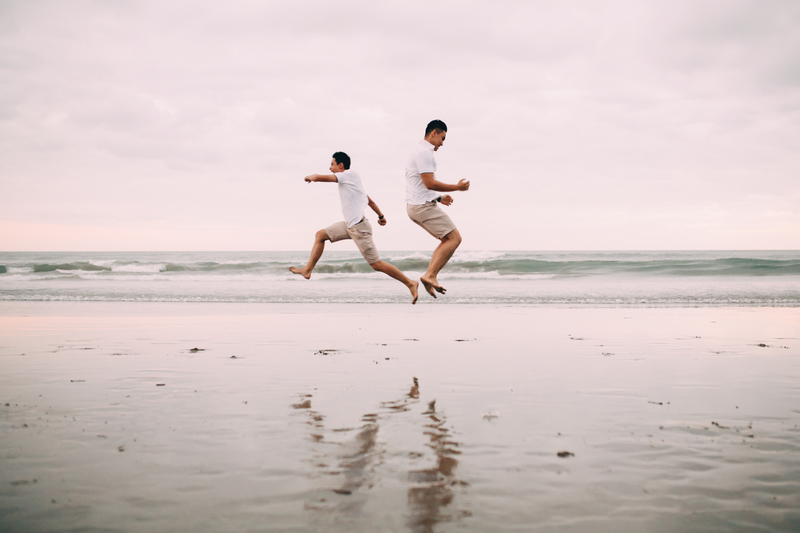 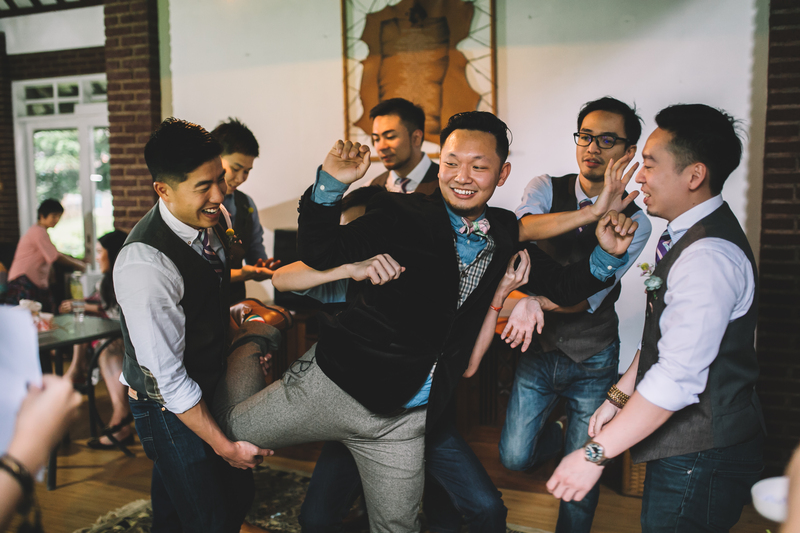 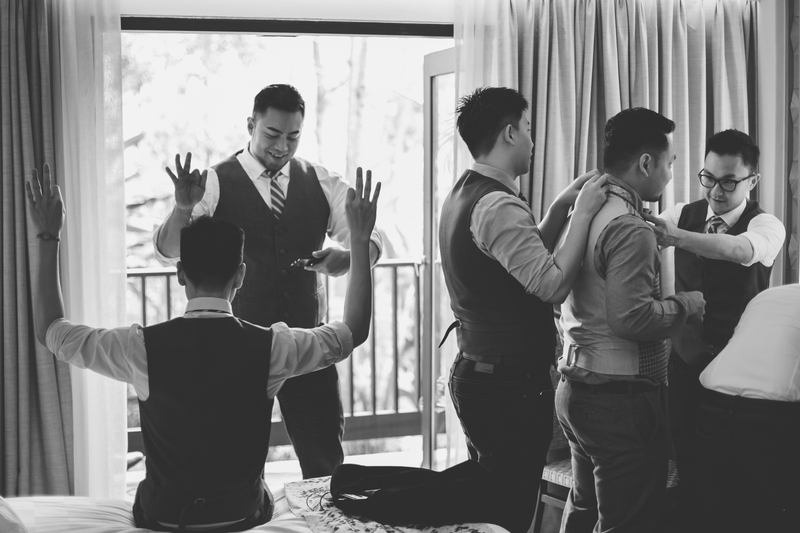 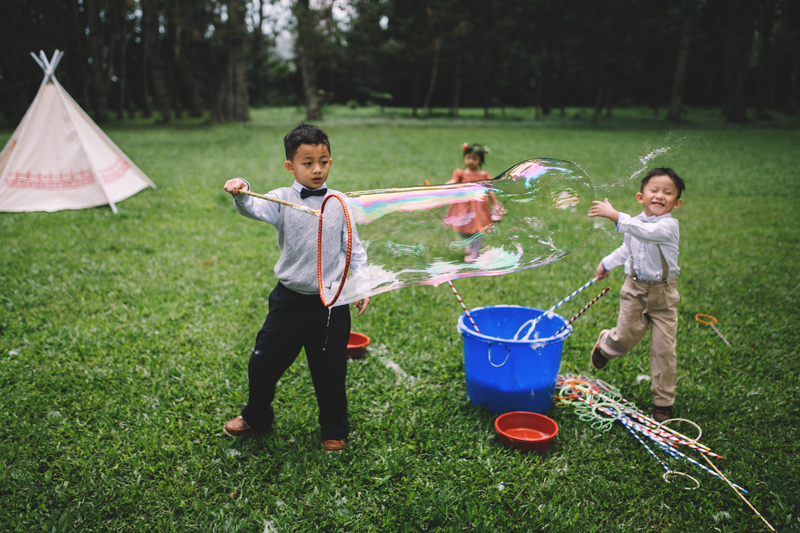 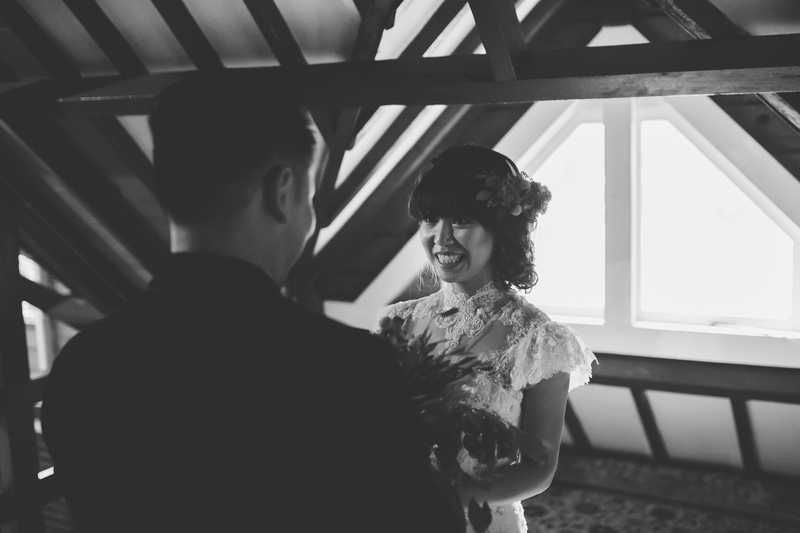 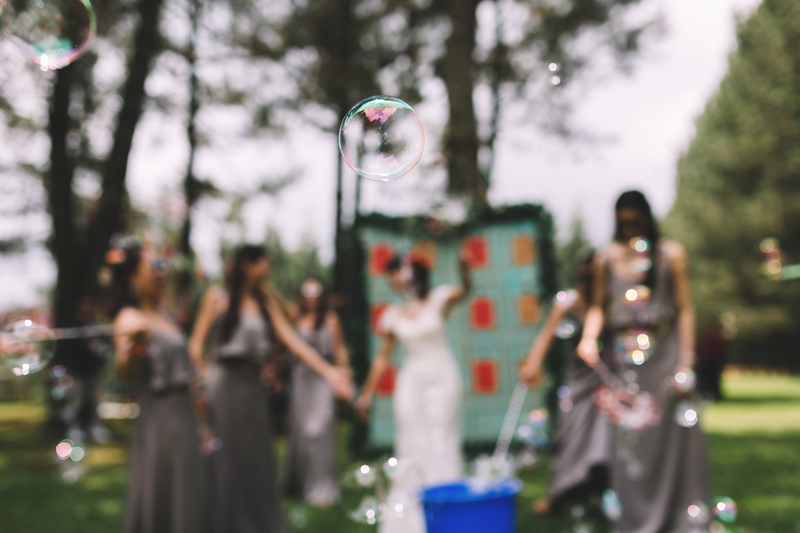 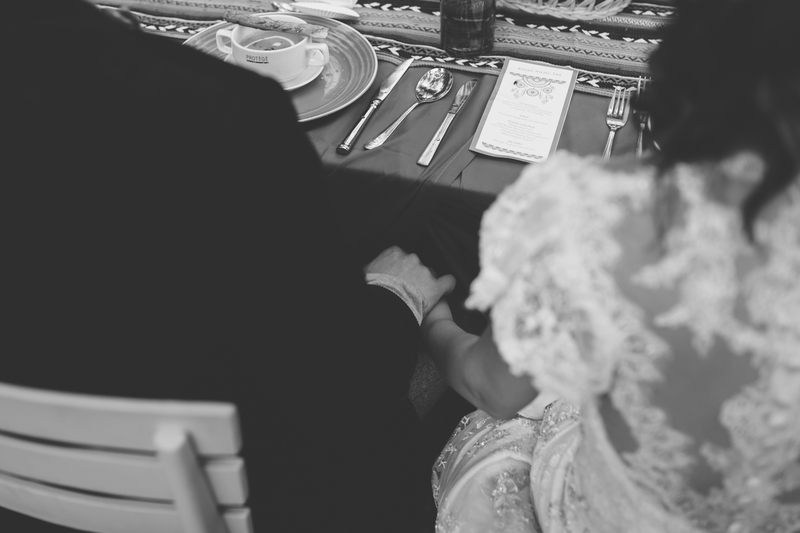 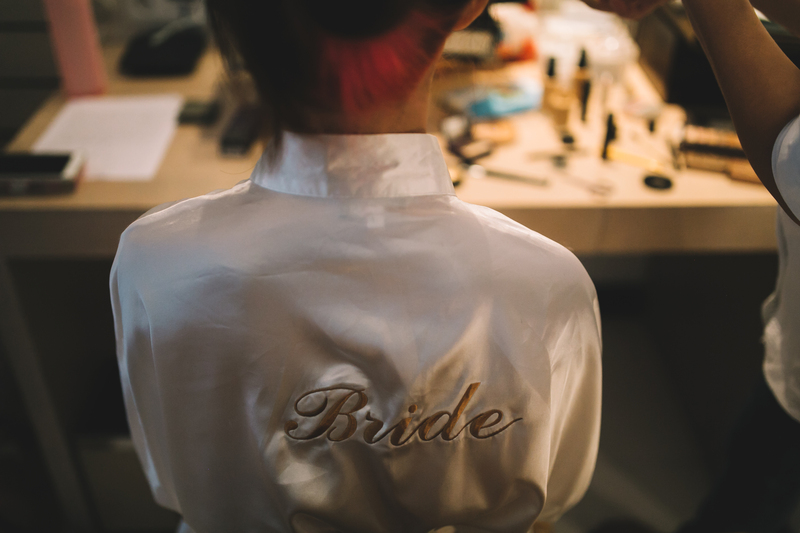 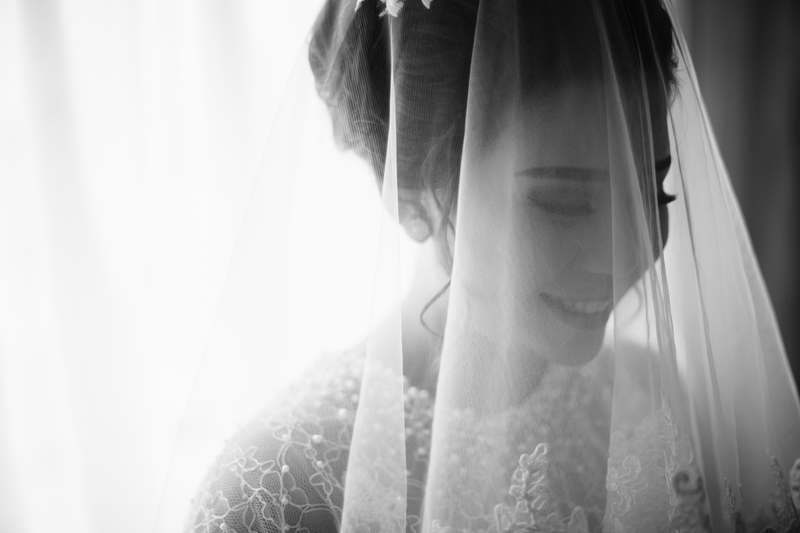 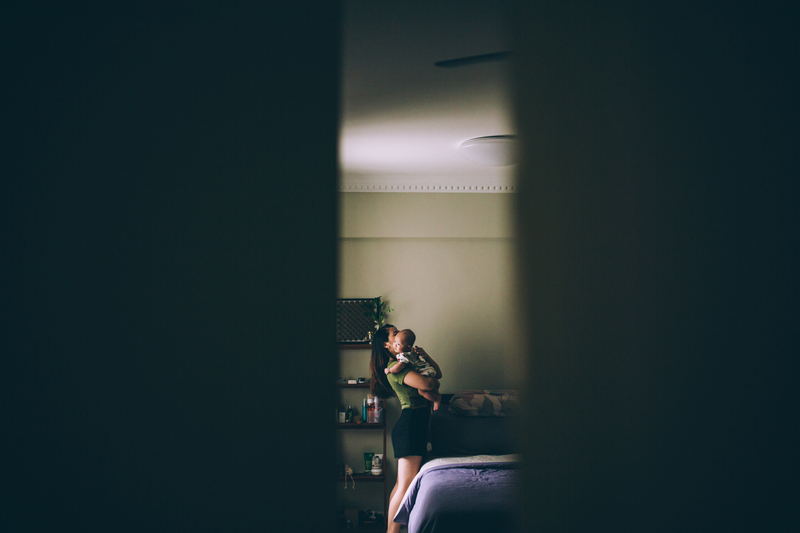 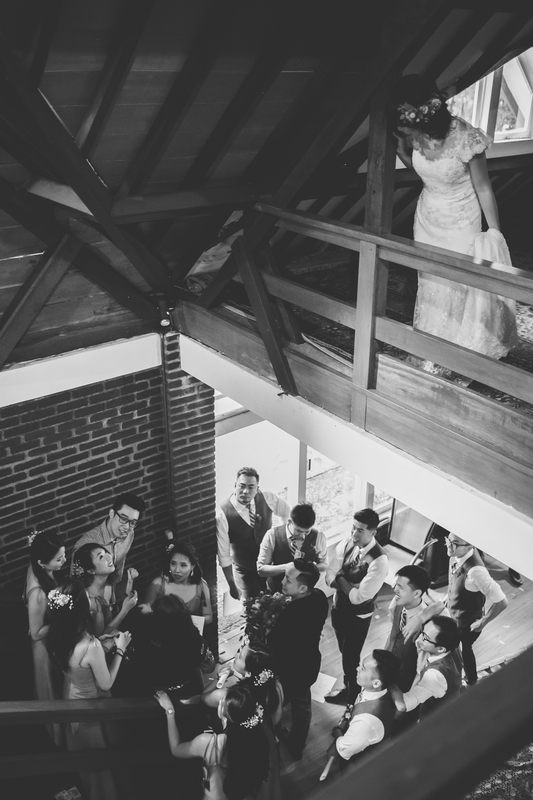 As a wedding photographer, I had always wanted to document a wedding that is different. 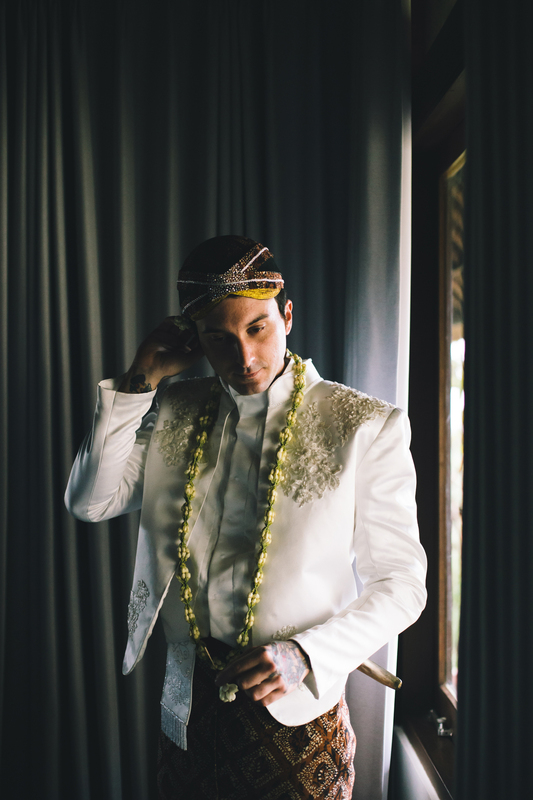 Not just different in terms of the look, but one with a distinct story and vibe that can give me memorable experience which I can remember for a long time. 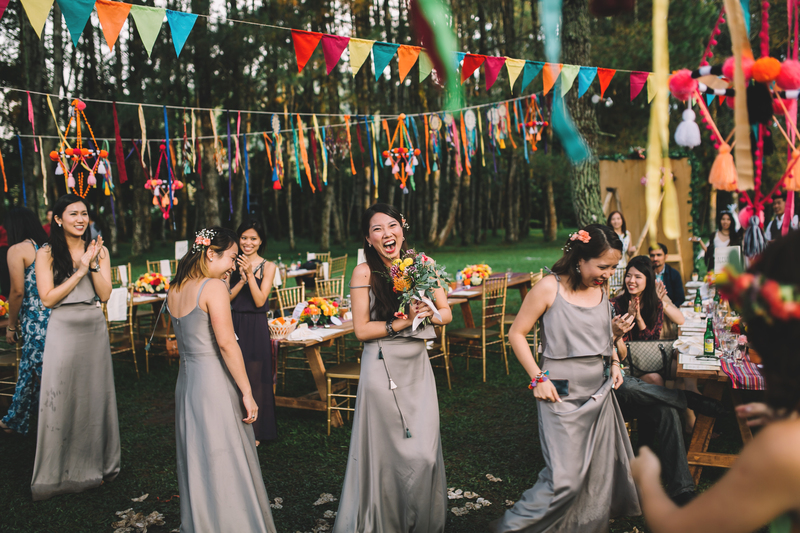 My wish came true when I got introduced to Isabel & Meng Tat. 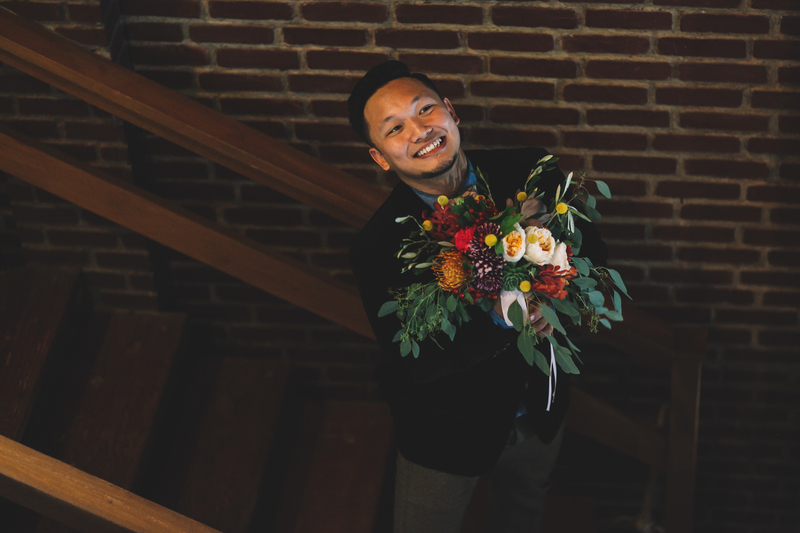 Meng Tat is a pilot. 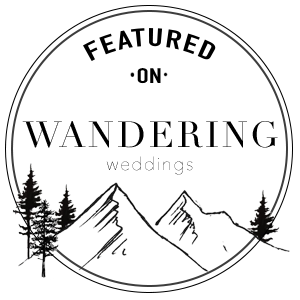 Isabel is a designer. 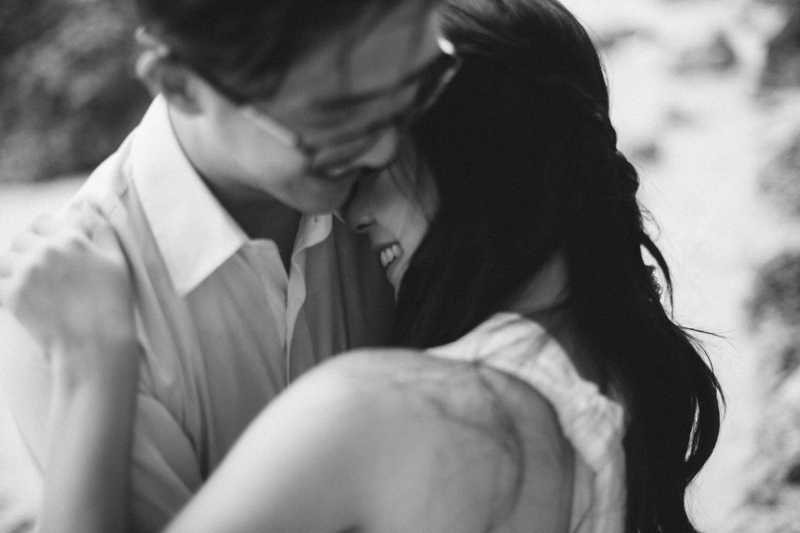 She loves his loving, chivalrous and cheesy nature. 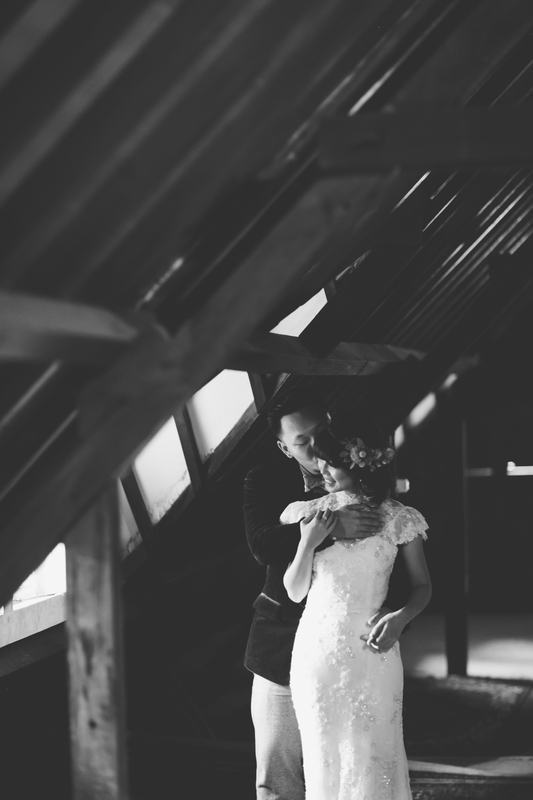 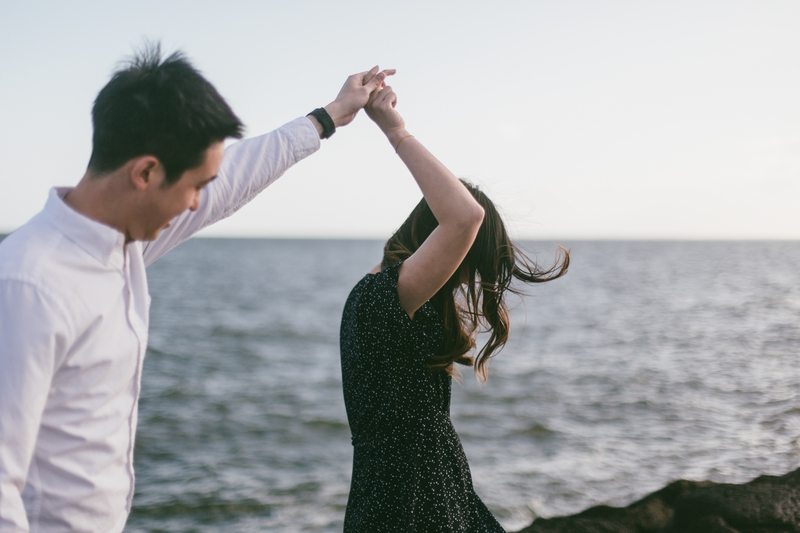 And he loves her for her quirkiness. 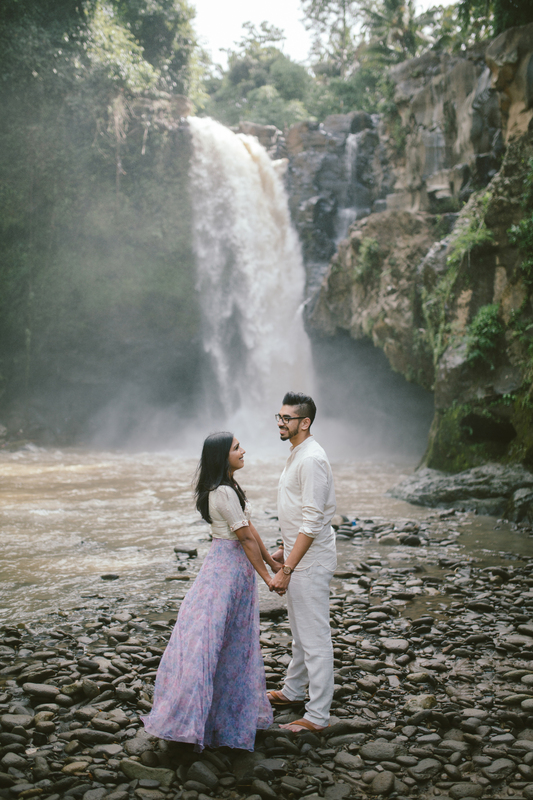 They both love travelling! 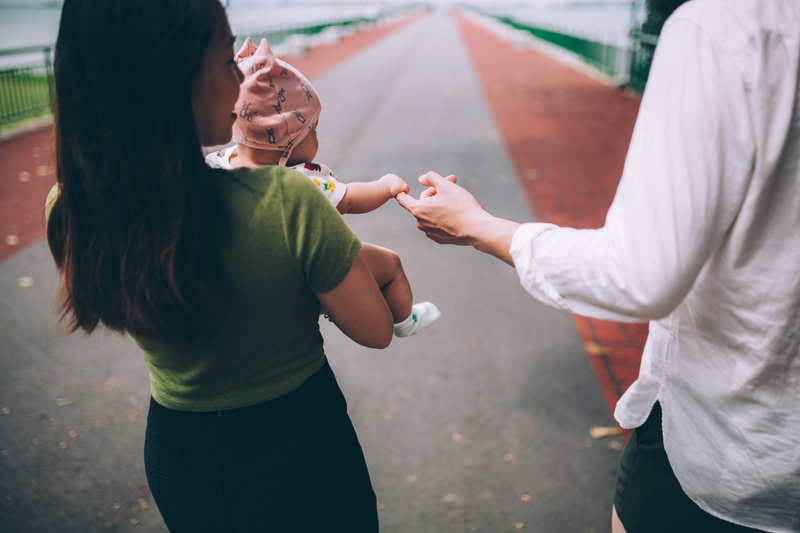 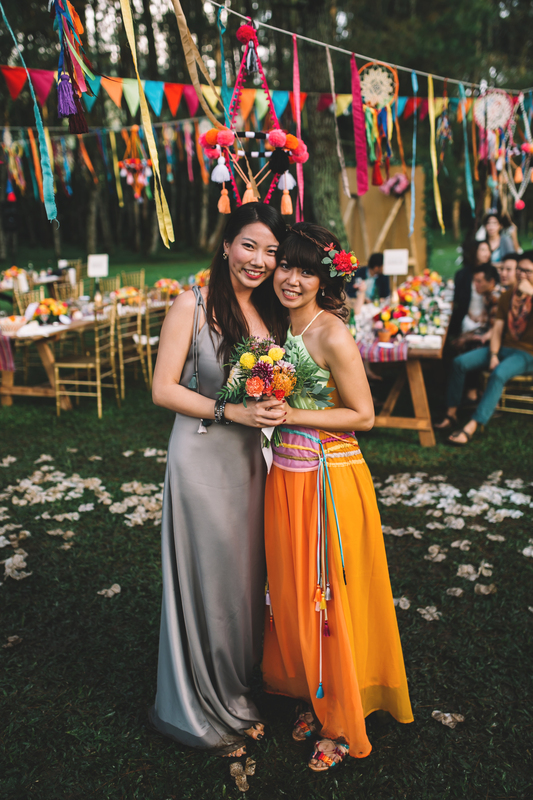 Meng Tat would take Isabel to go on holiday trips and enjoy good food. 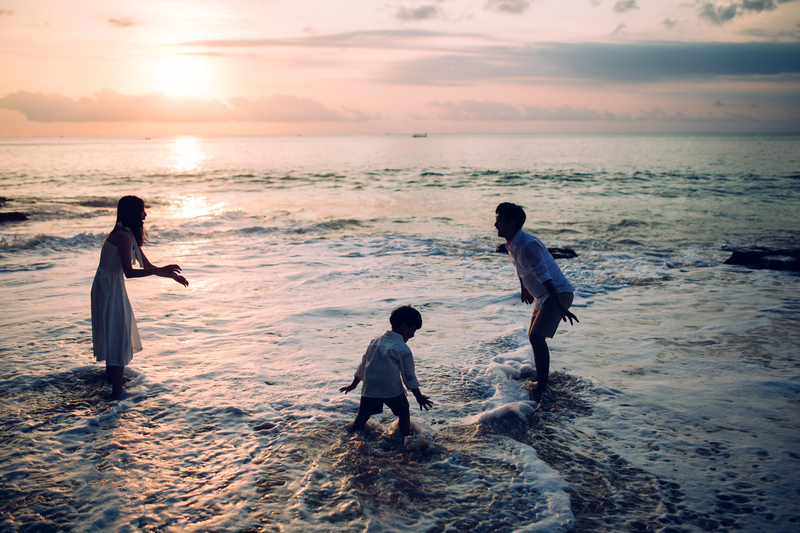 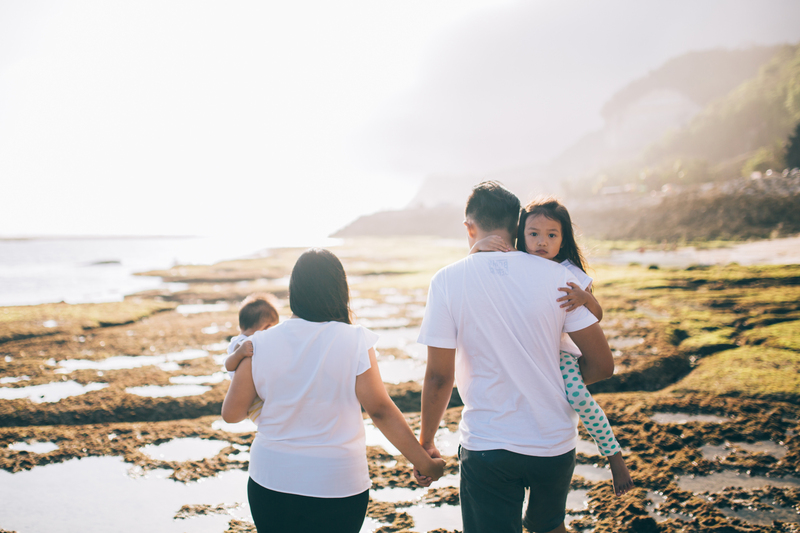 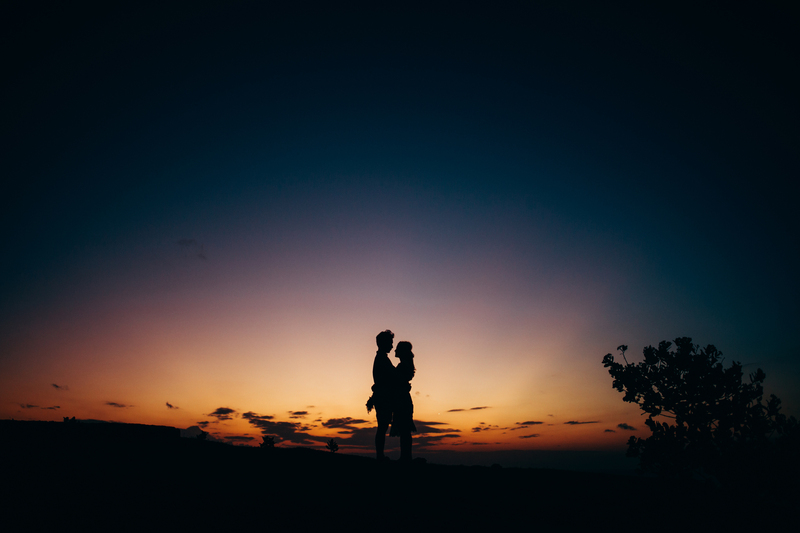 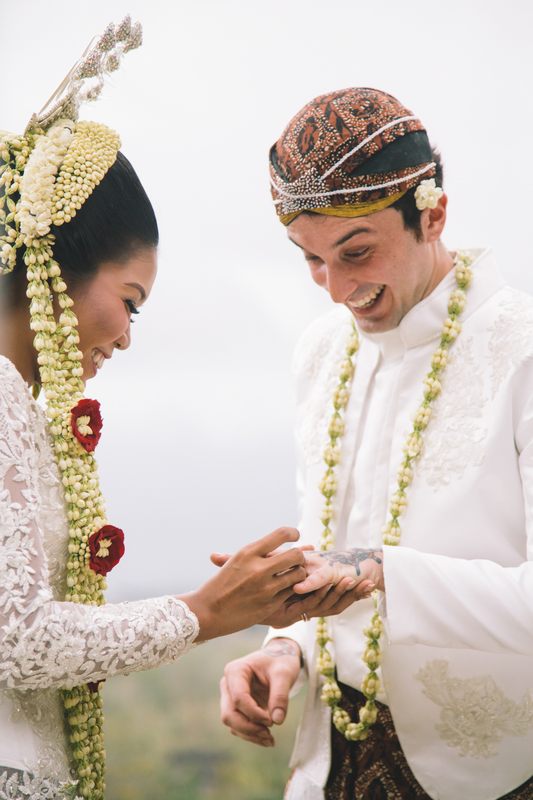 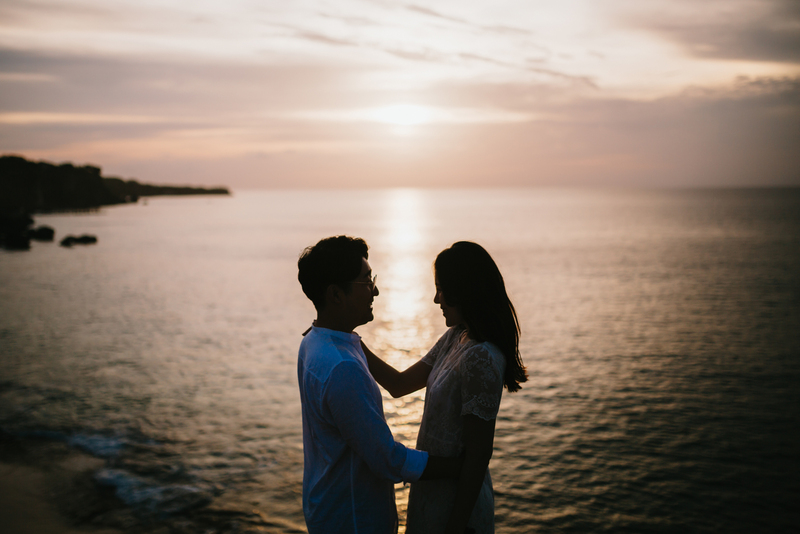 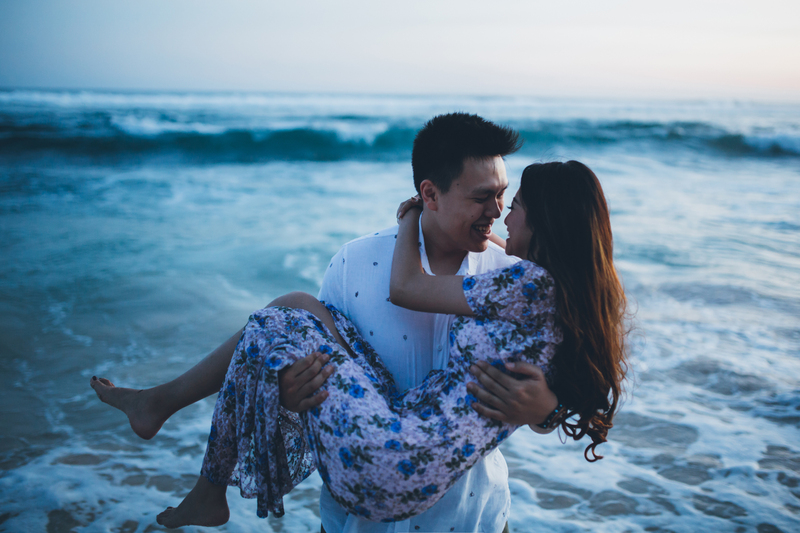 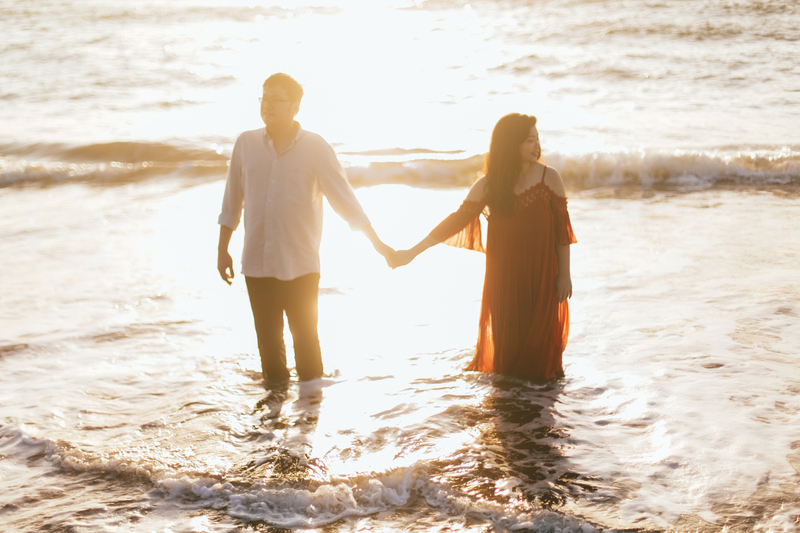 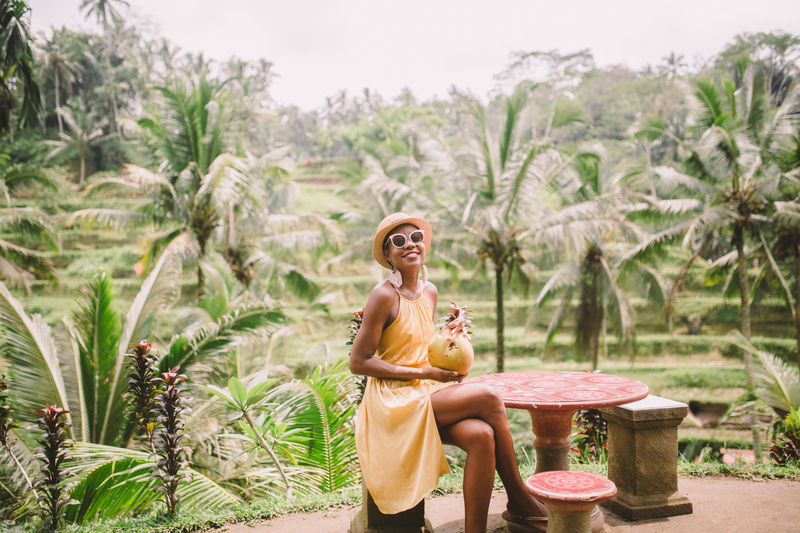 They had many amazing and memorable adventures together, such as when they took a trip to Bali together and officially started their relationship. 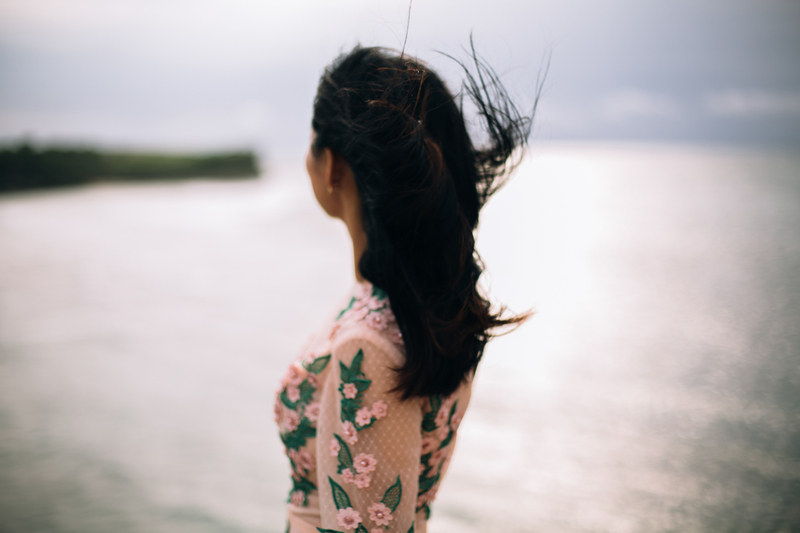 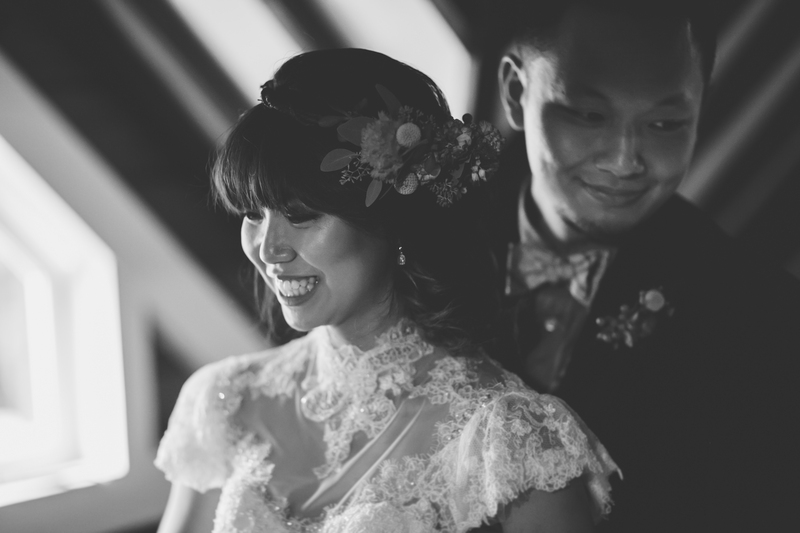 Isabel would always remember the special moment when Meng Tat stole a kiss from her cheek. 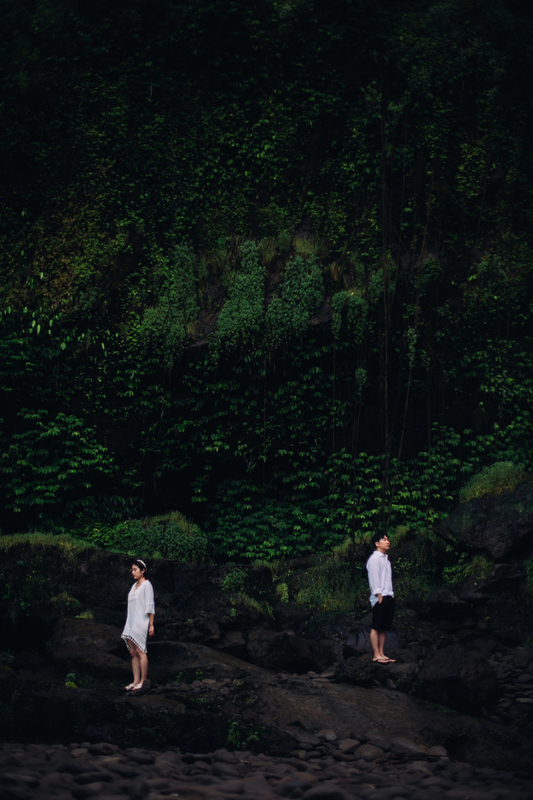 Or when they did cycling and exploring around in Taiwan on their 1st year anniversary. 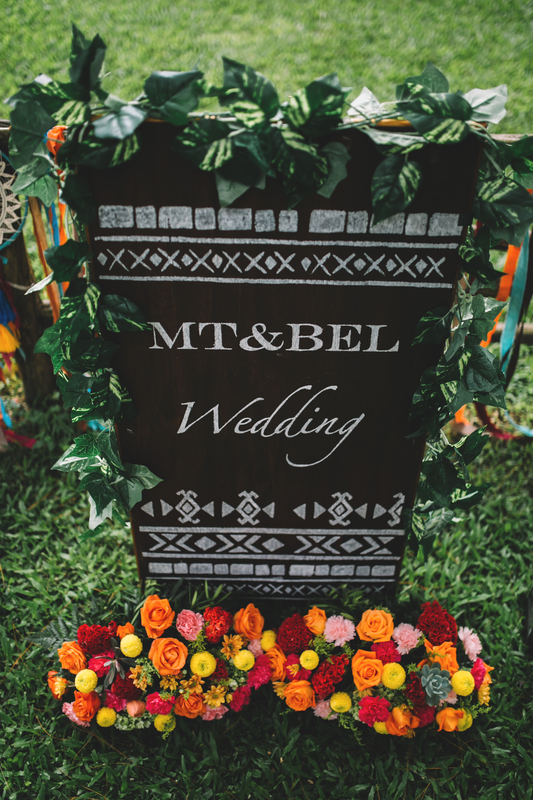 Another one would be when they survived a trip to Mount Everest base camp, battered by weather and altitude sickness, it was indeed exceptional. 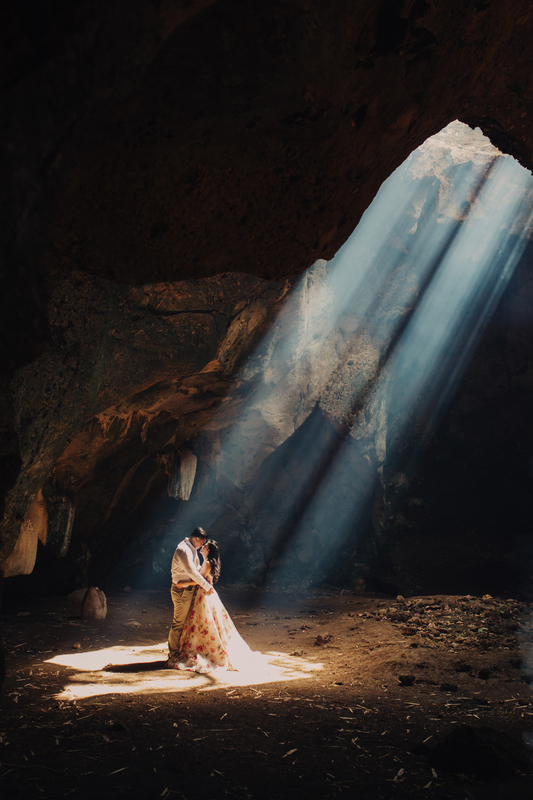 The most special one would be during their trip in India, where they stayed at a desert camp in Rajashtan. 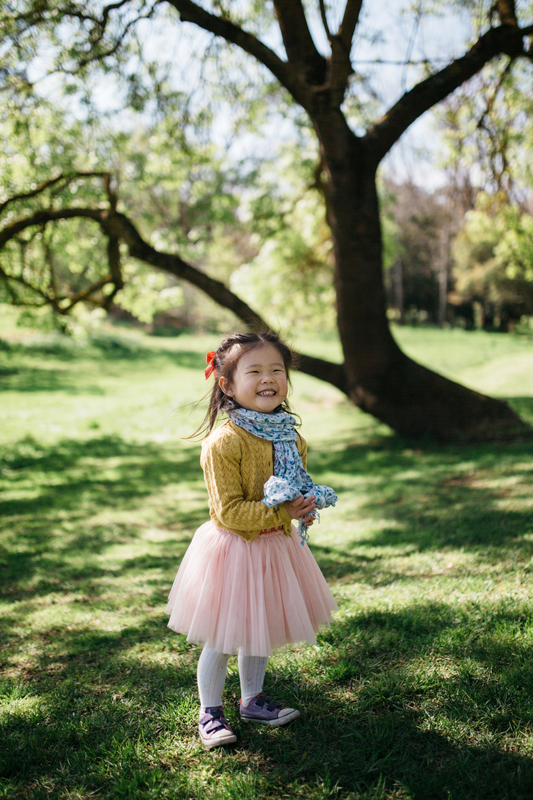 Meng Tat who likes astronomy often tells Isabel about planets and stars. 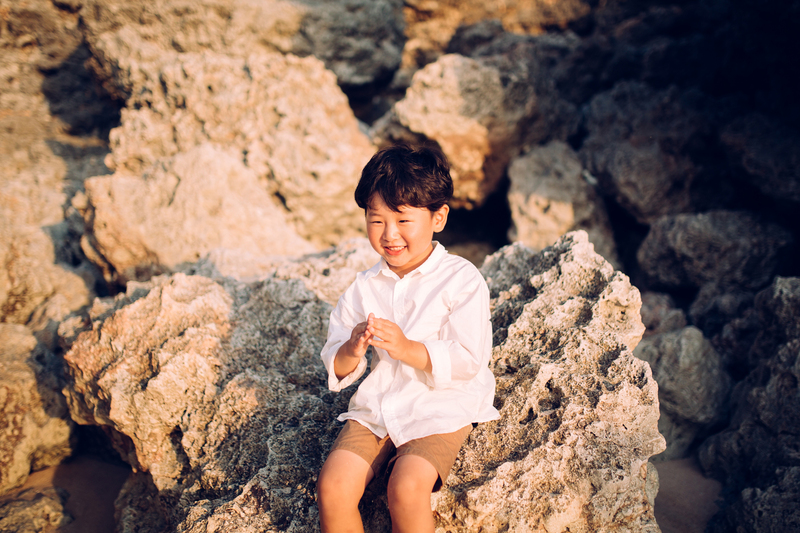 That night, after a private dinner on top of the sand dunes, they were stargazing and he pointed out ‘Sirius’ the brightest star. 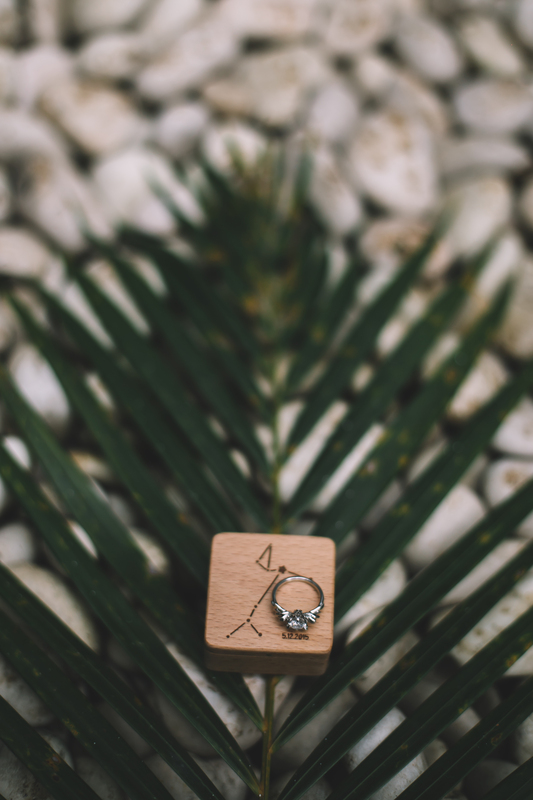 He pretended to ‘pluck’ the star from the sky and suddenly popped up a ring which he was hiding in his hand..and that was when he asked Isabel to marry him. 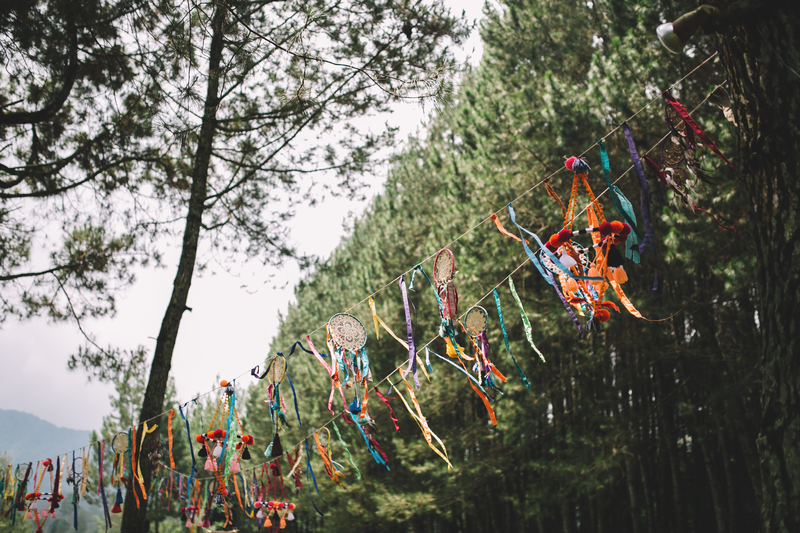 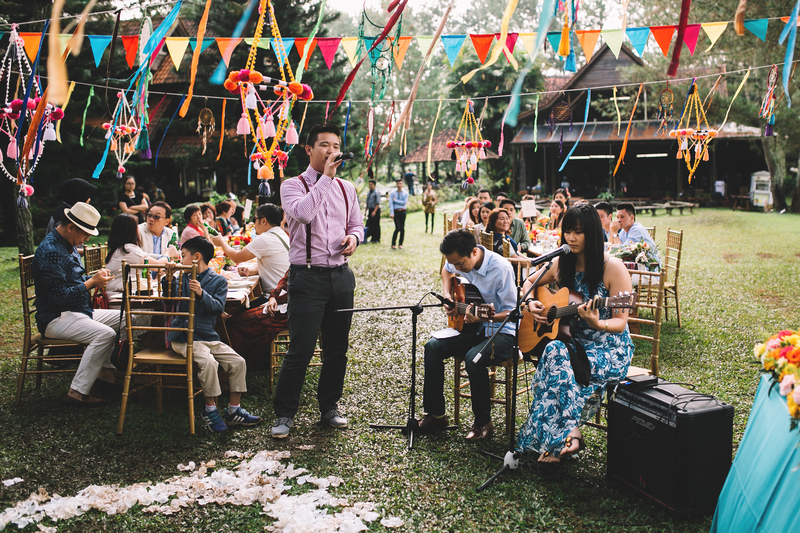 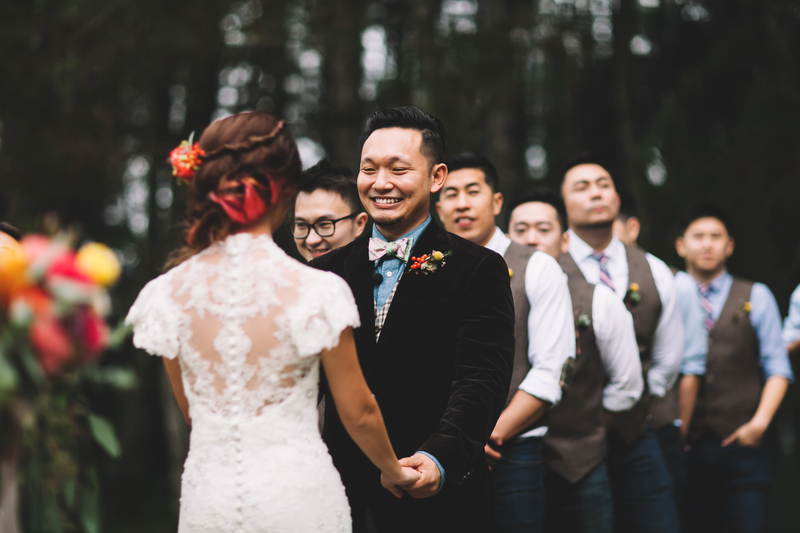 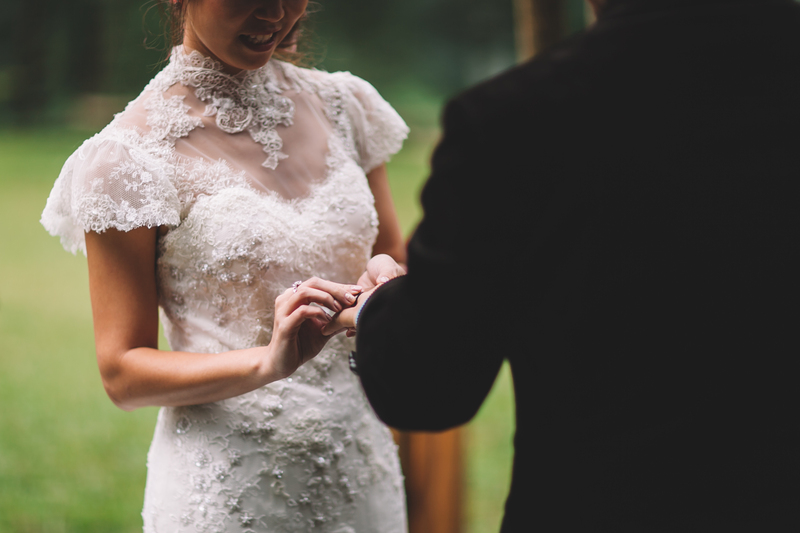 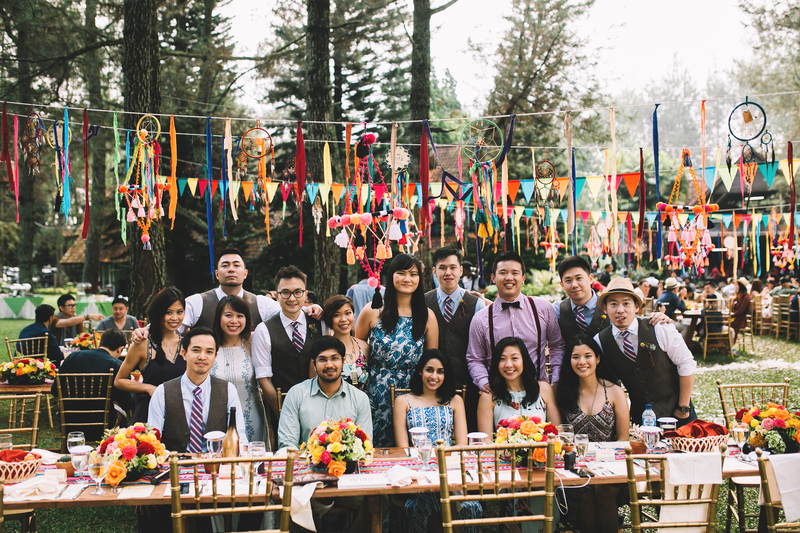 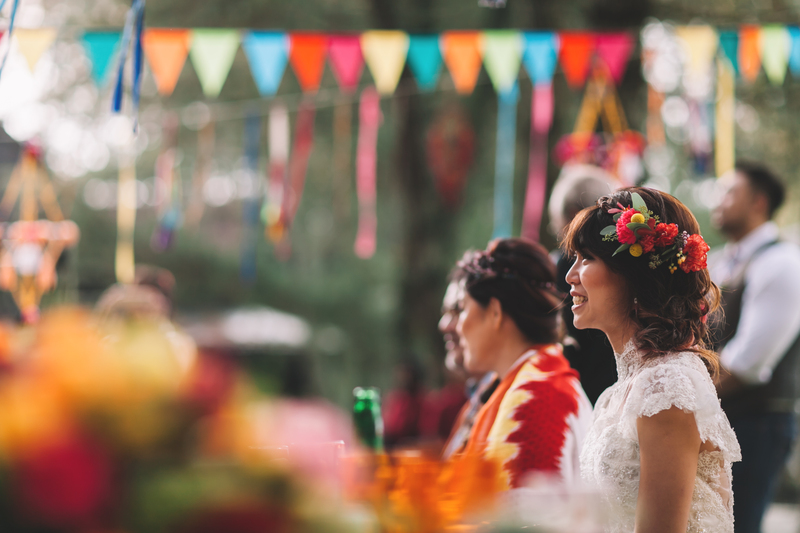 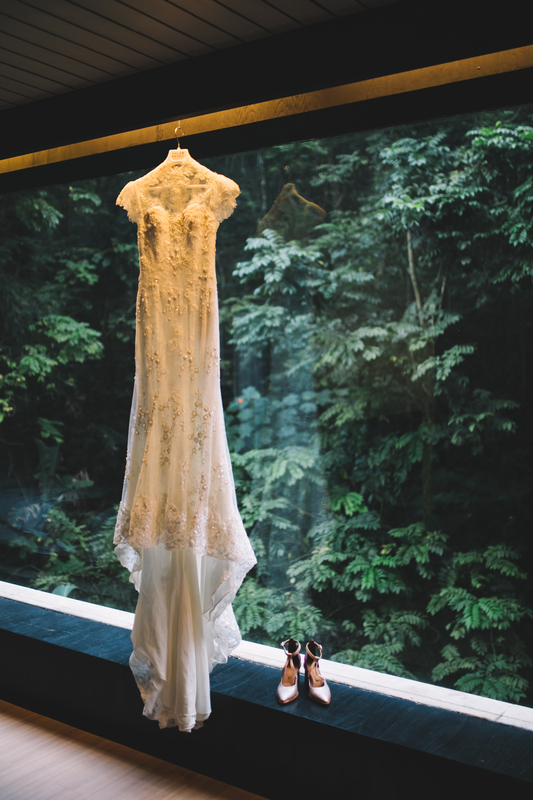 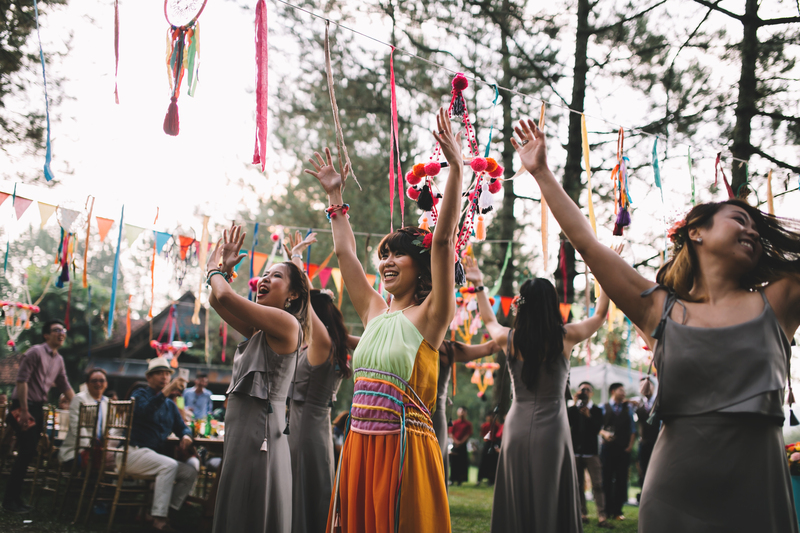 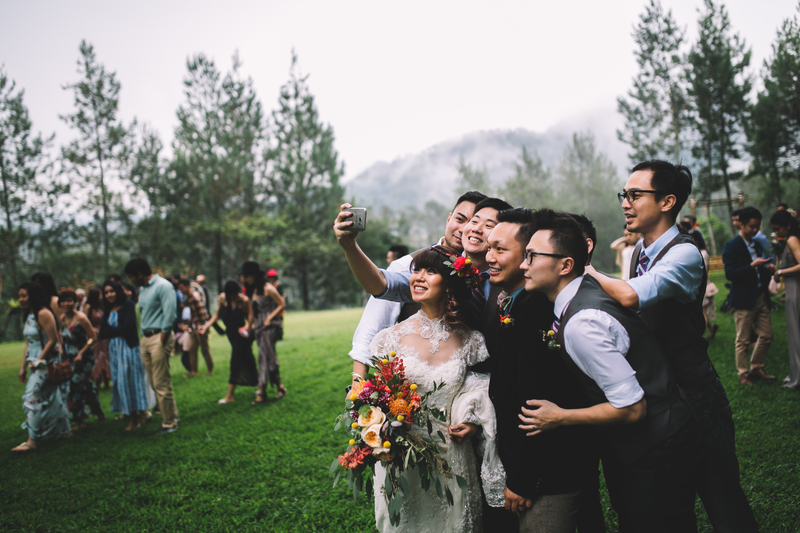 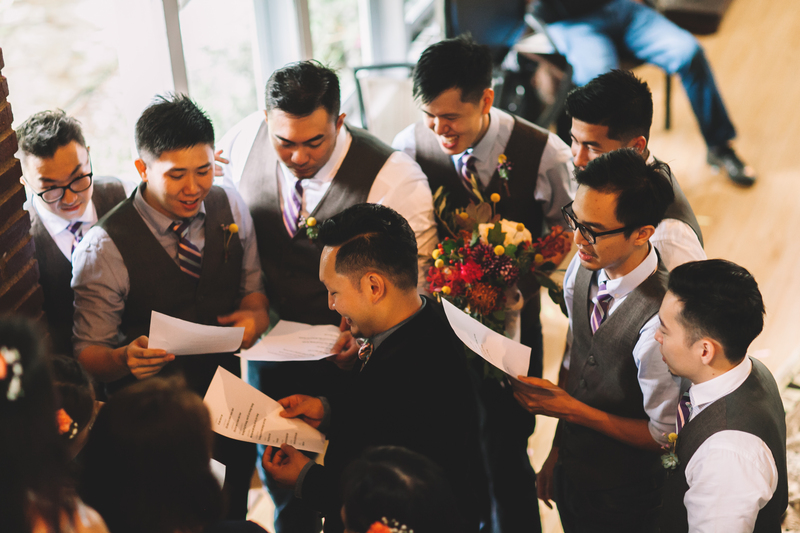 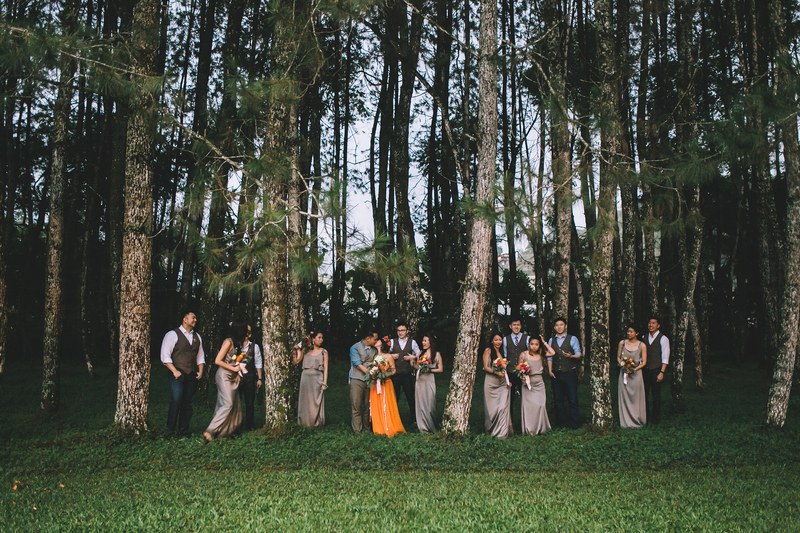 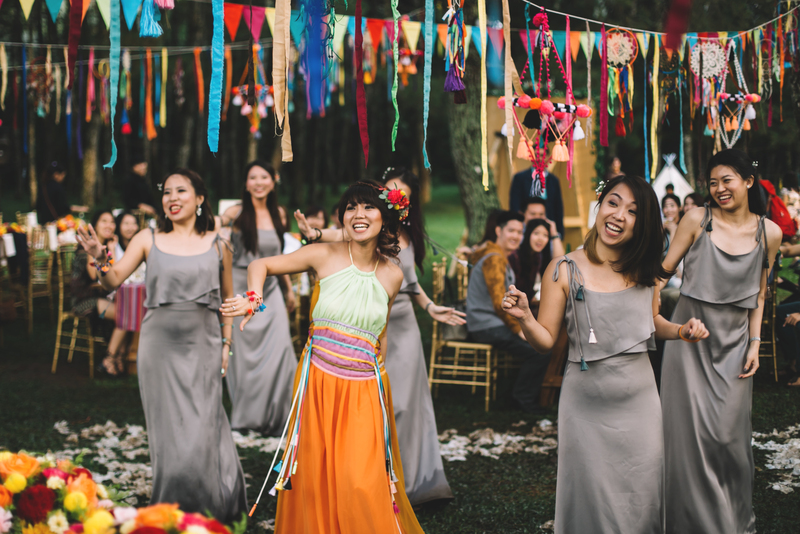 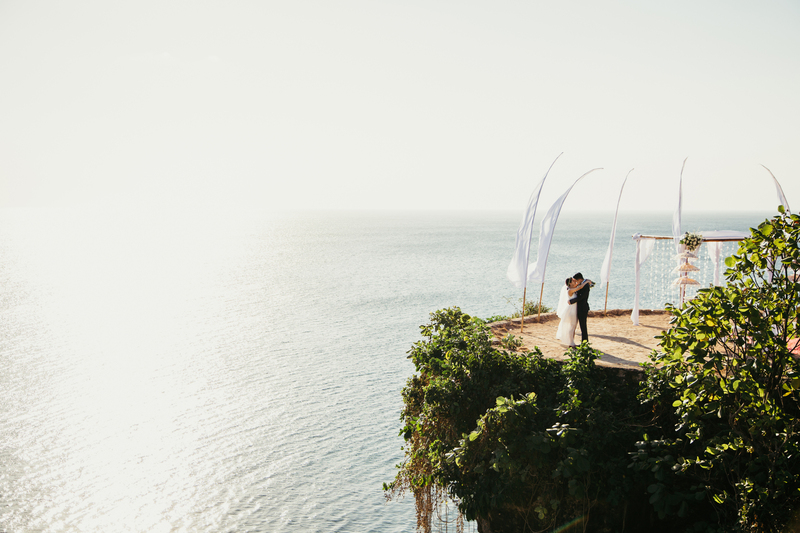 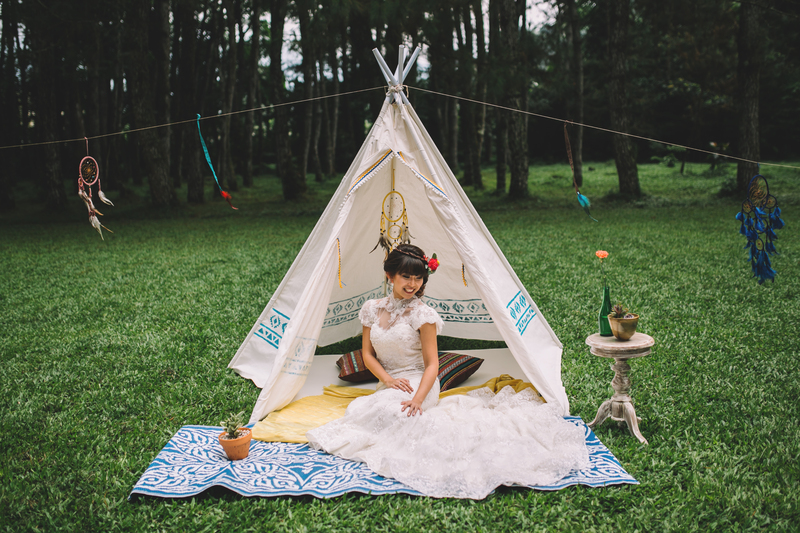 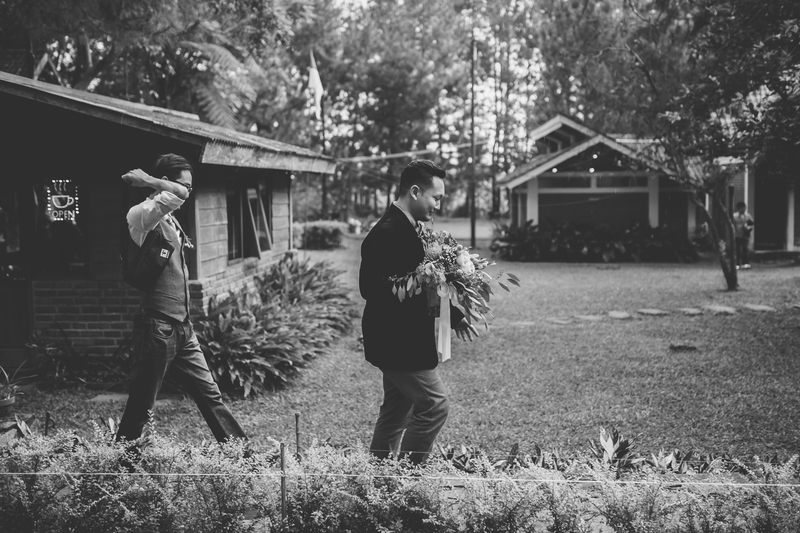 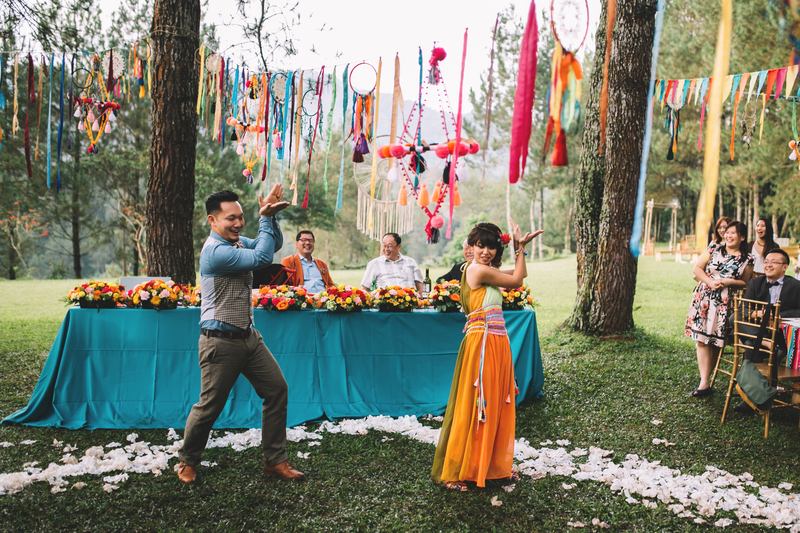 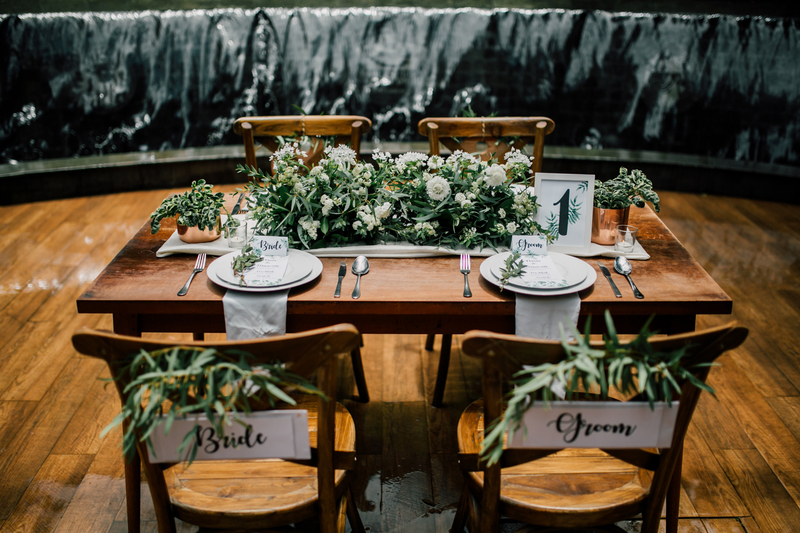 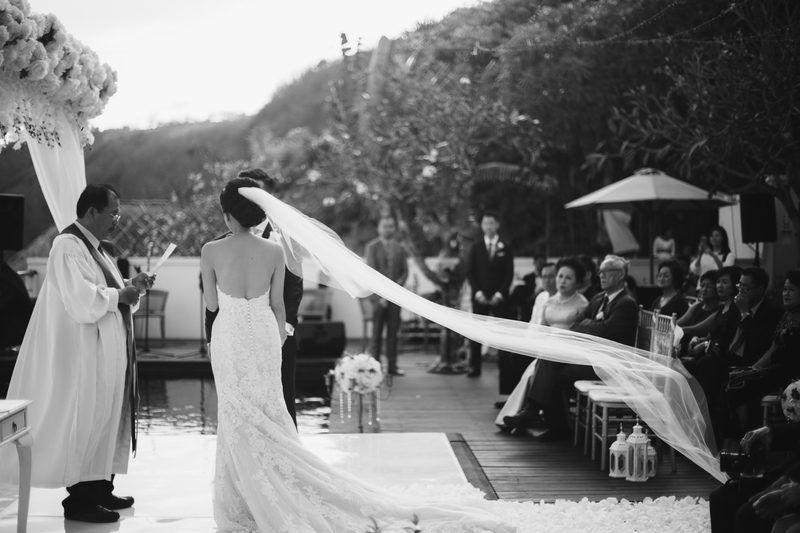 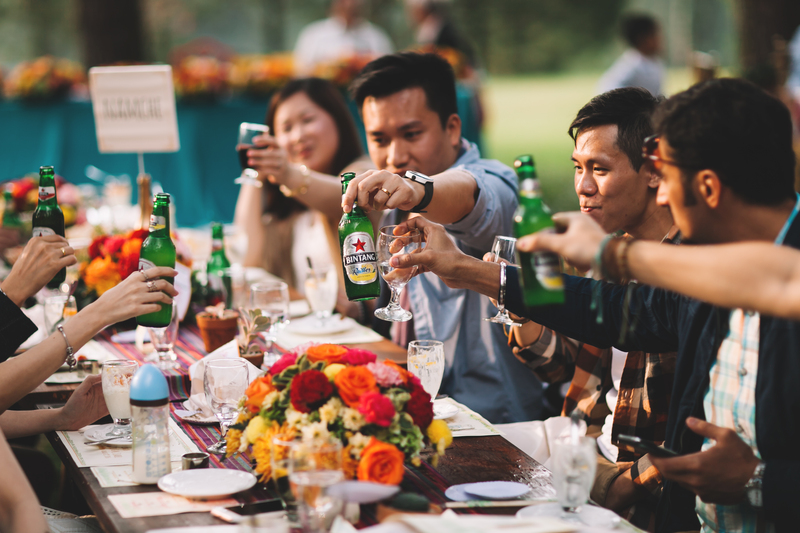 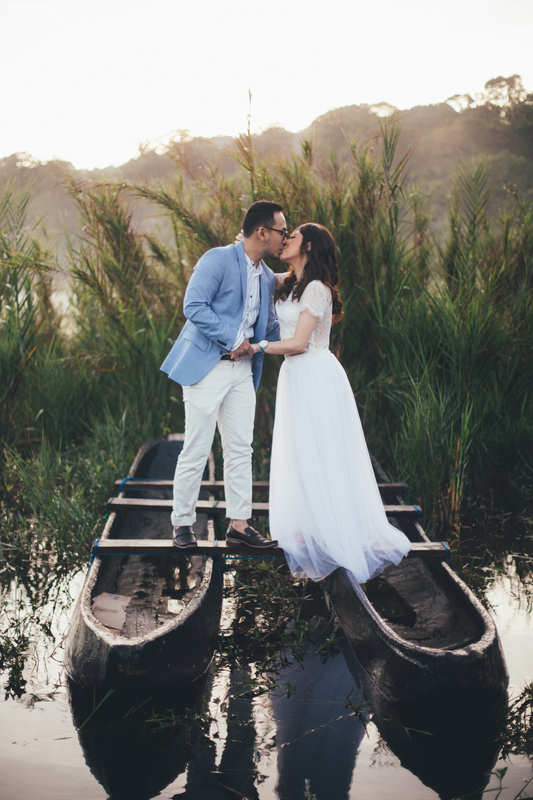 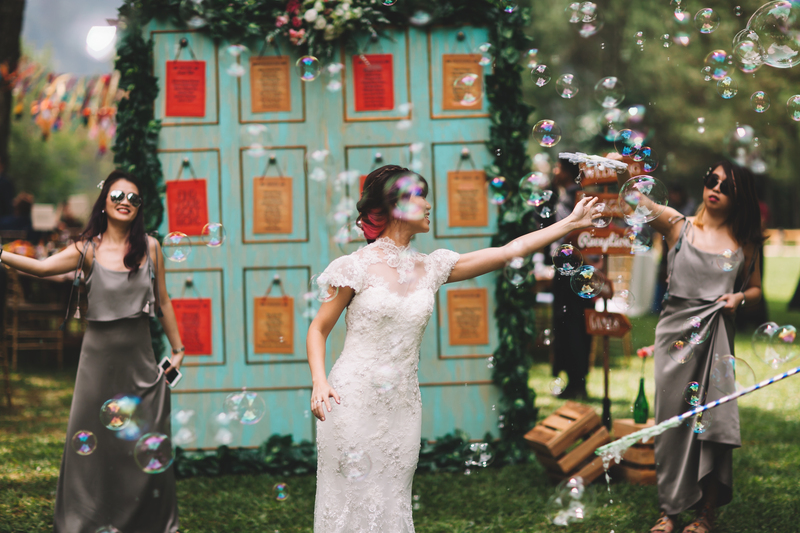 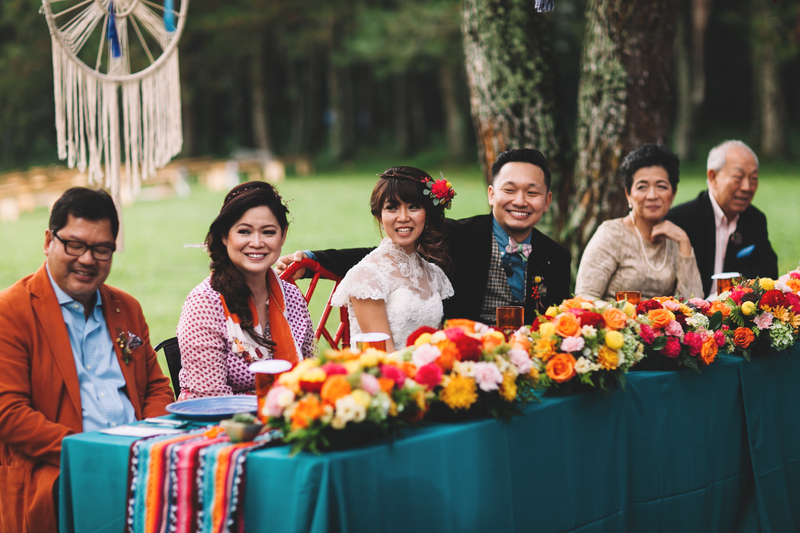 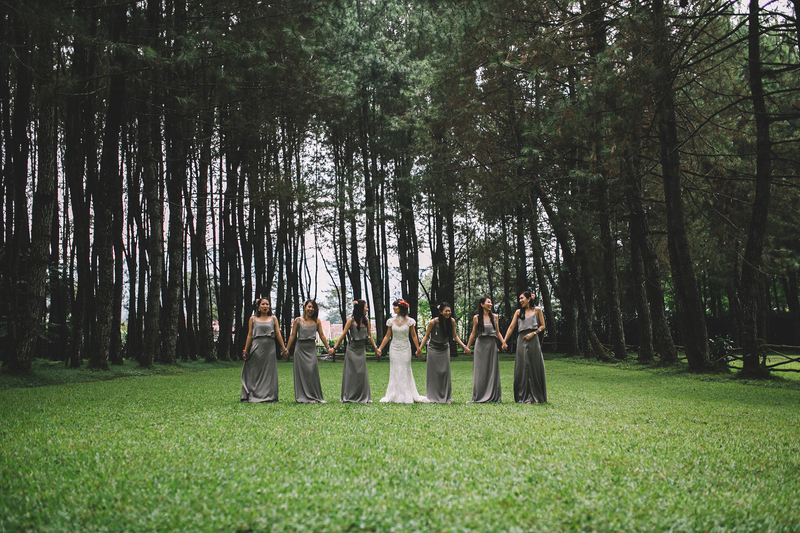 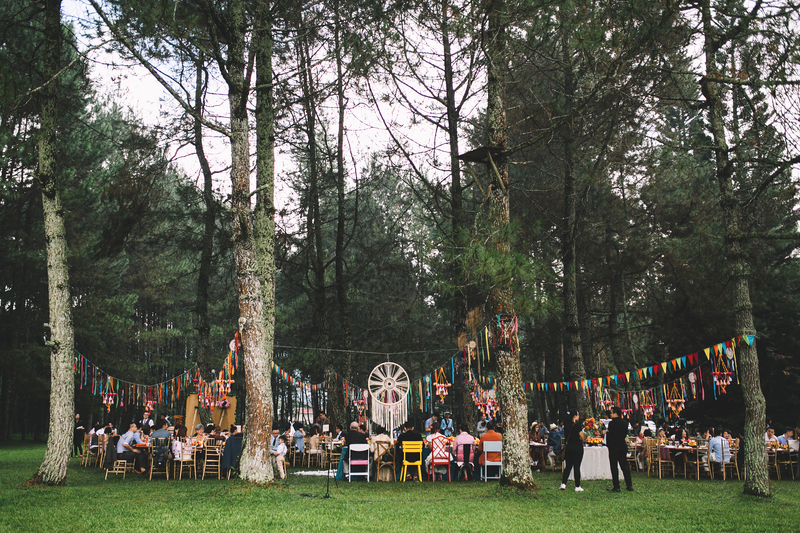 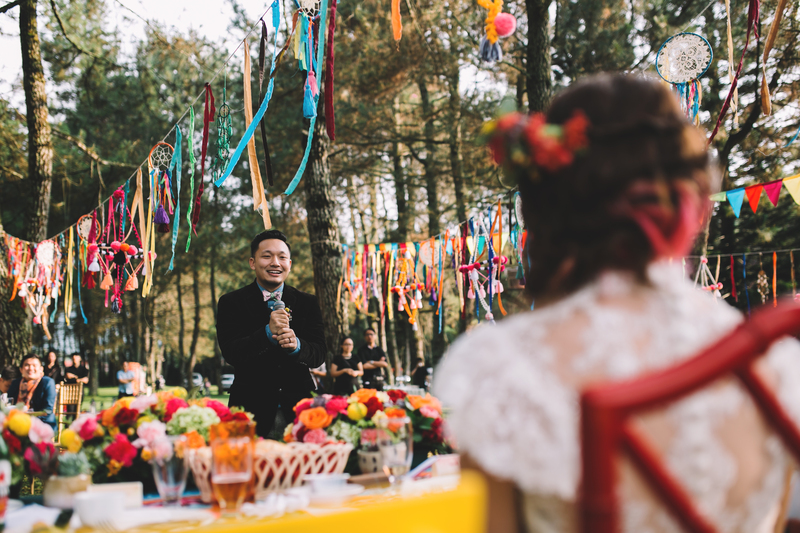 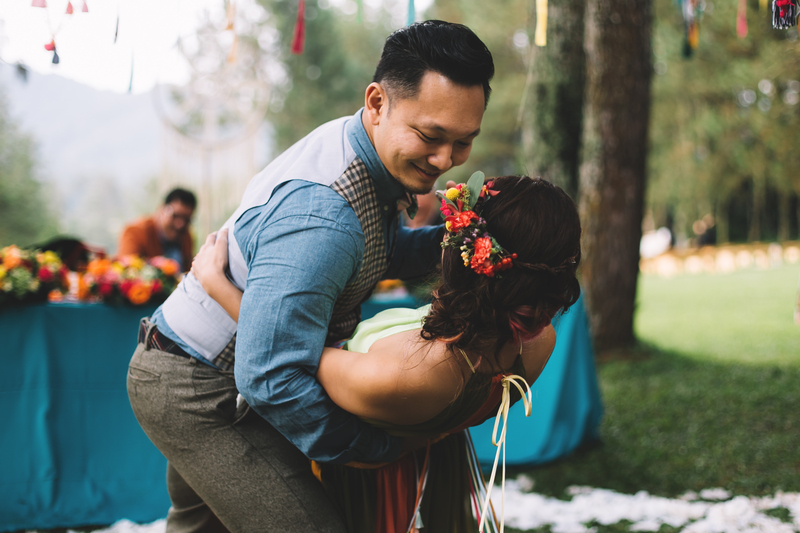 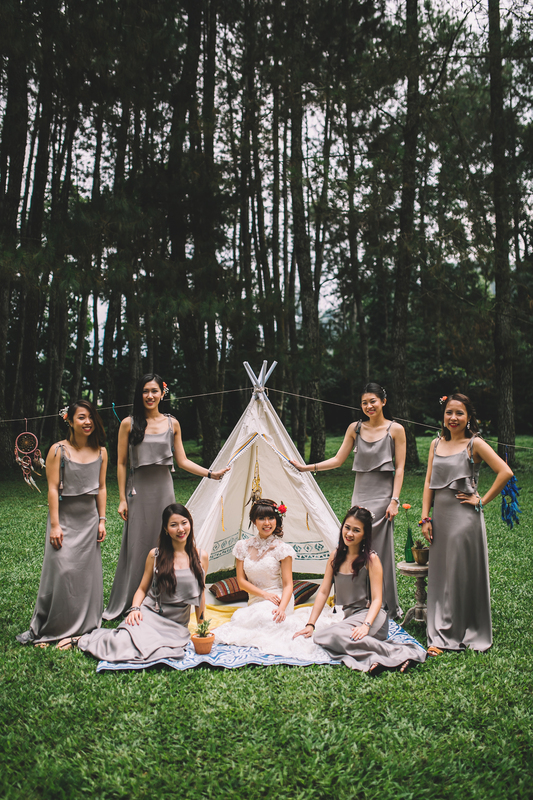 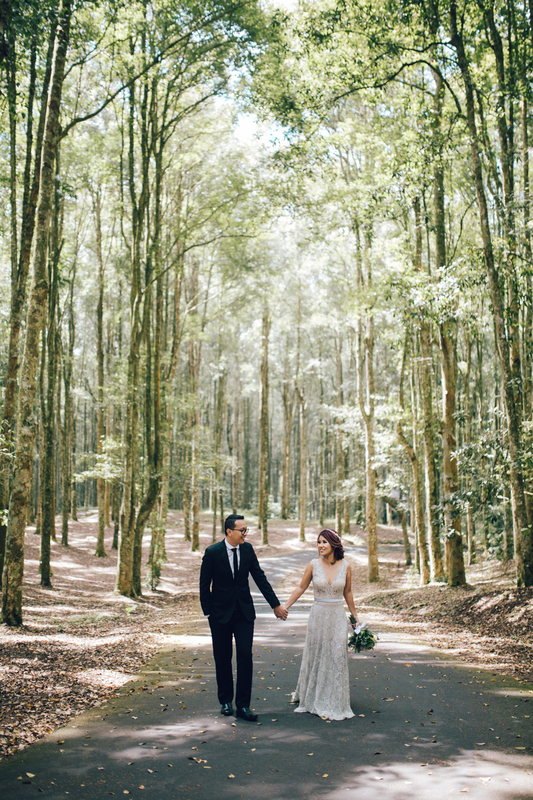 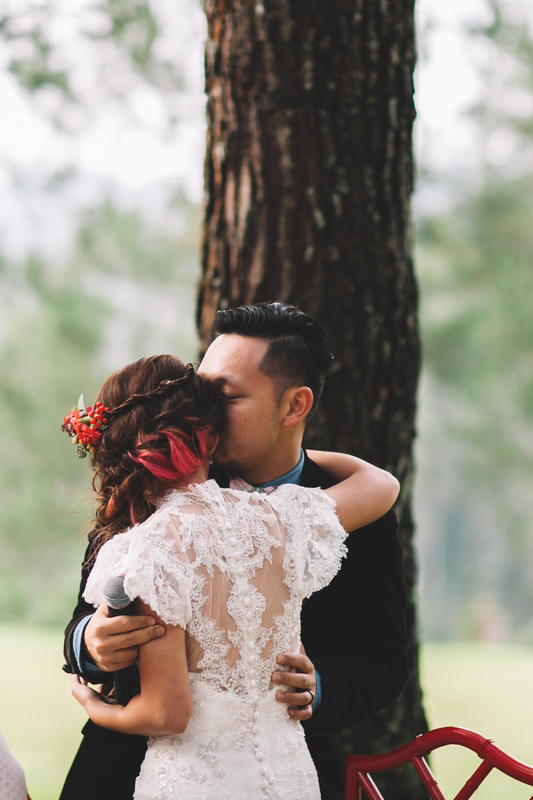 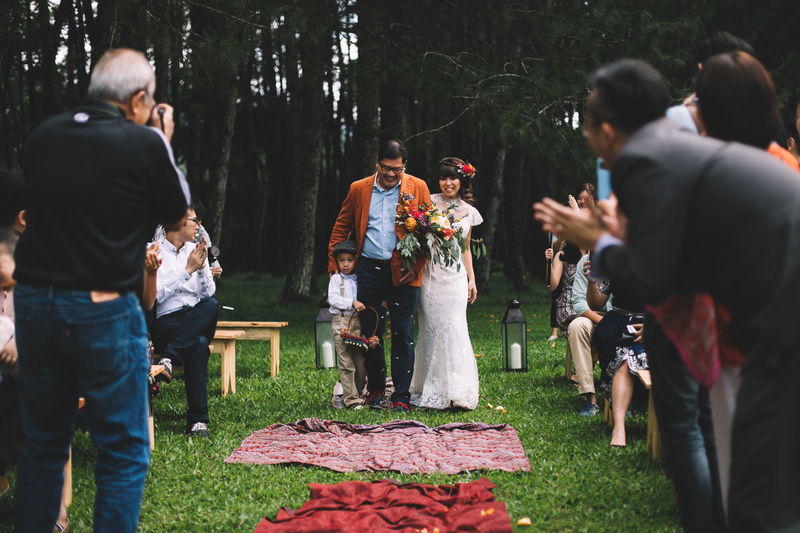 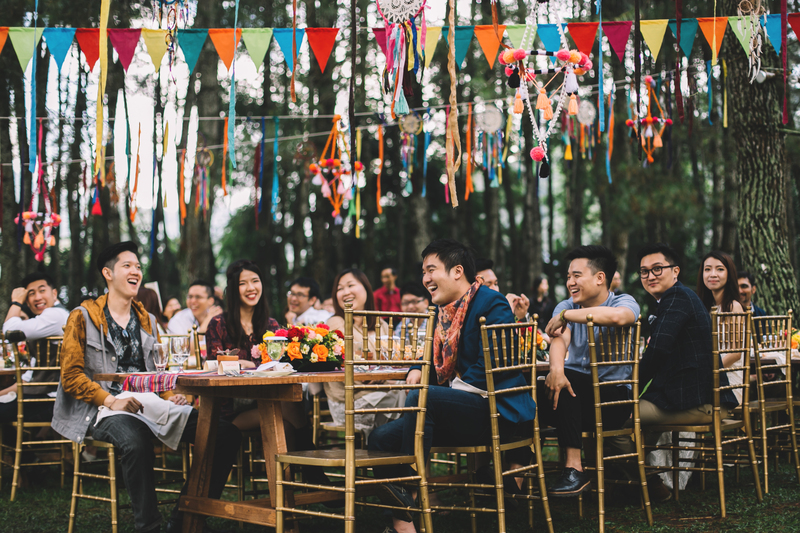 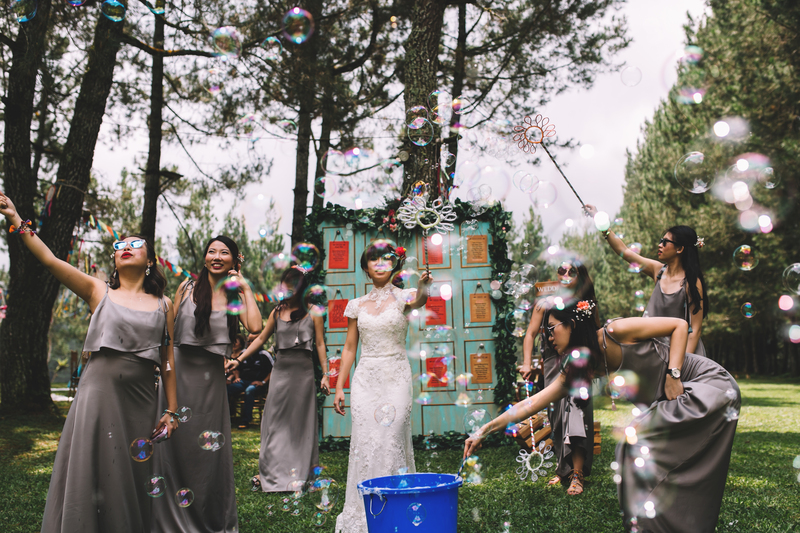 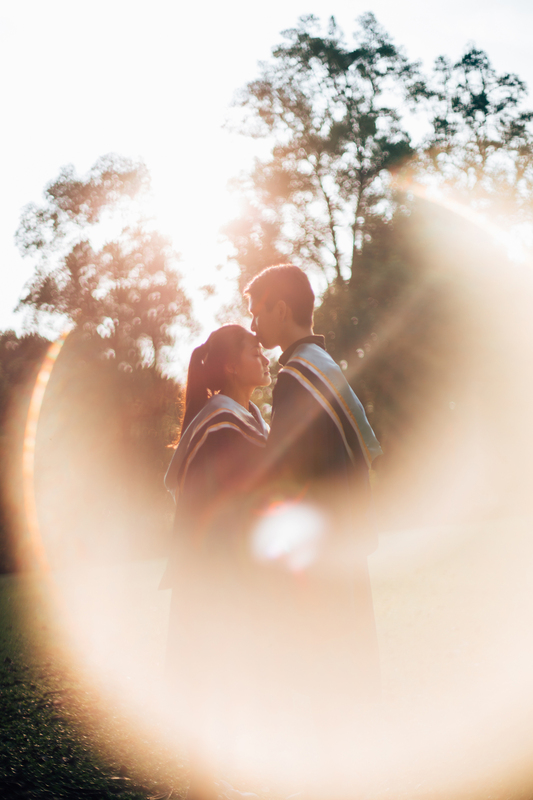 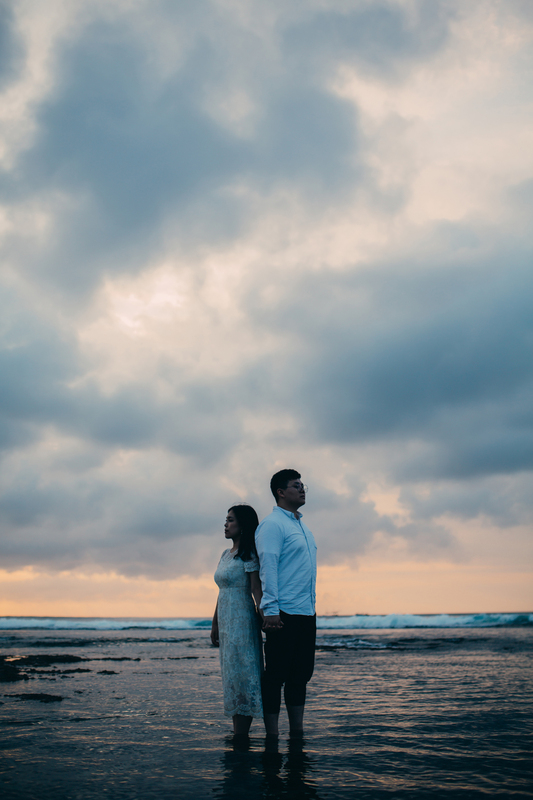 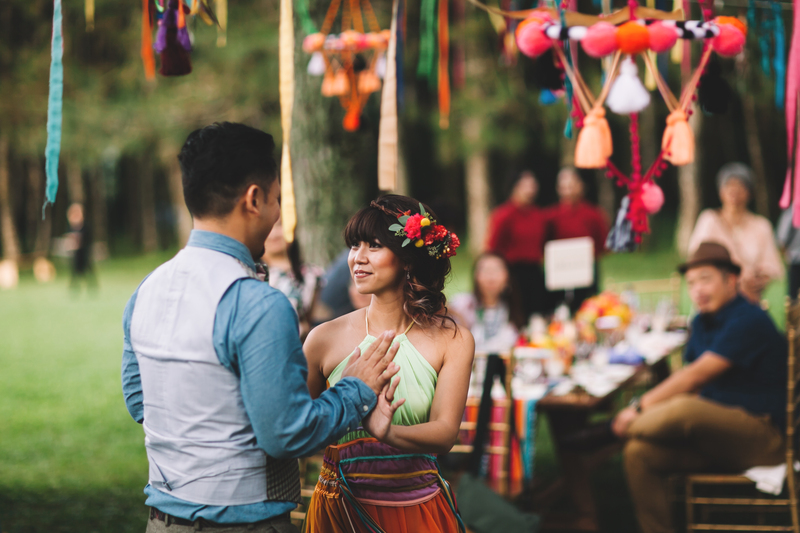 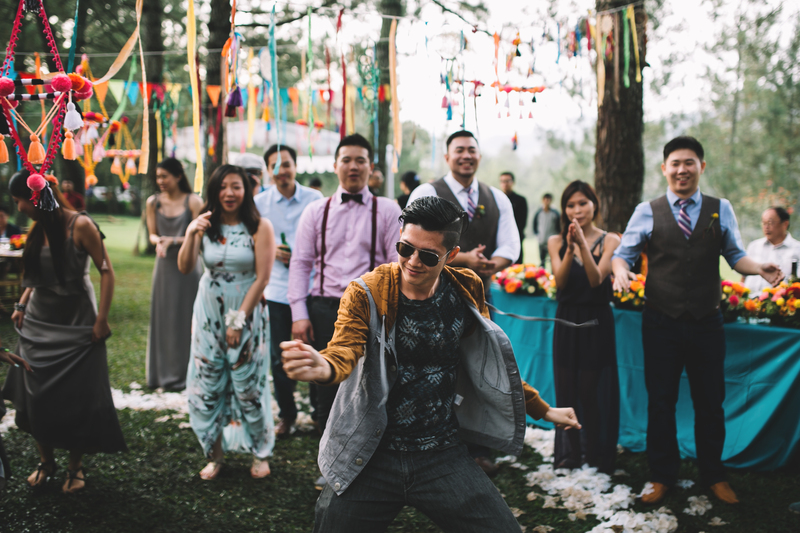 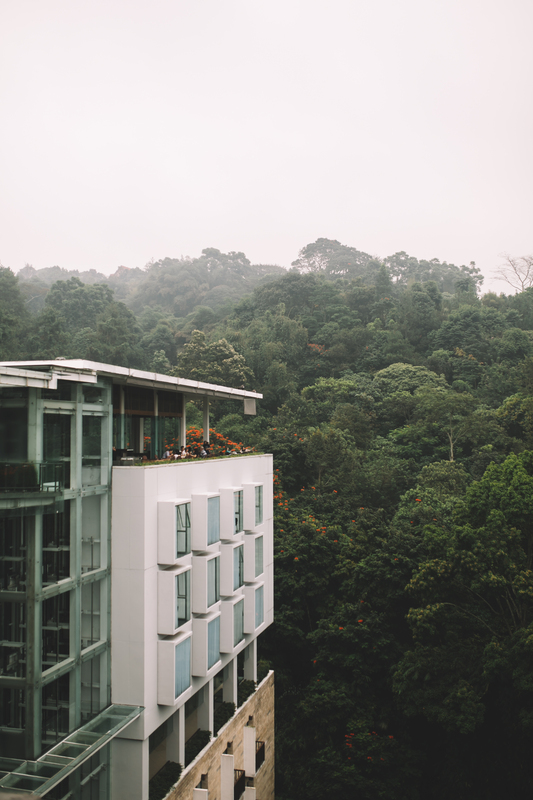 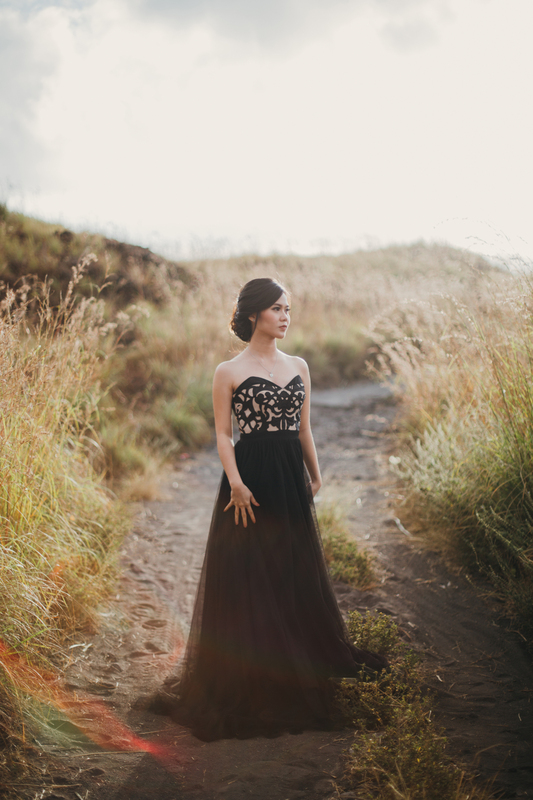 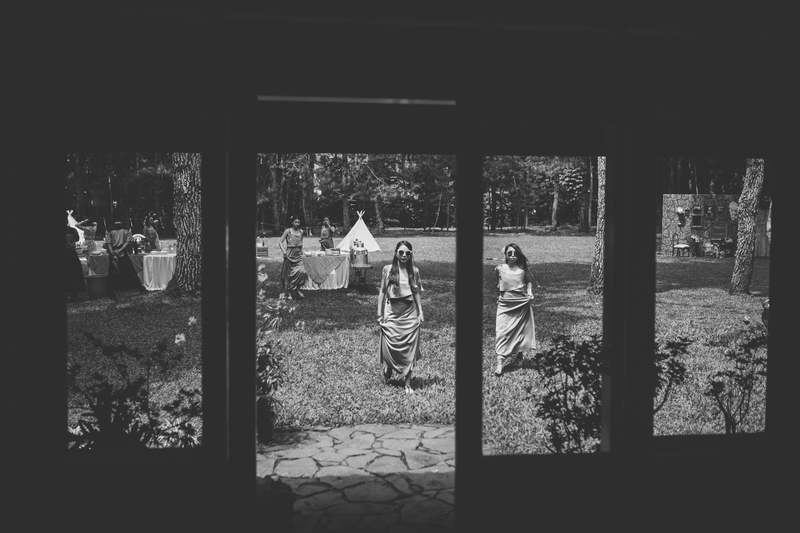 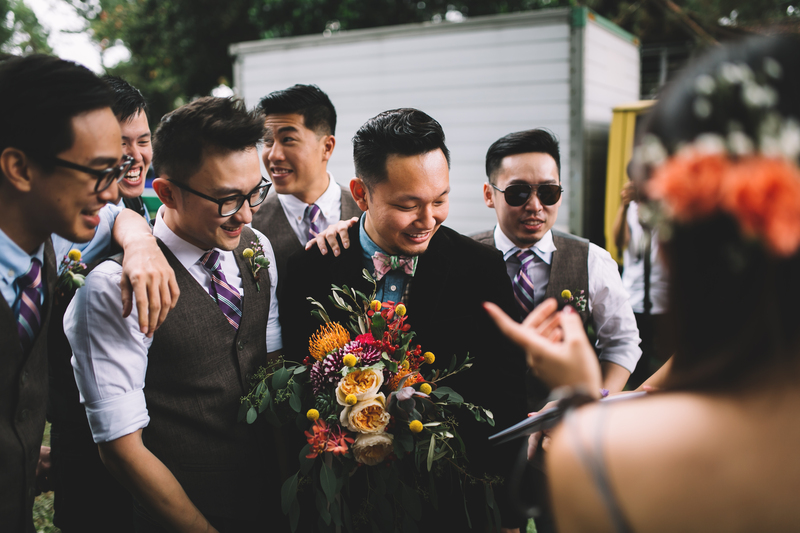 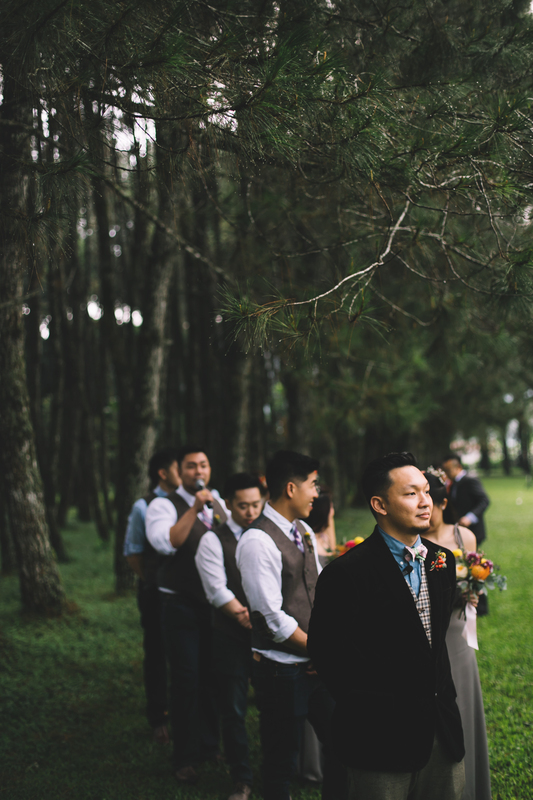 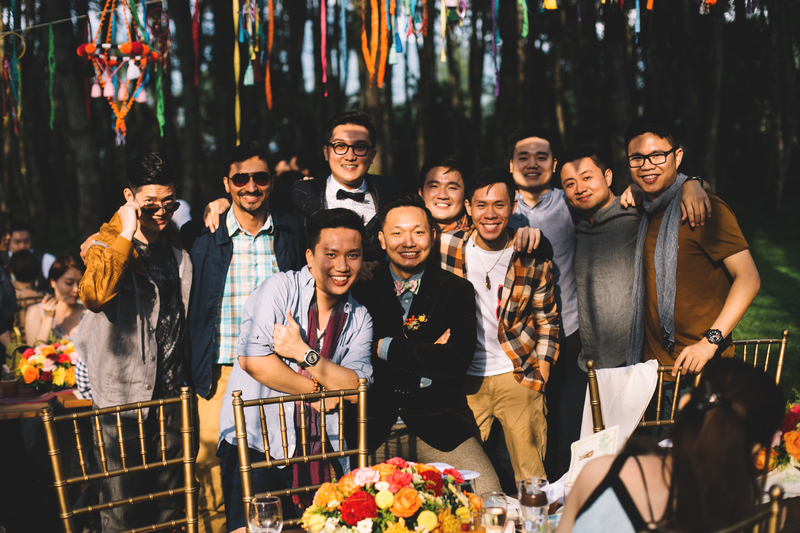 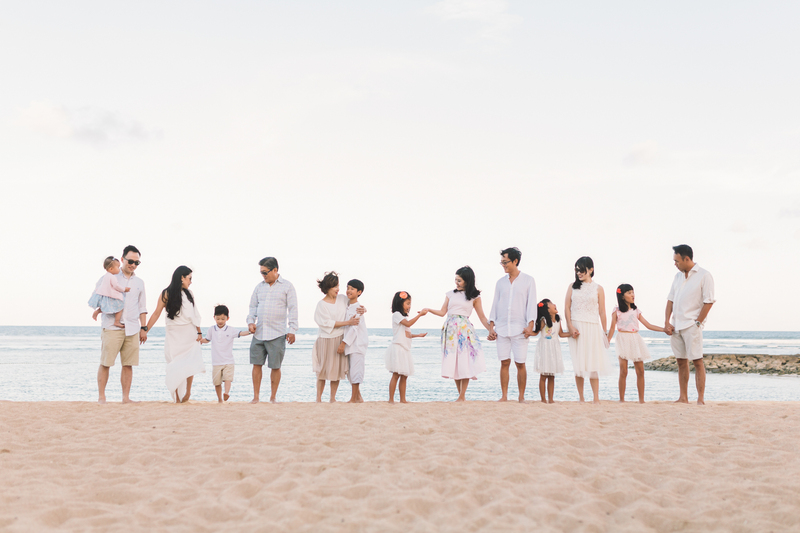 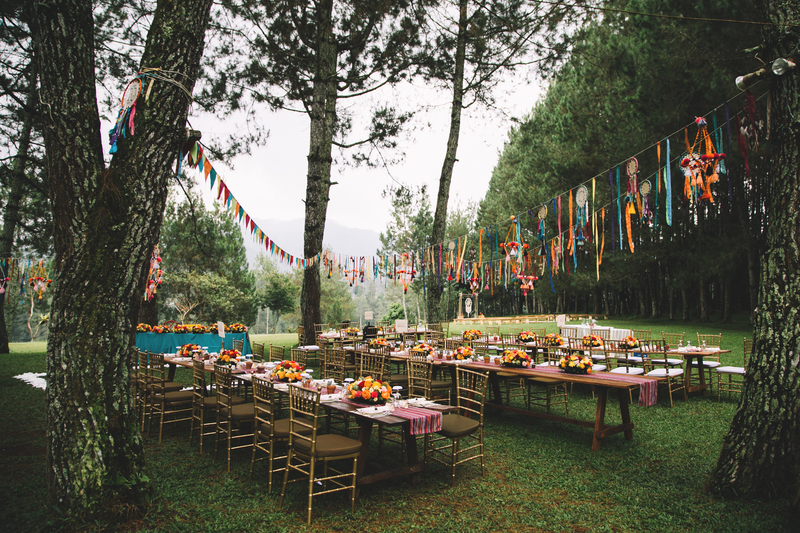 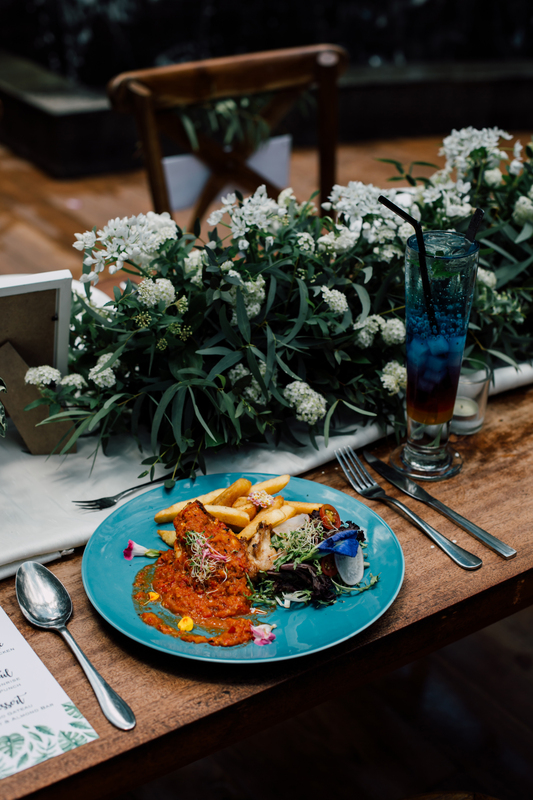 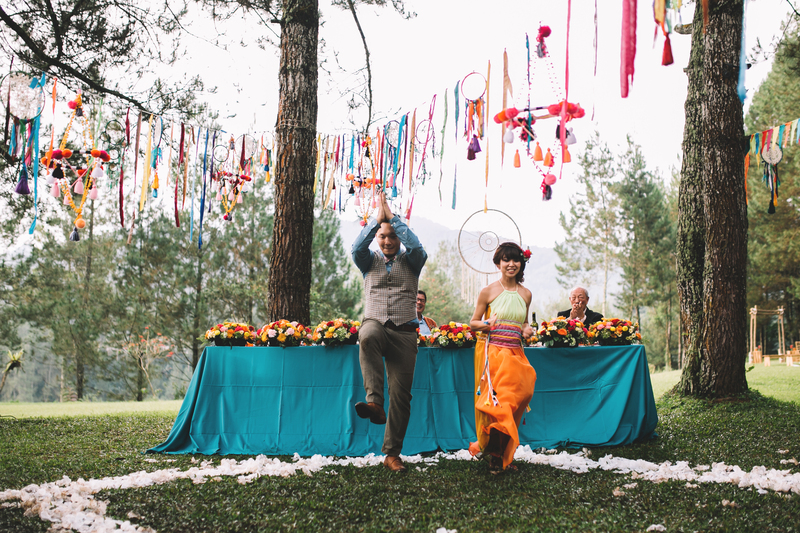 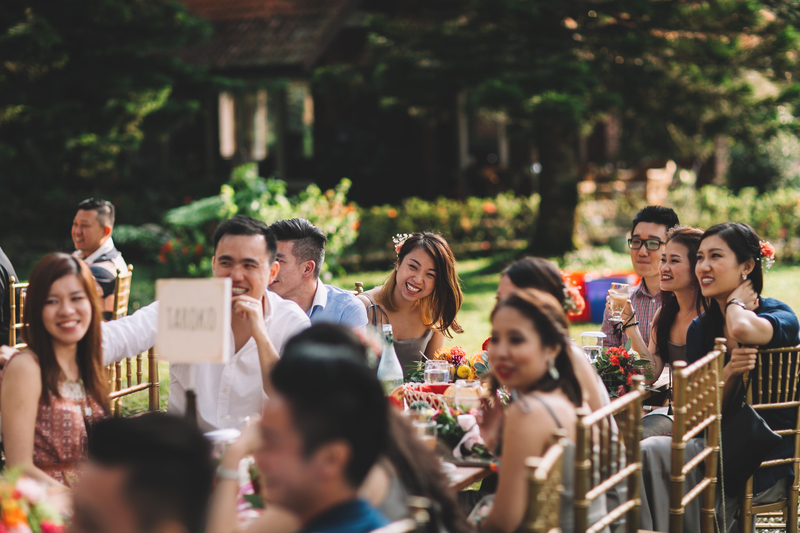 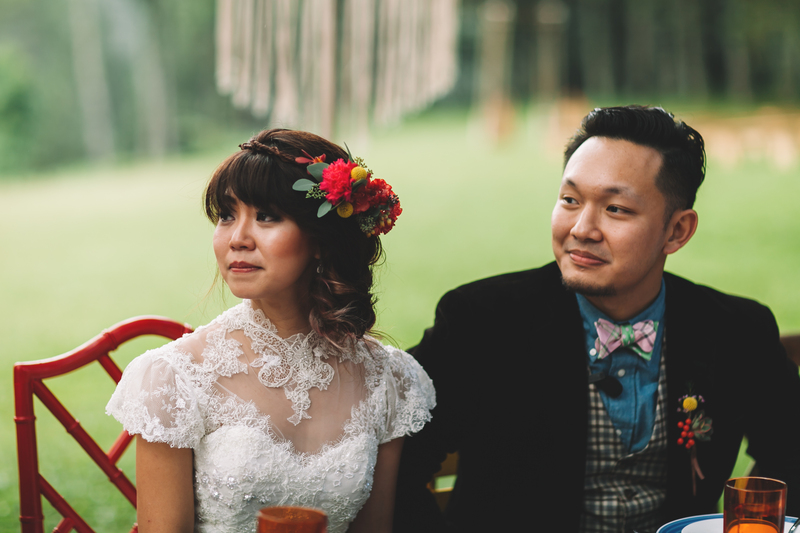 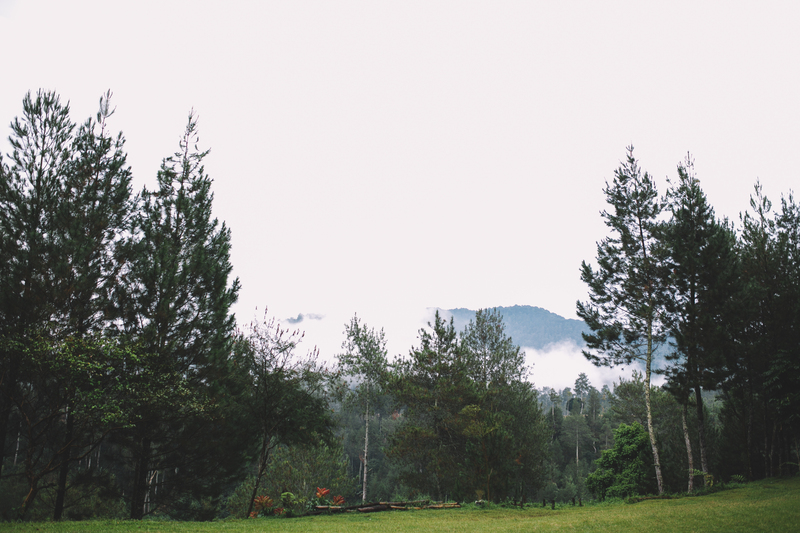 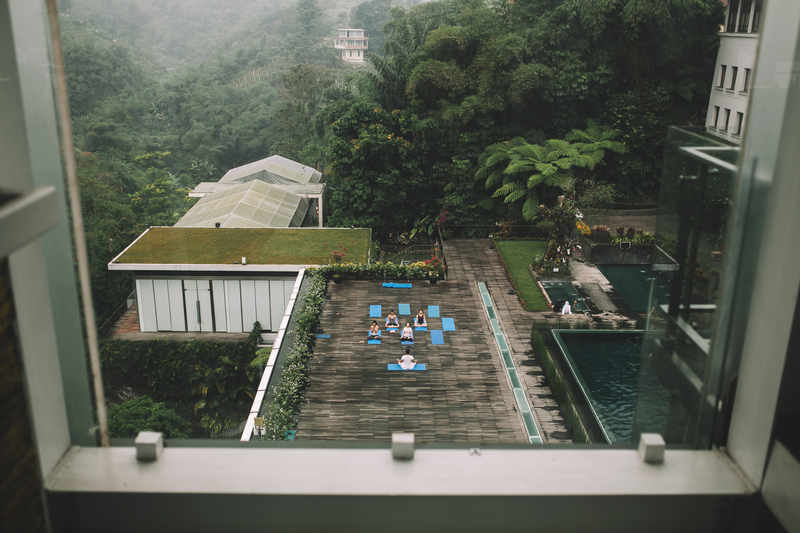 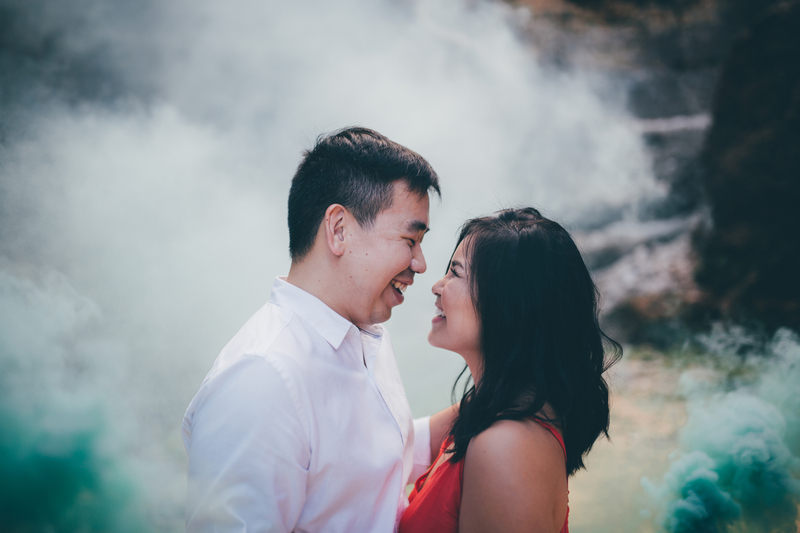 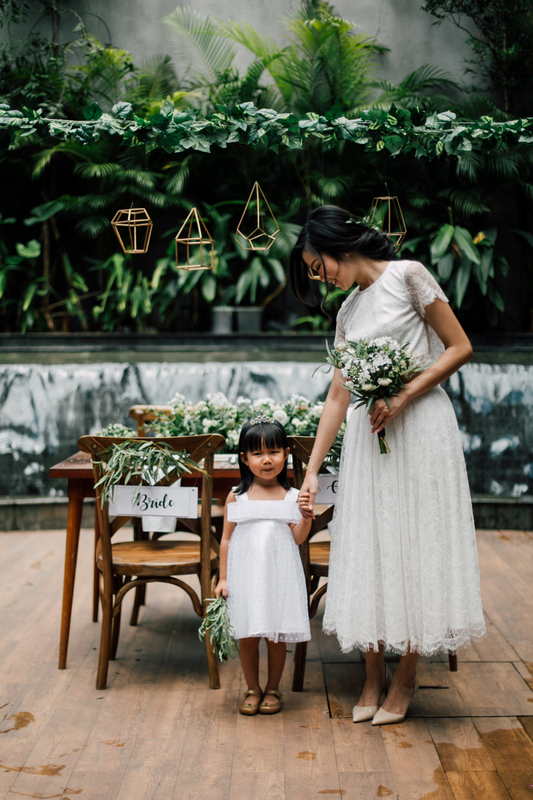 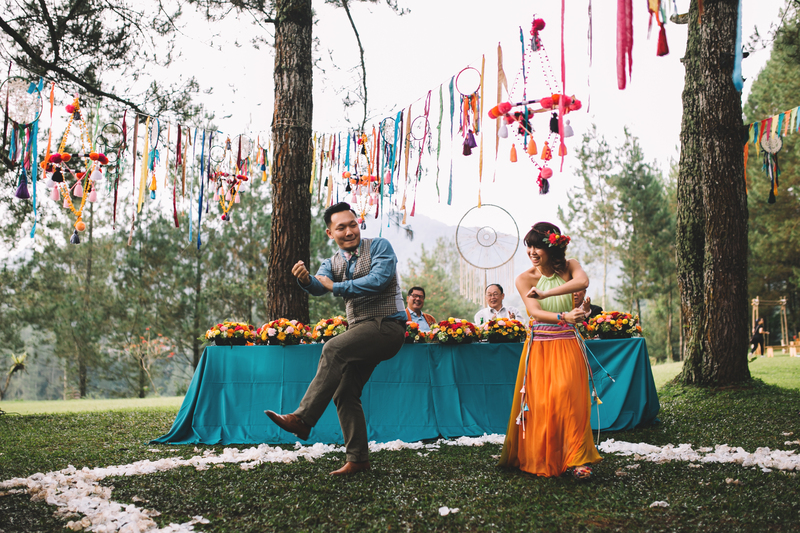 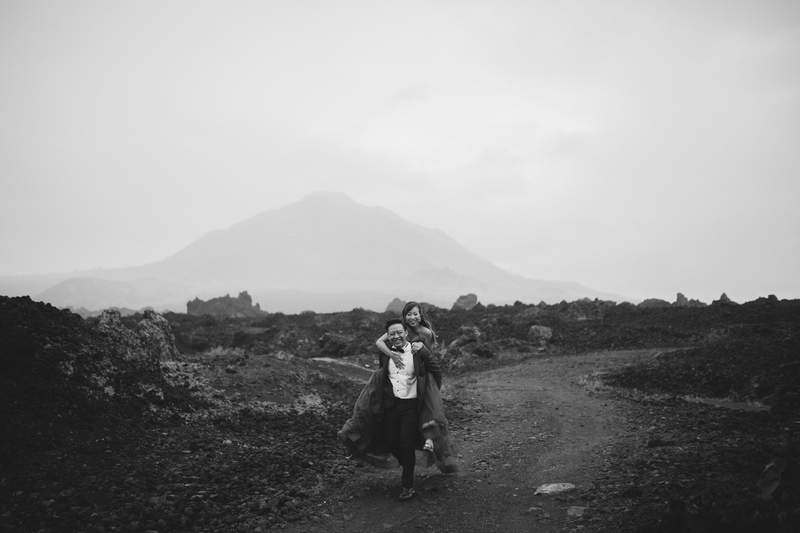 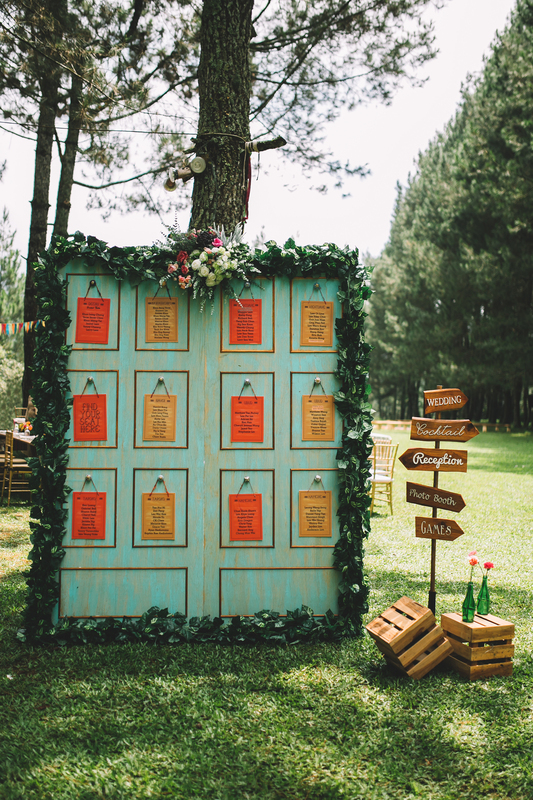 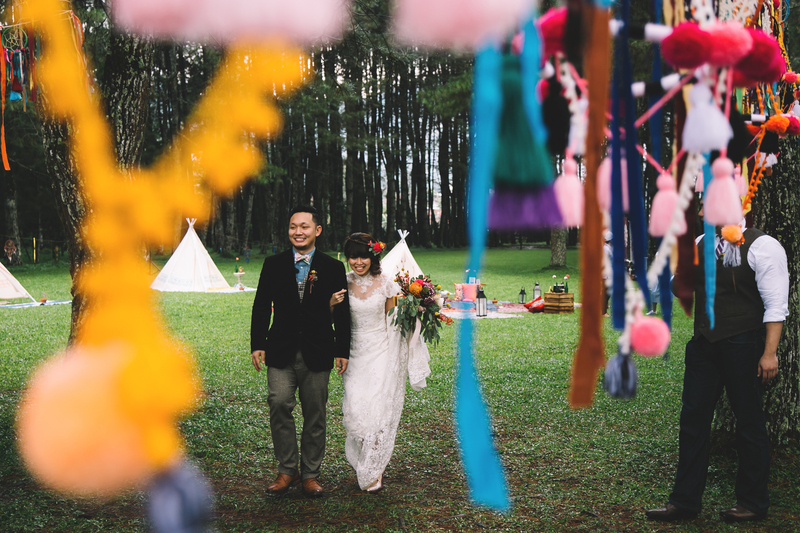 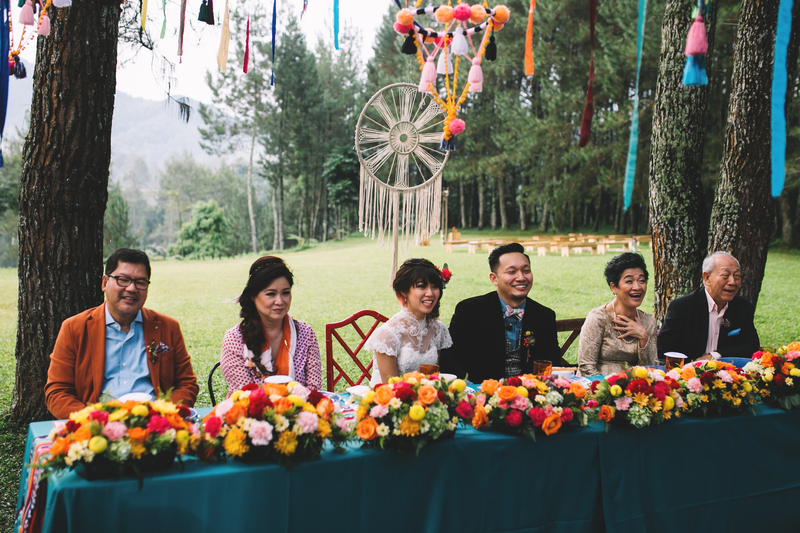 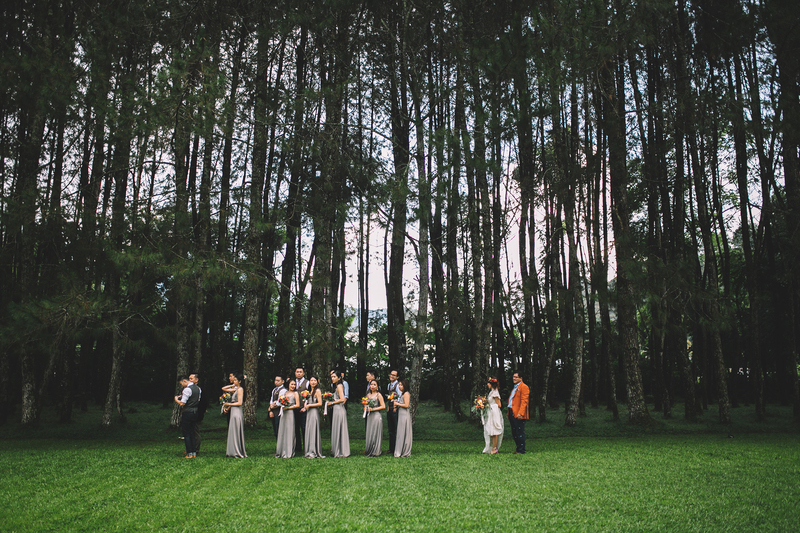 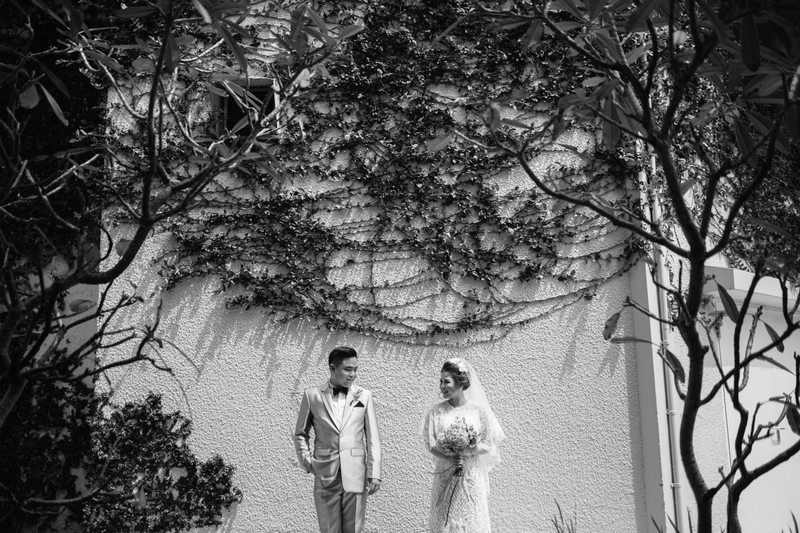 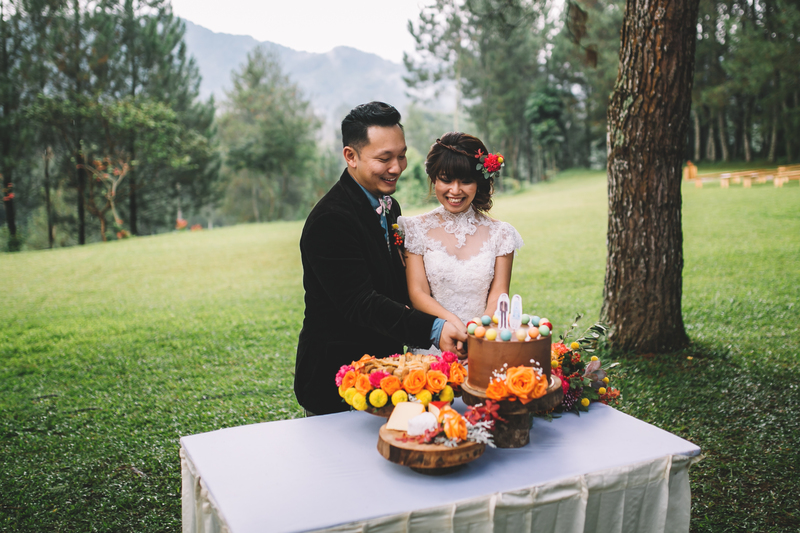 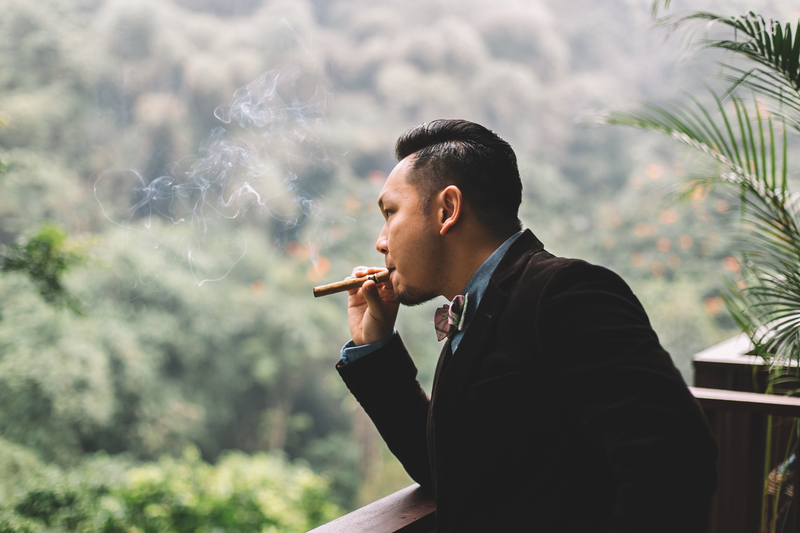 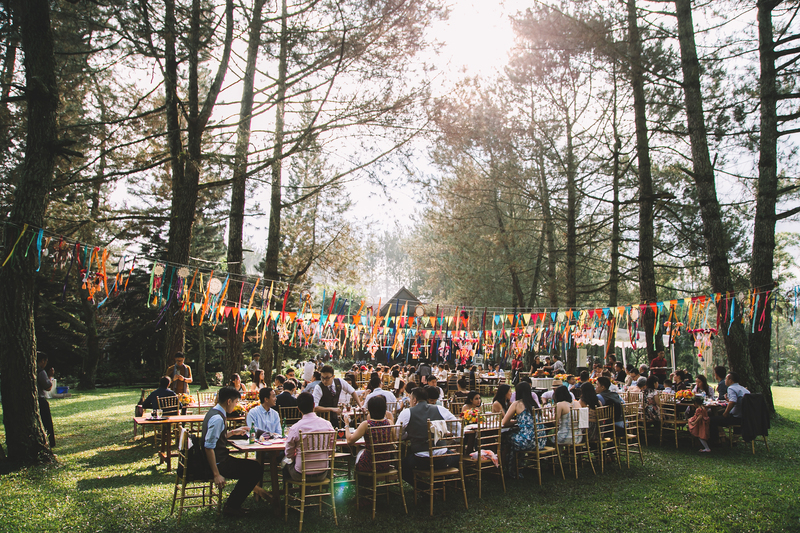 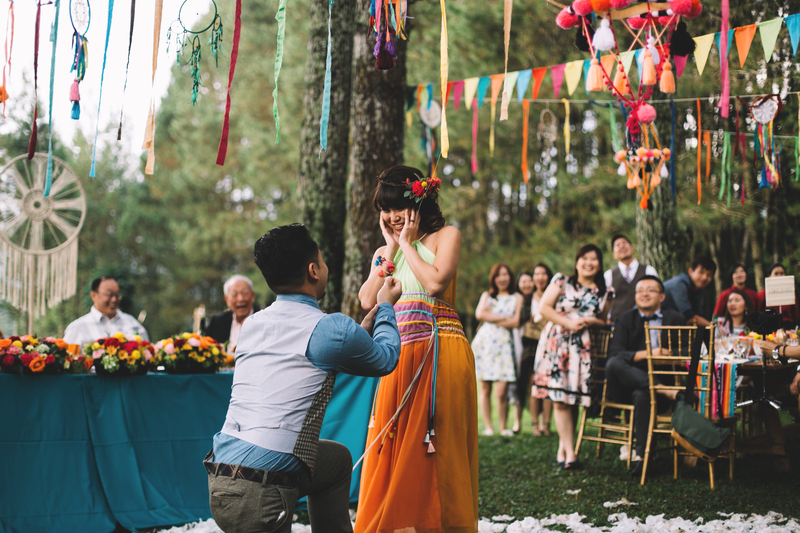 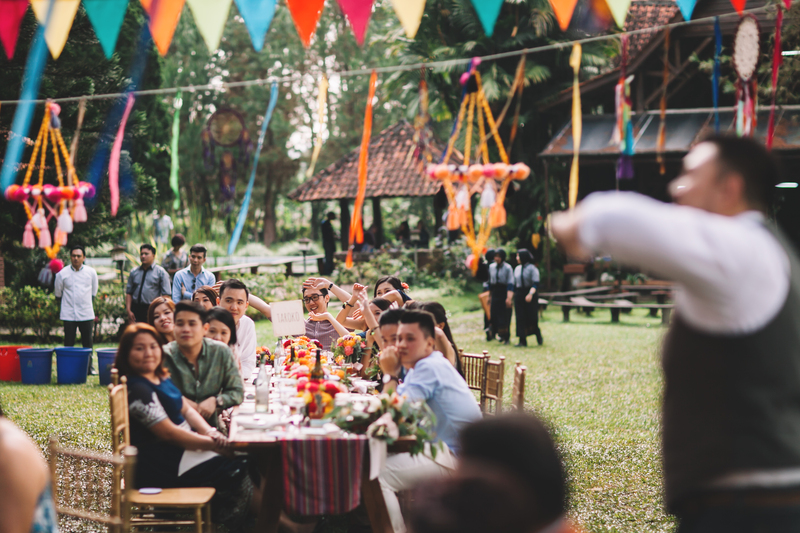 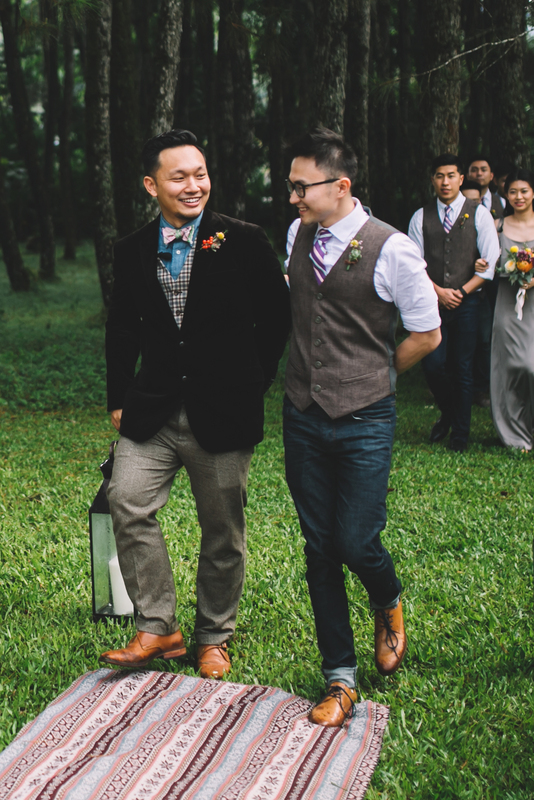 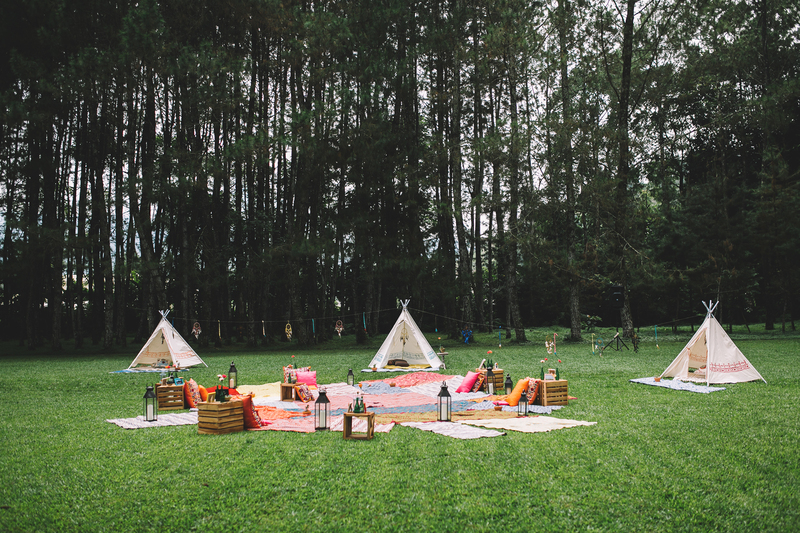 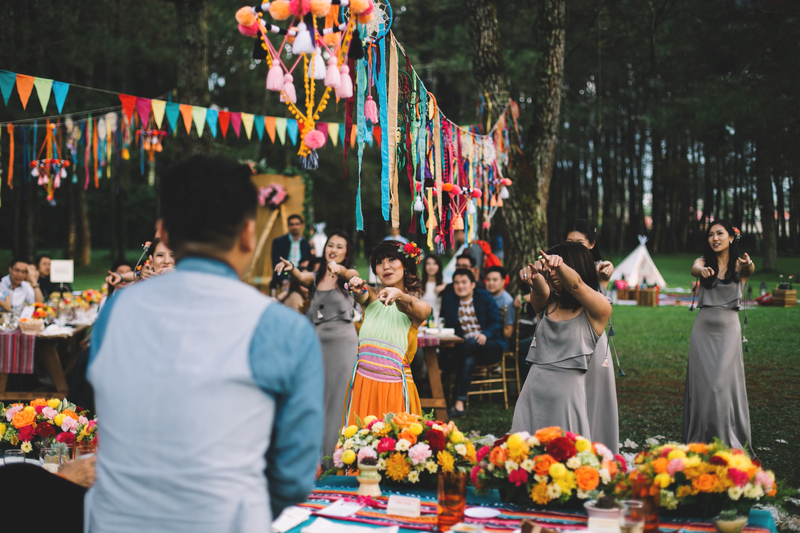 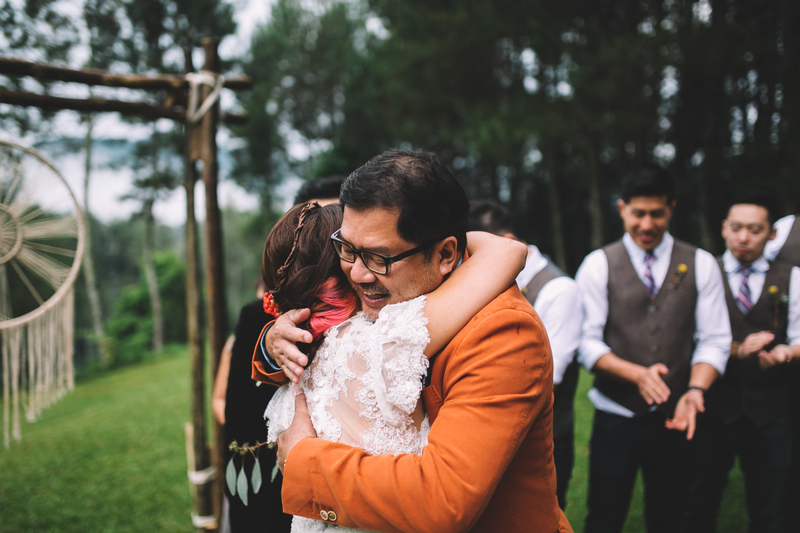 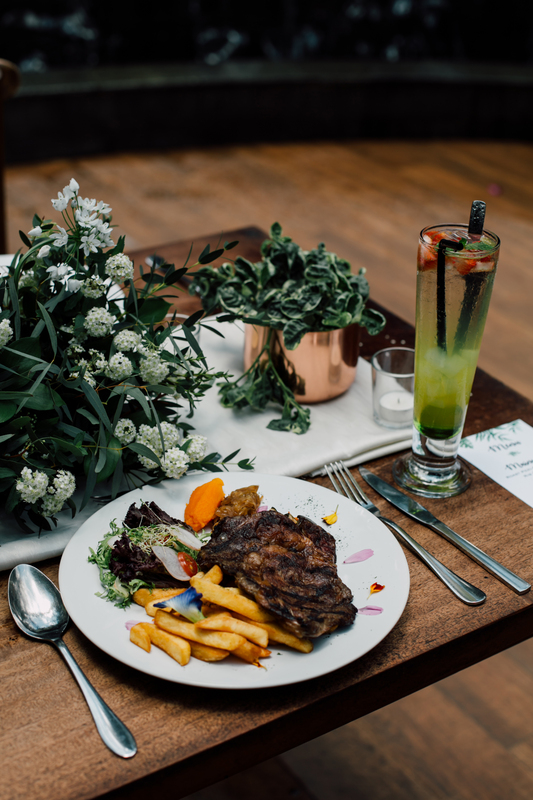 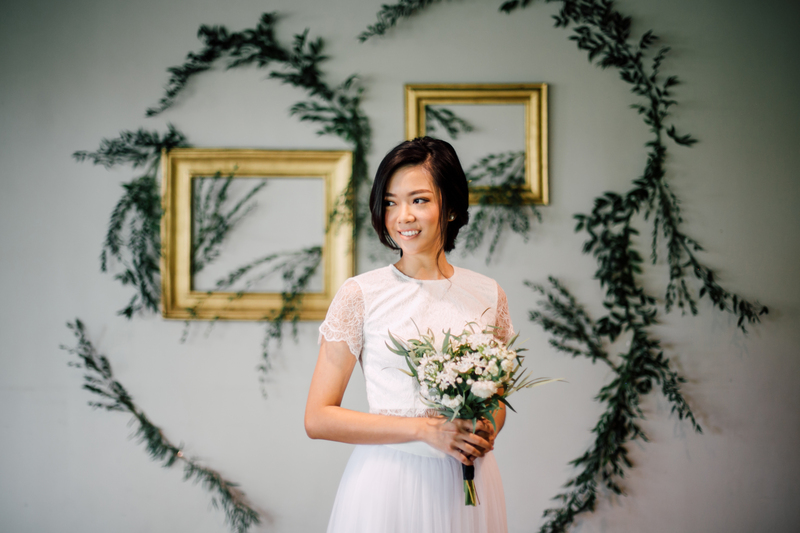 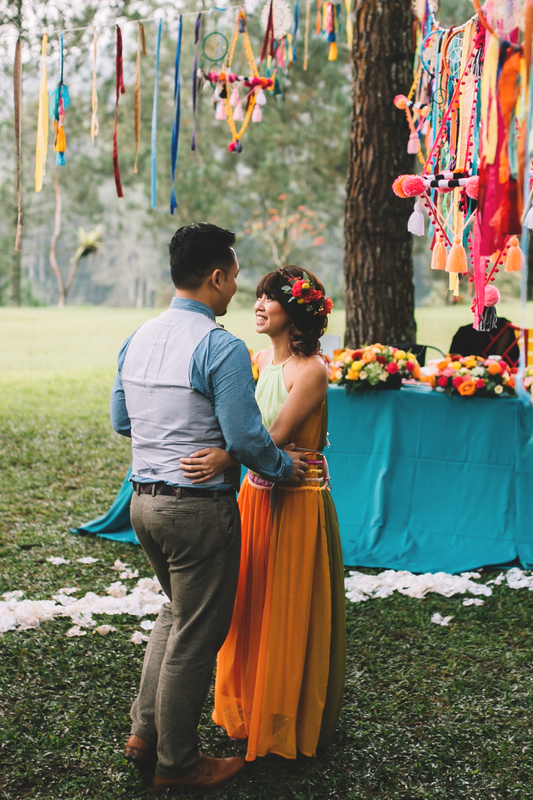 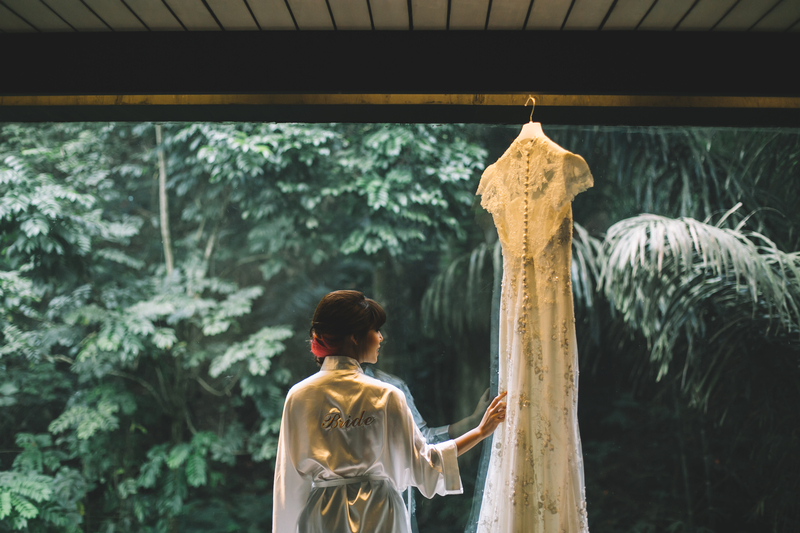 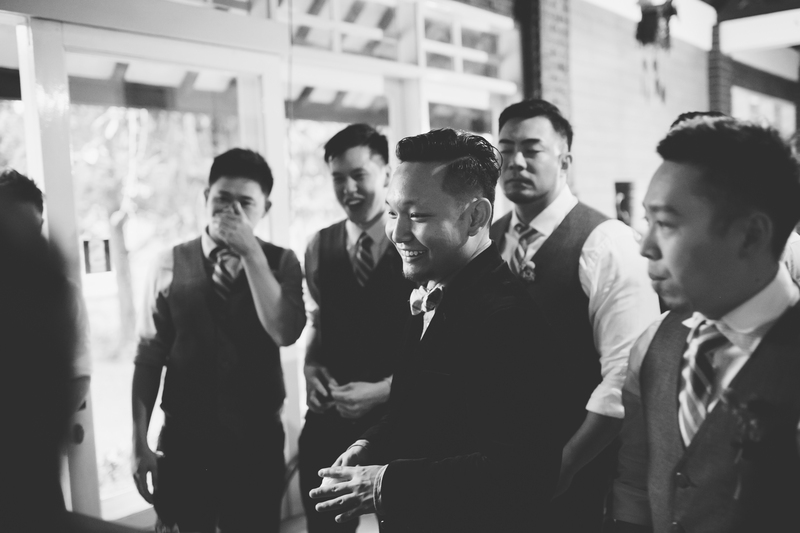 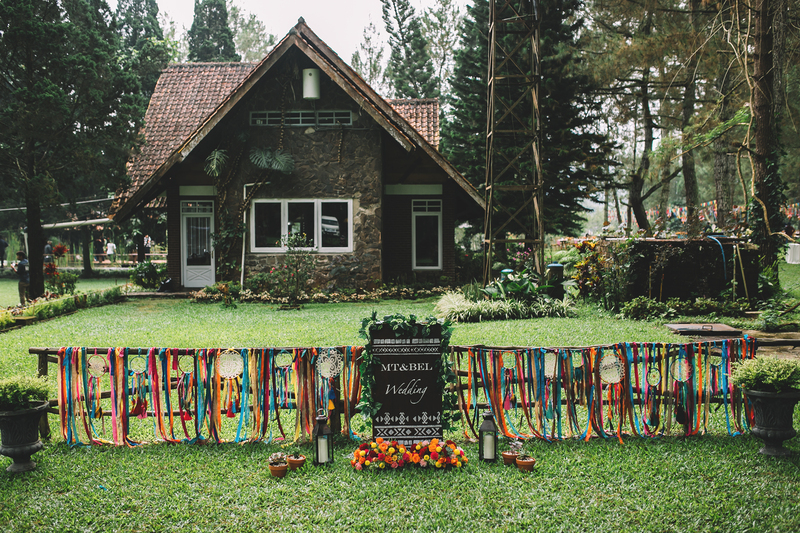 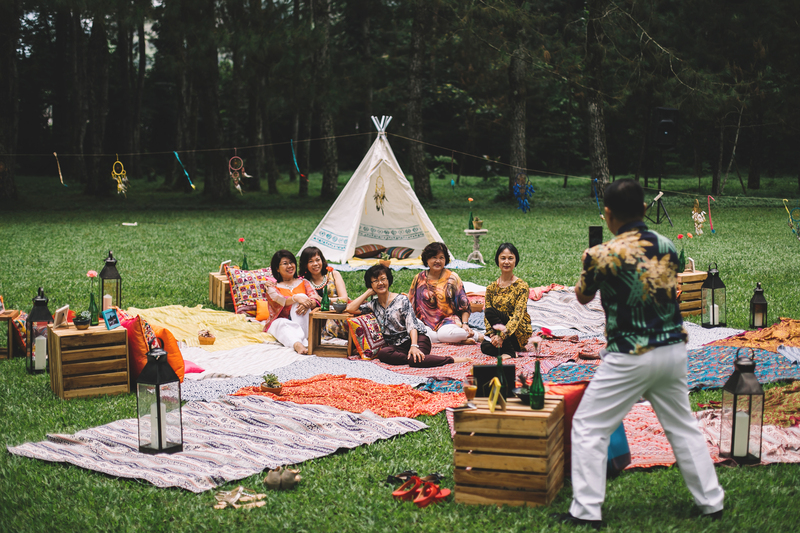 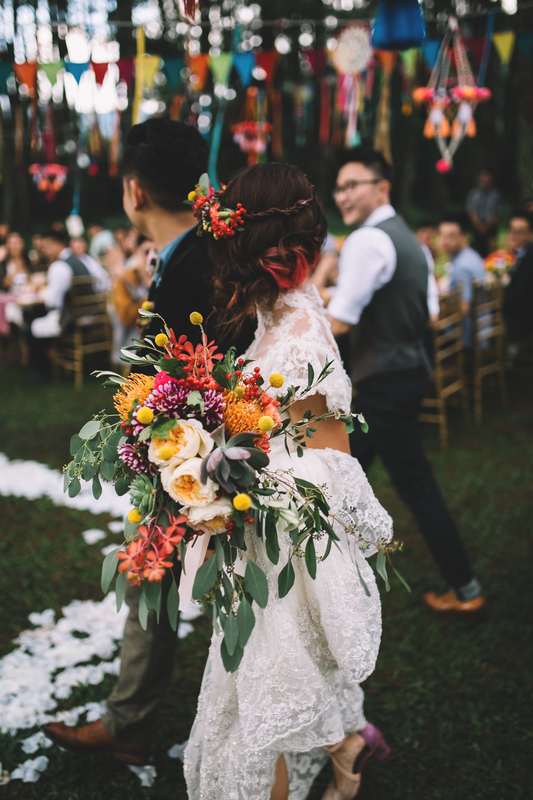 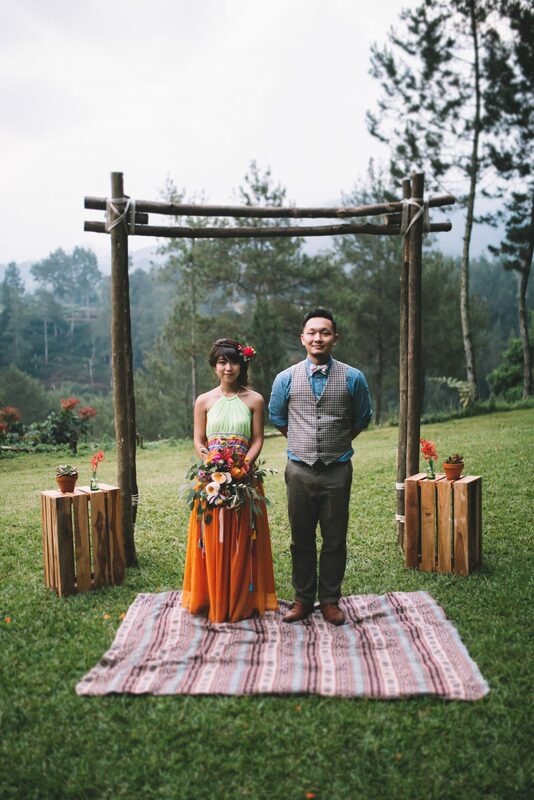 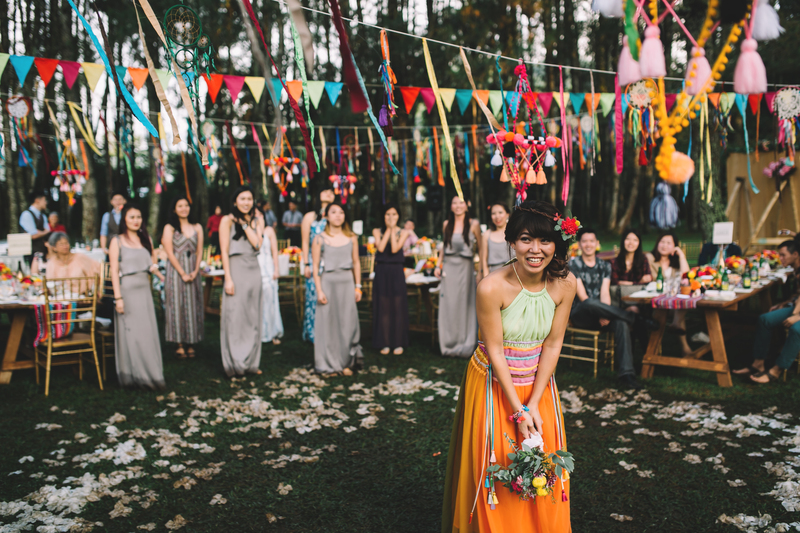 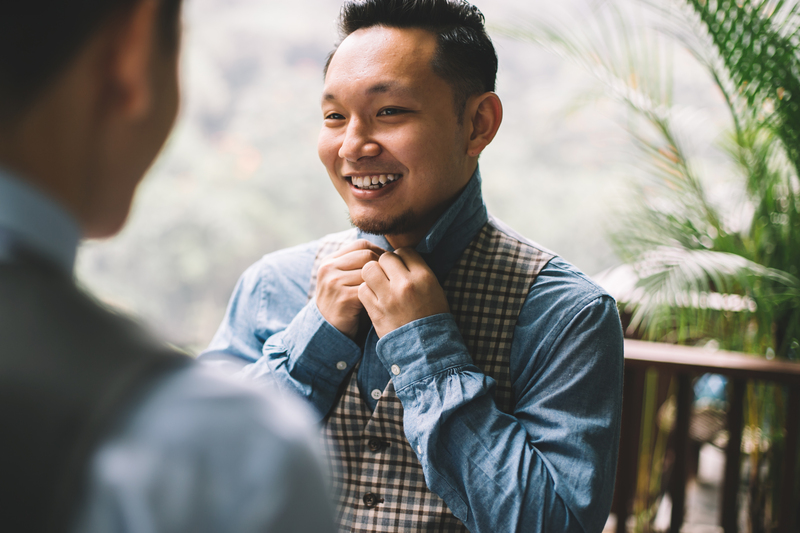 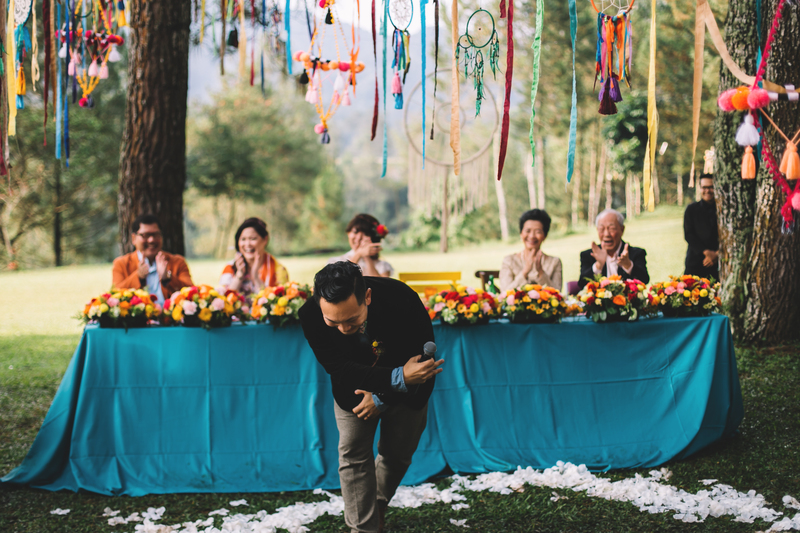 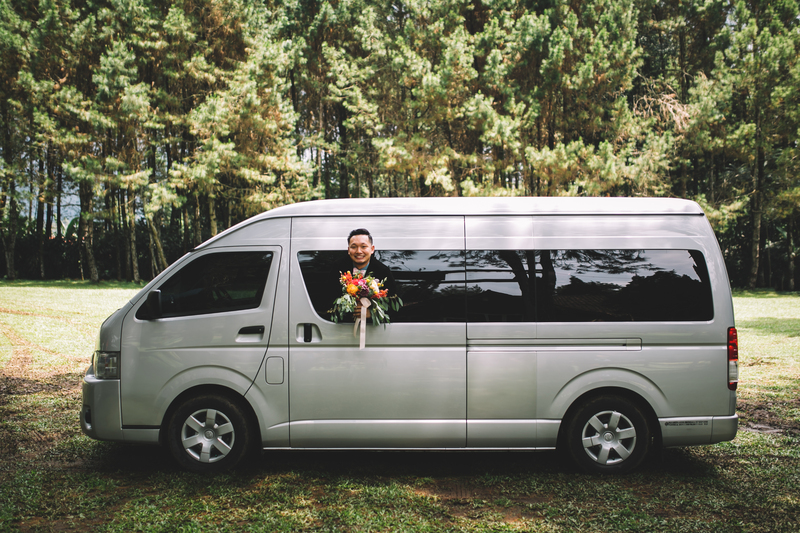 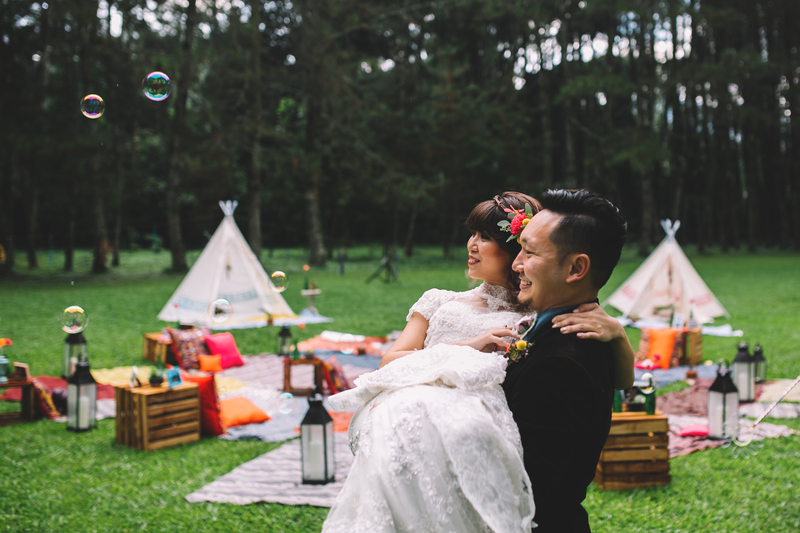 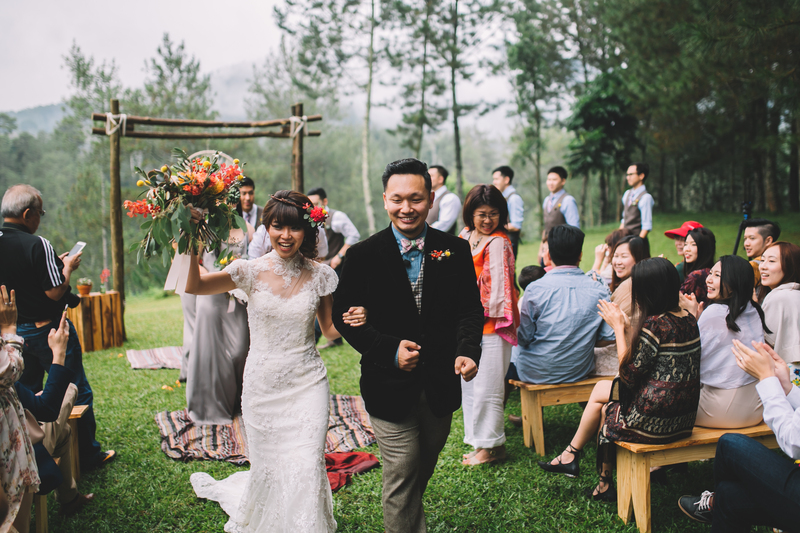 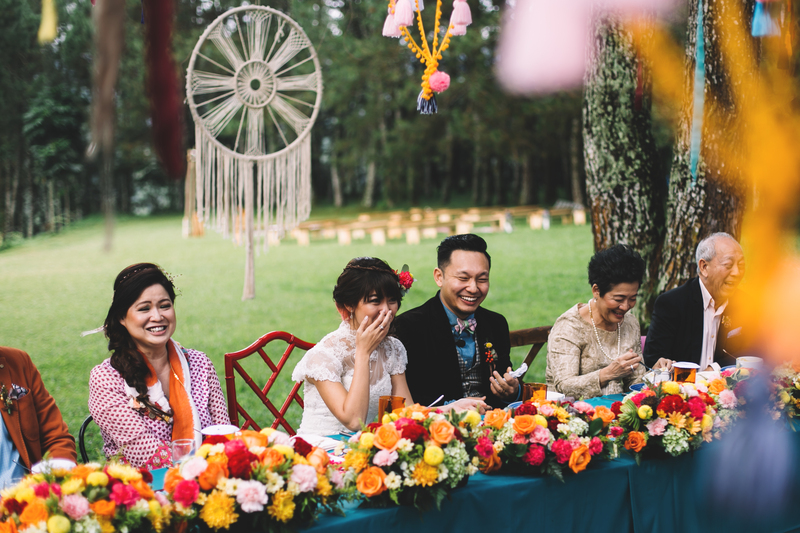 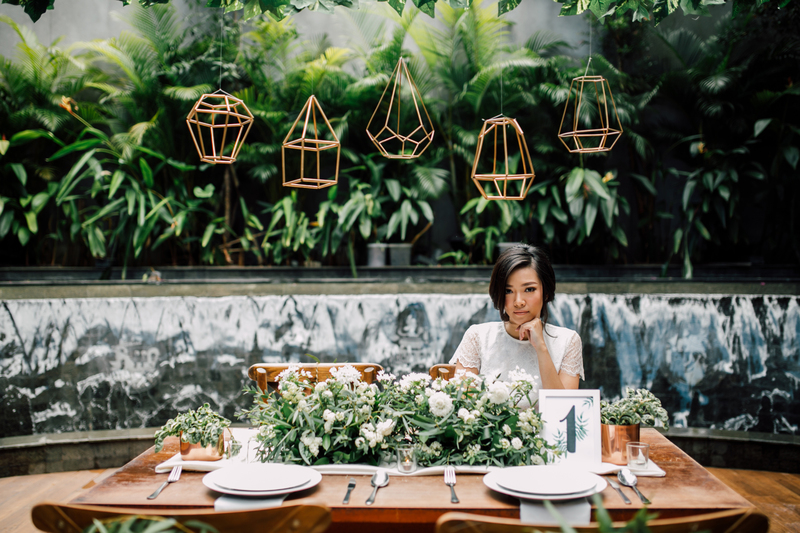 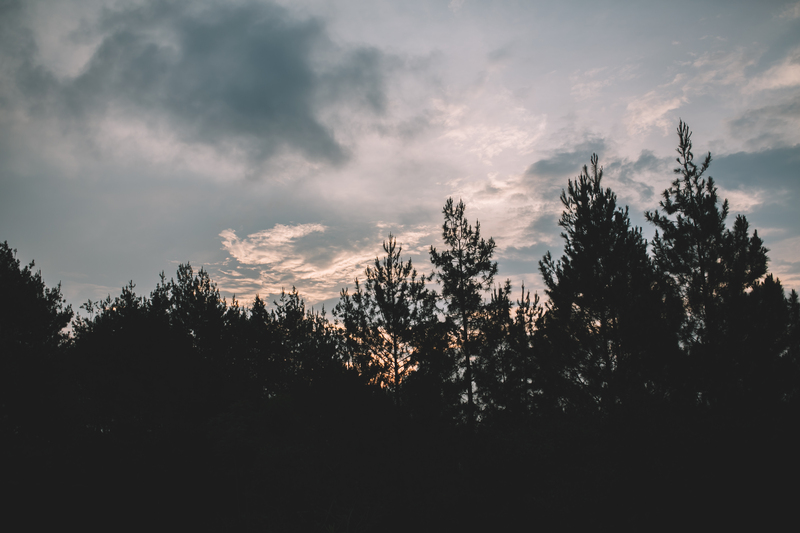 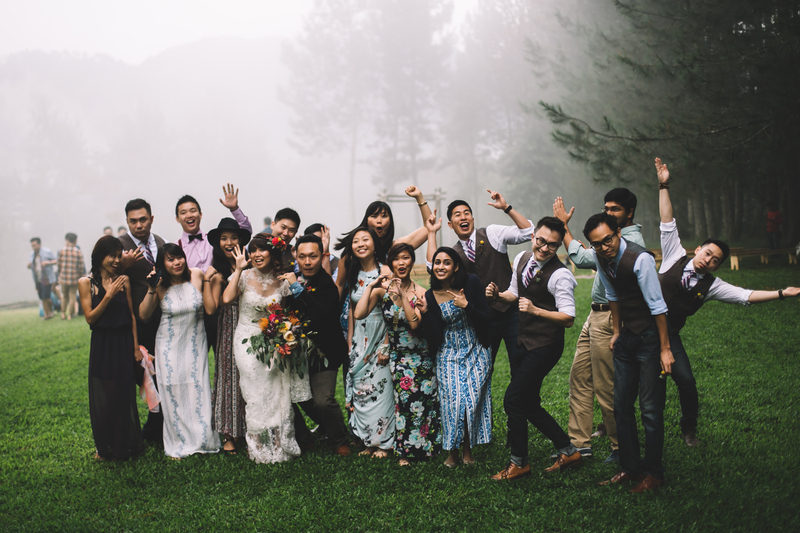 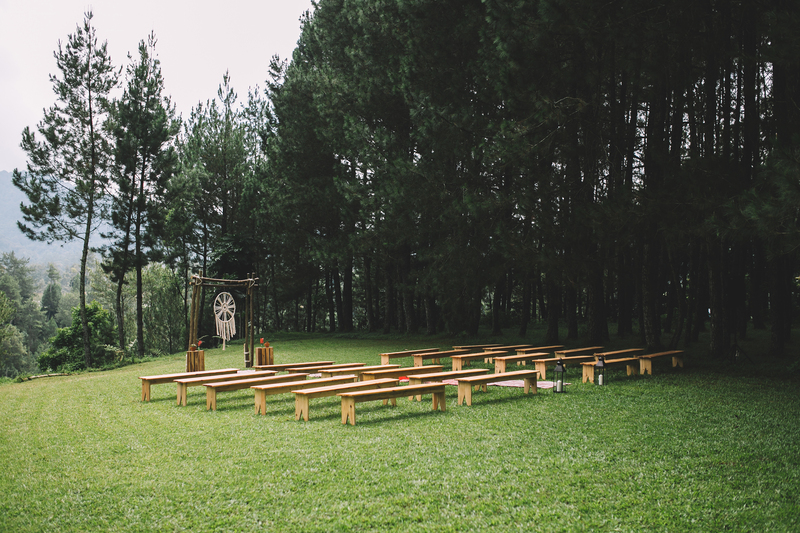 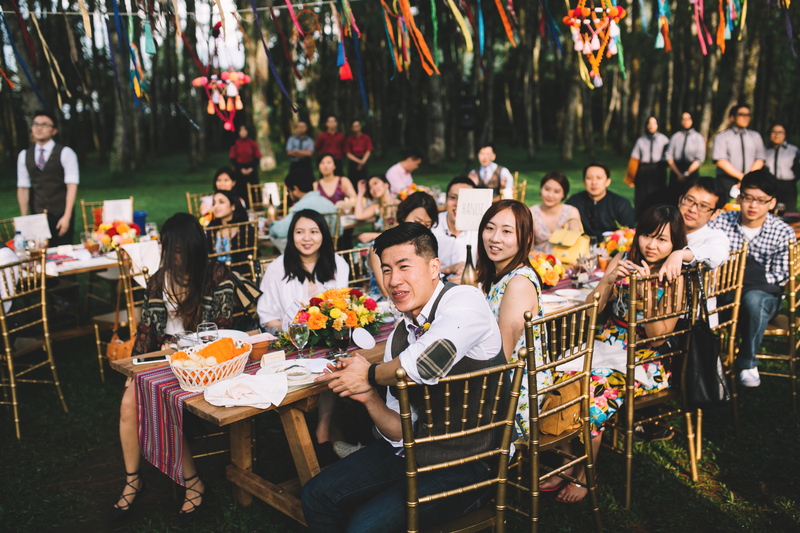 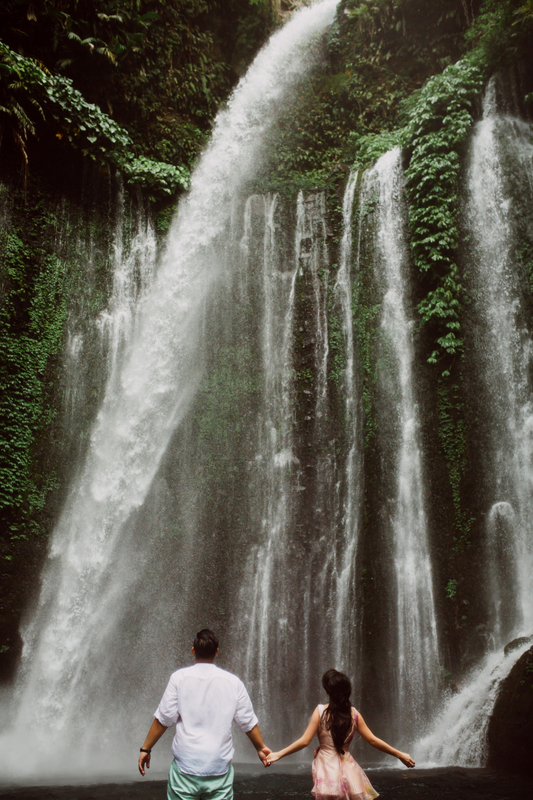 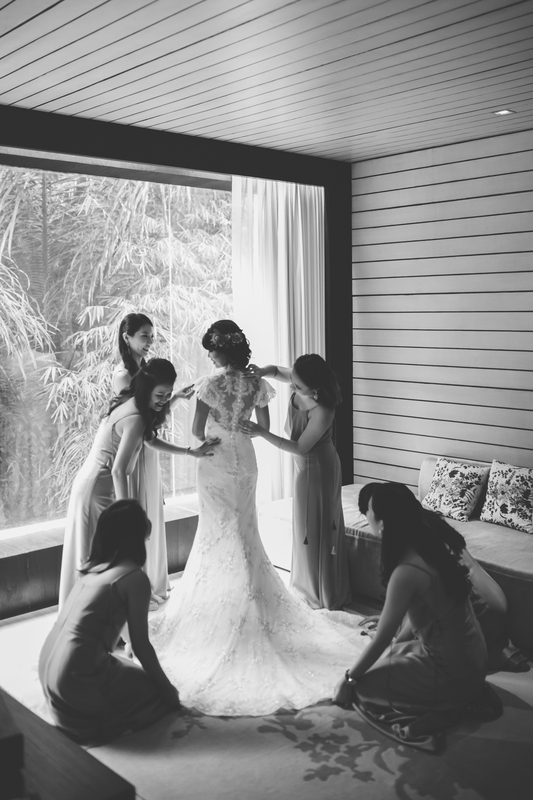 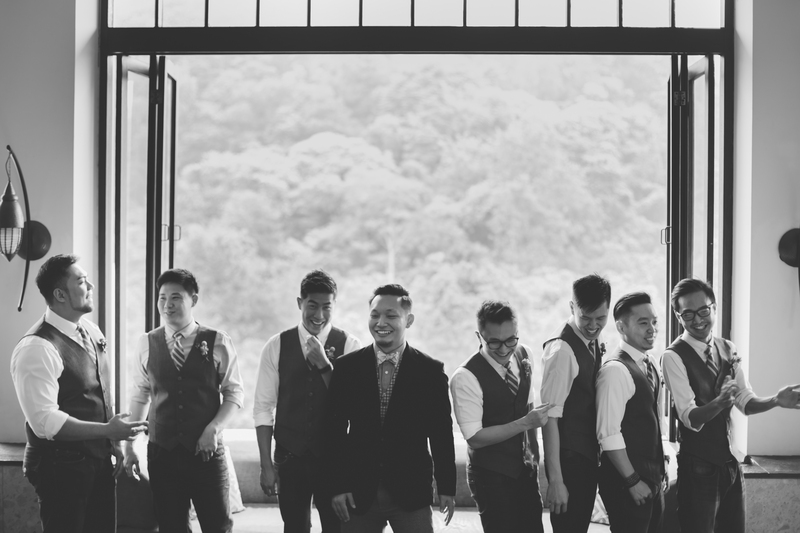 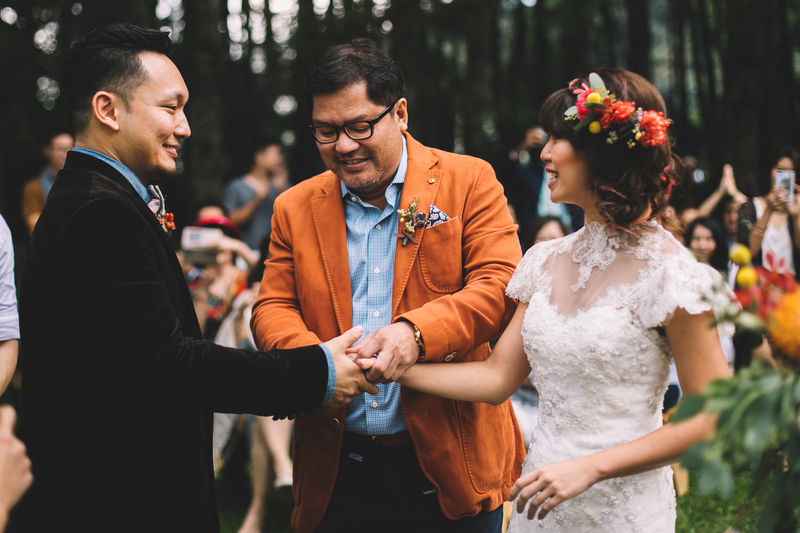 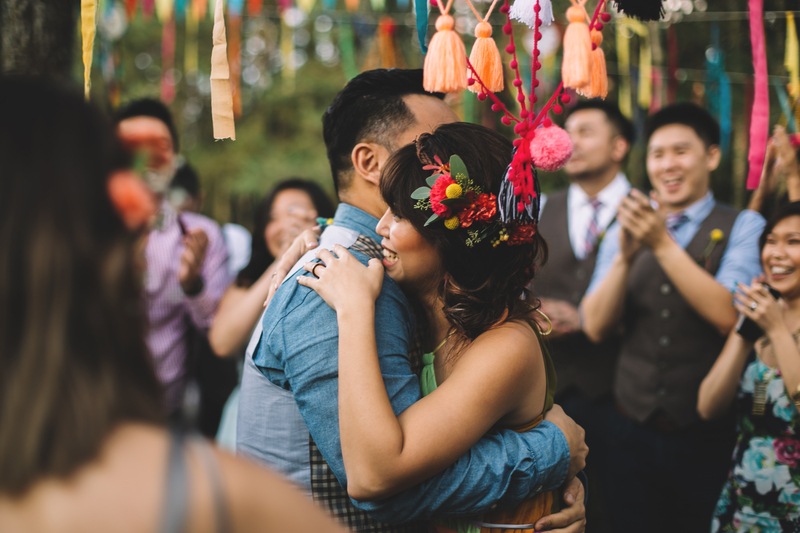 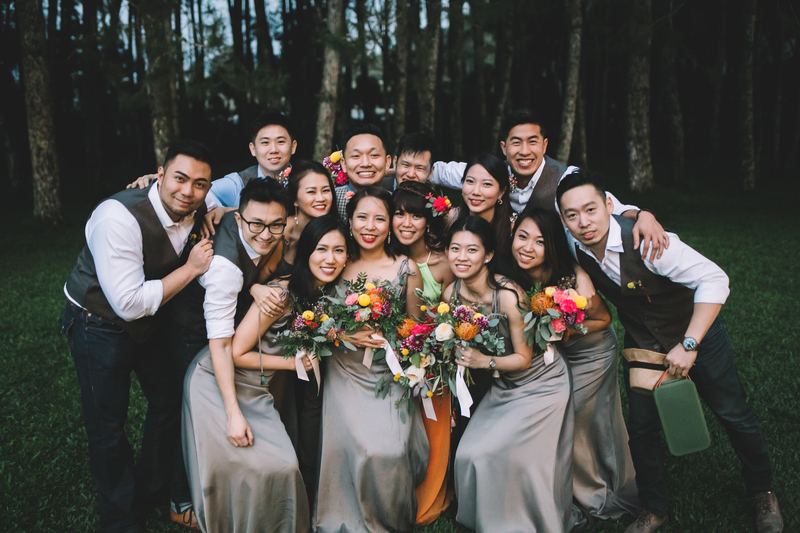 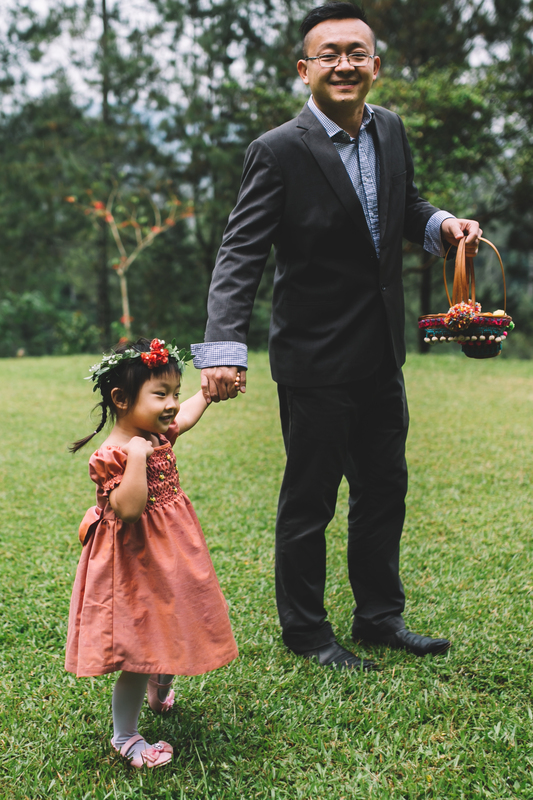 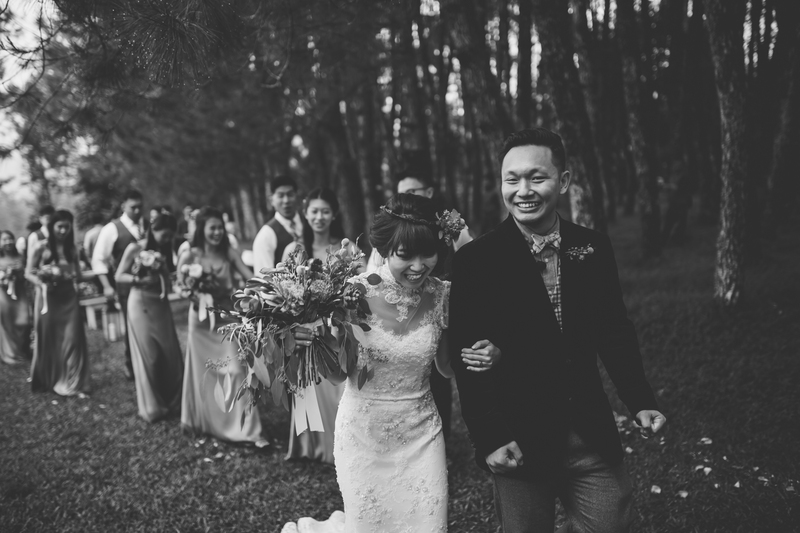 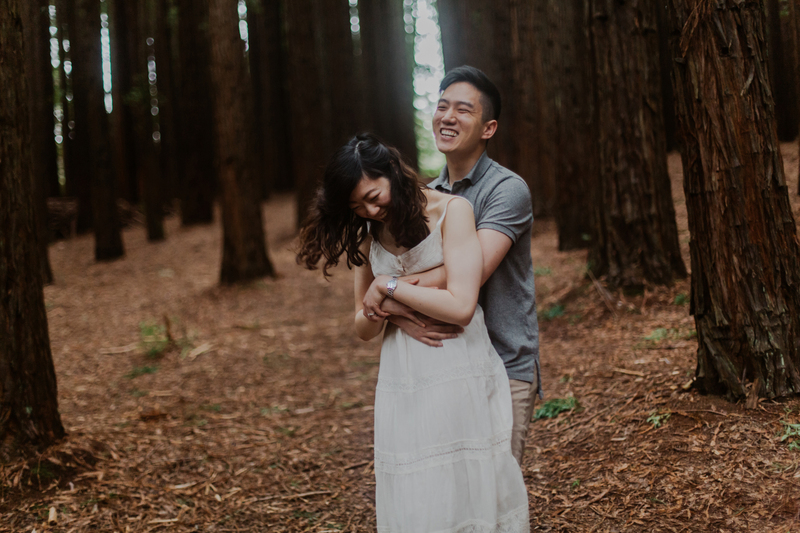 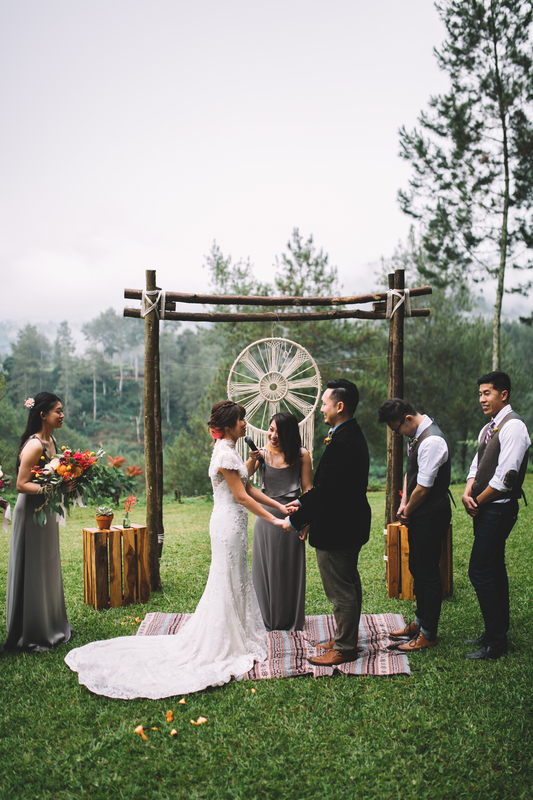 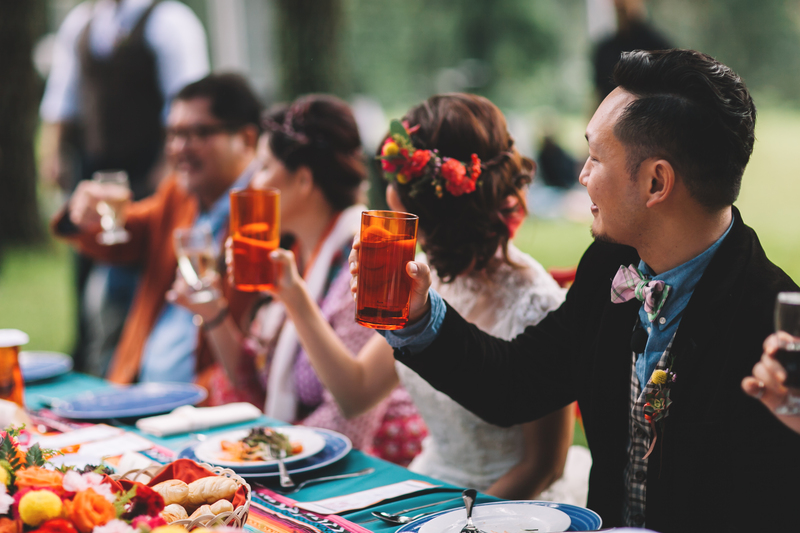 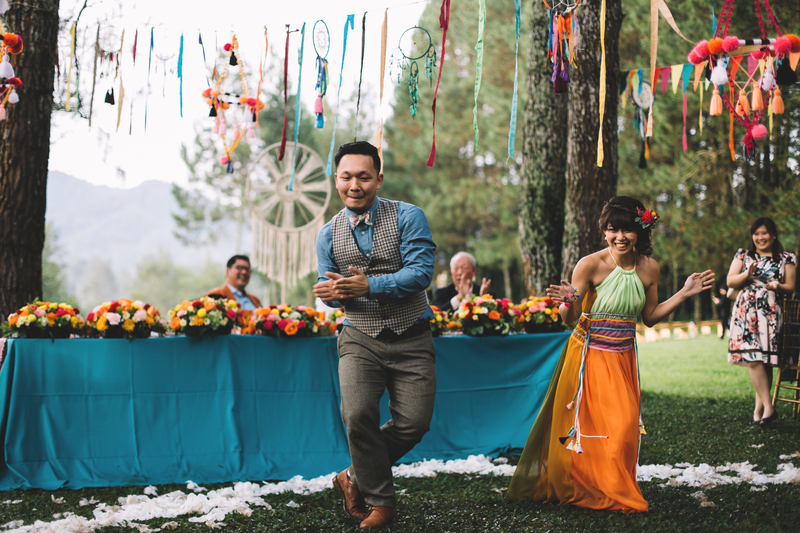 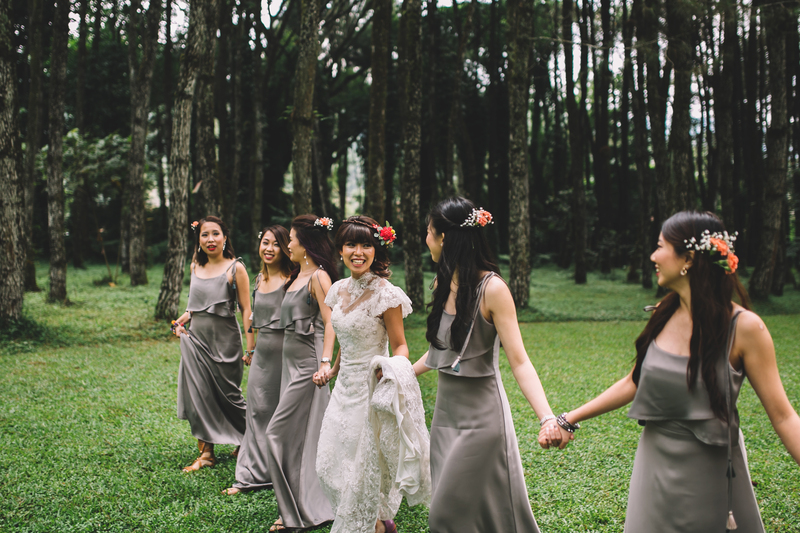 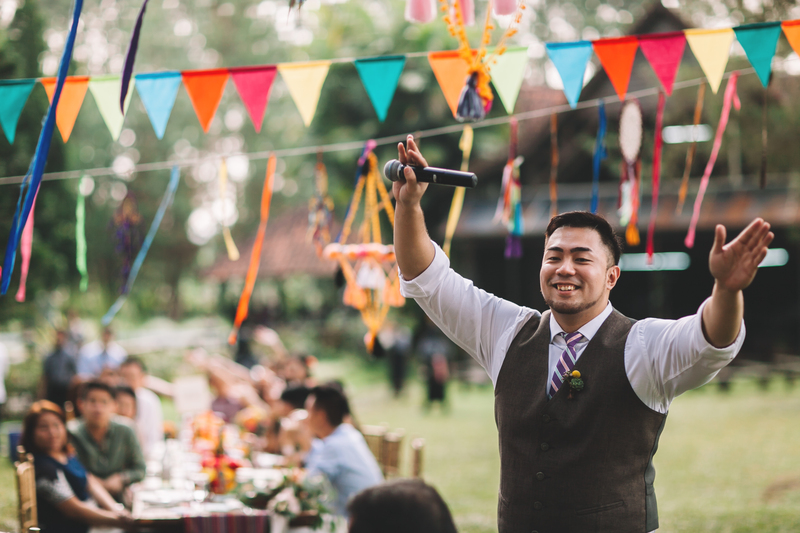 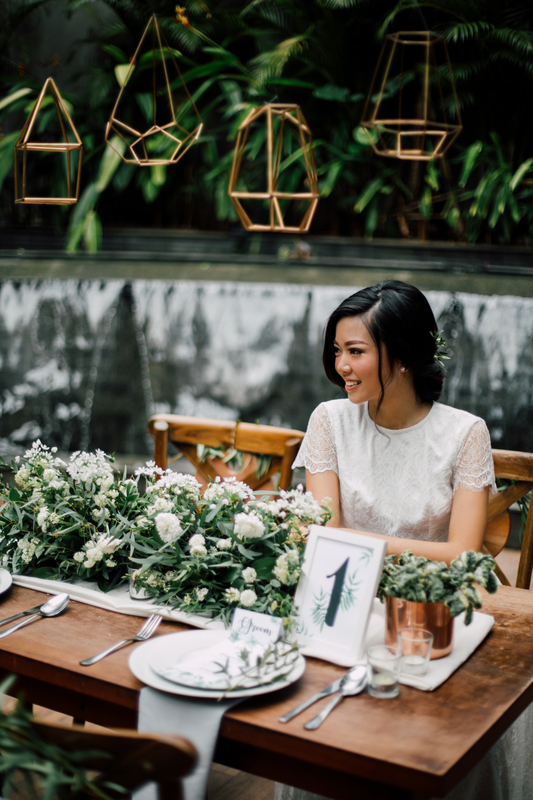 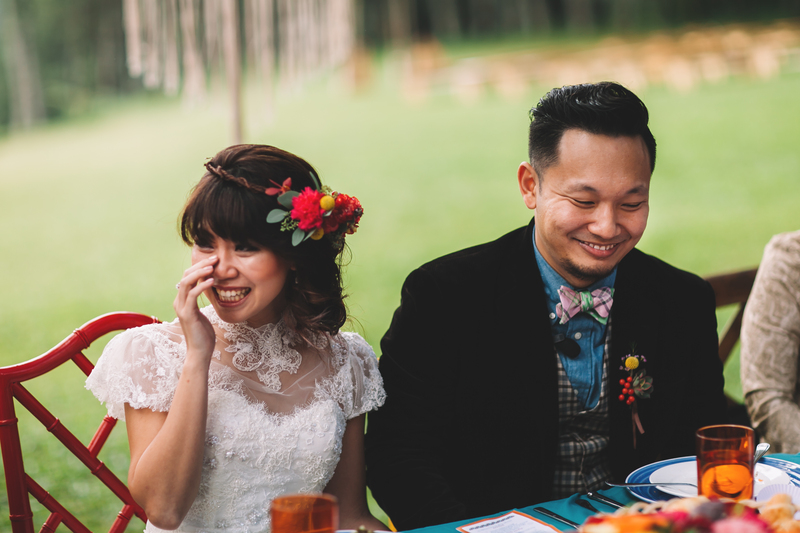 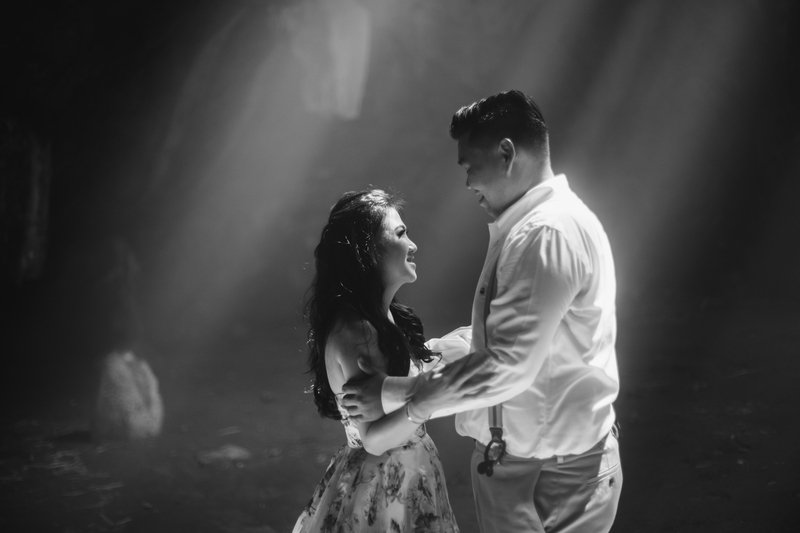 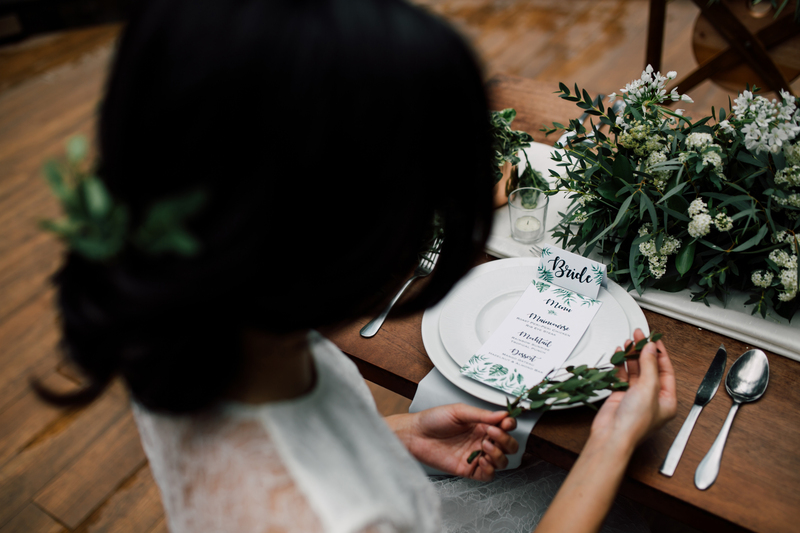 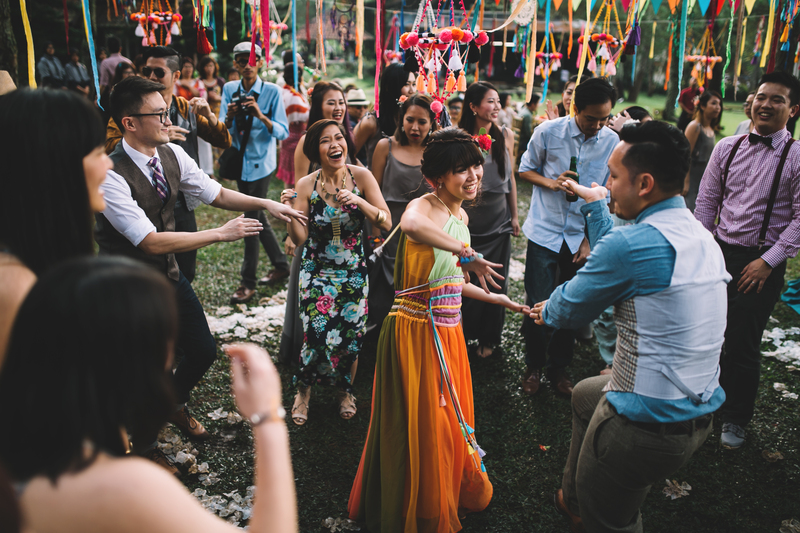 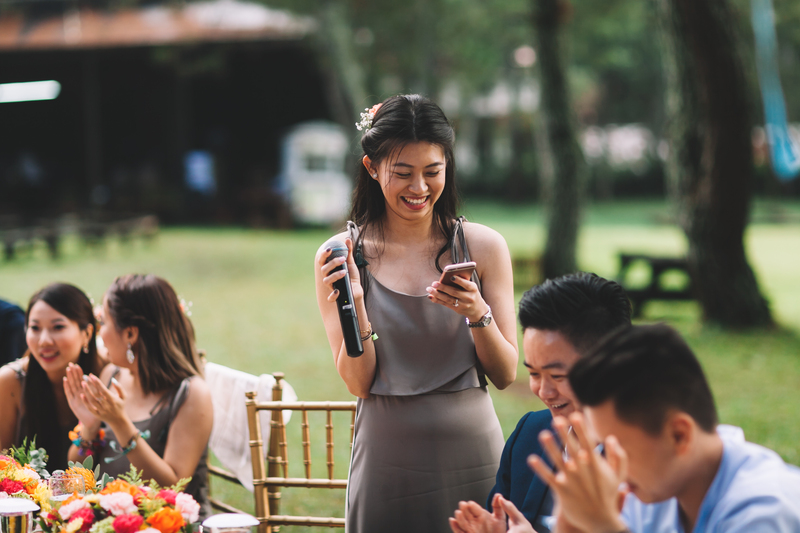 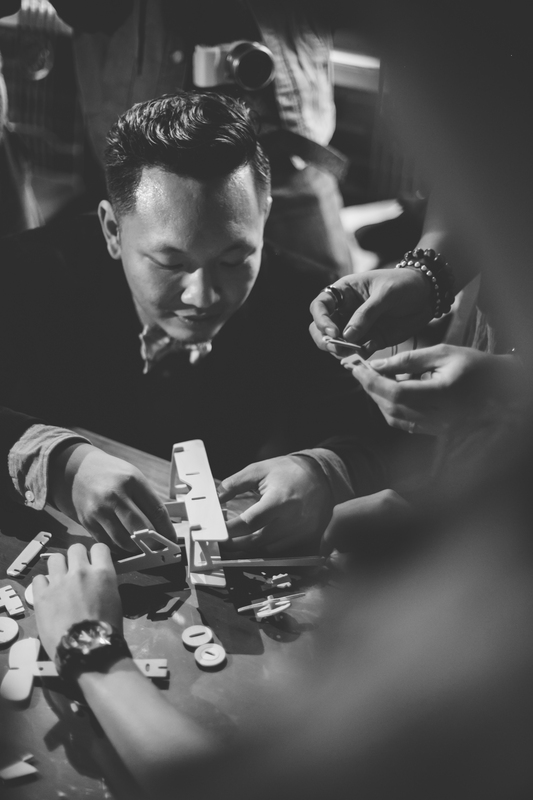 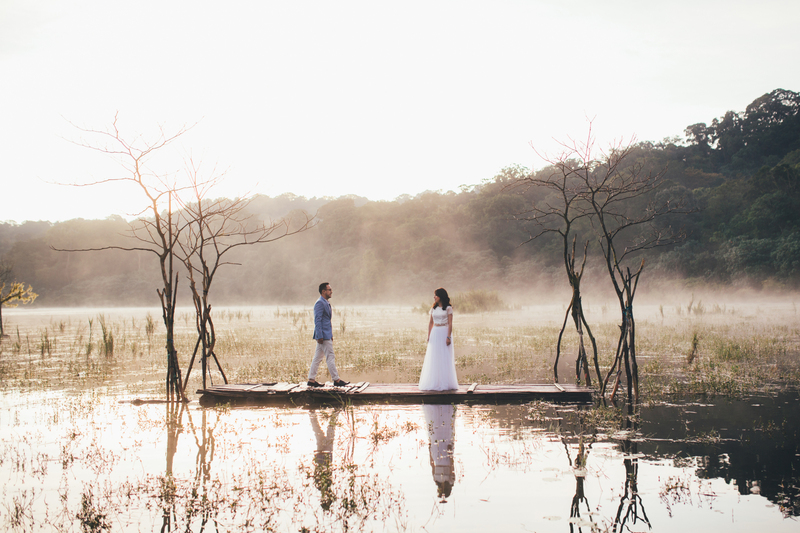 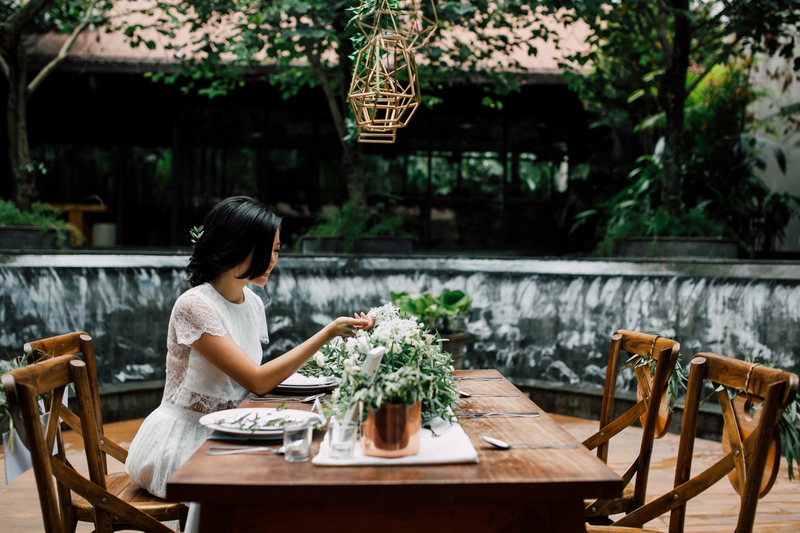 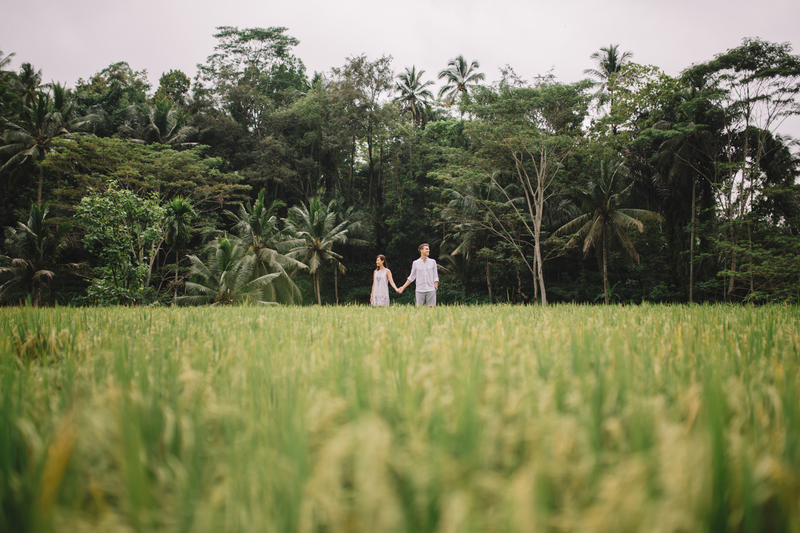 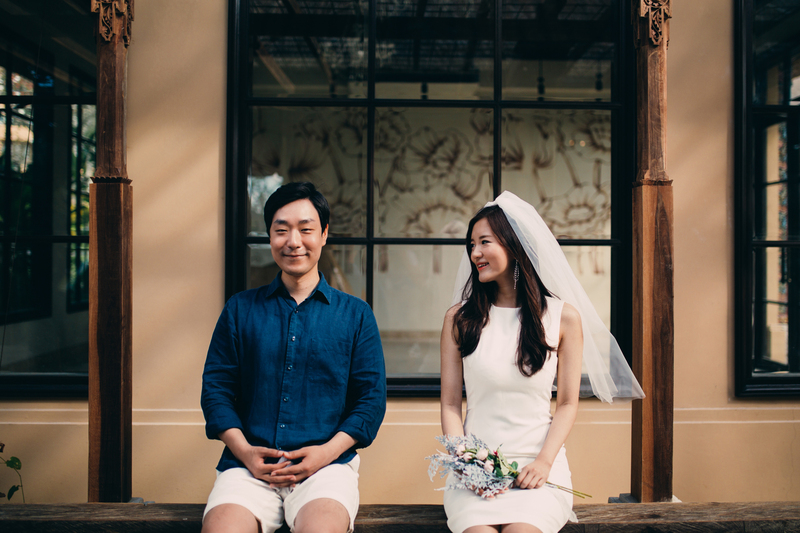 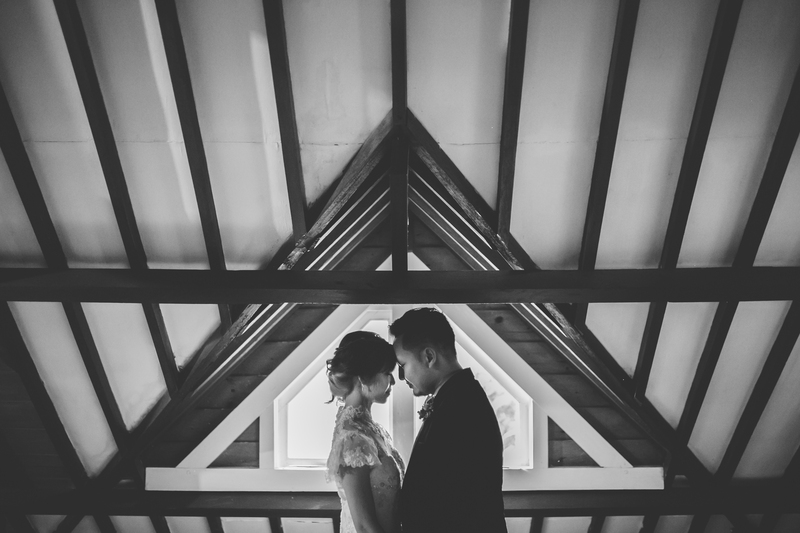 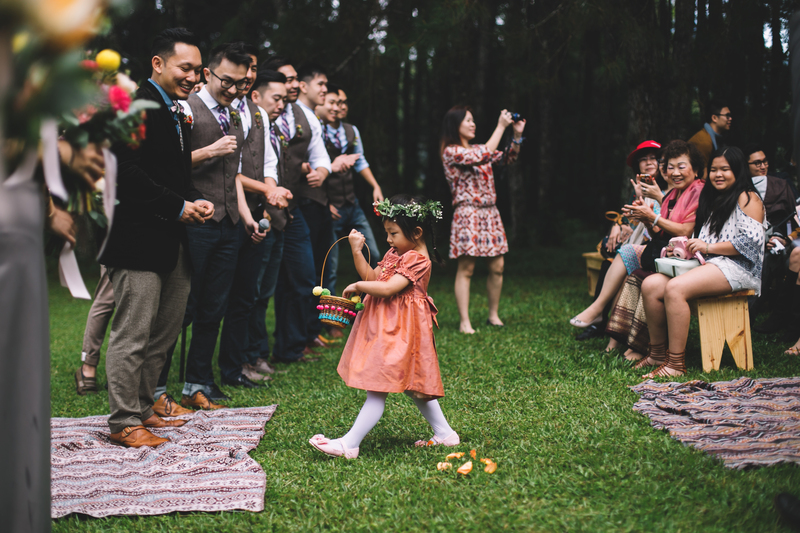 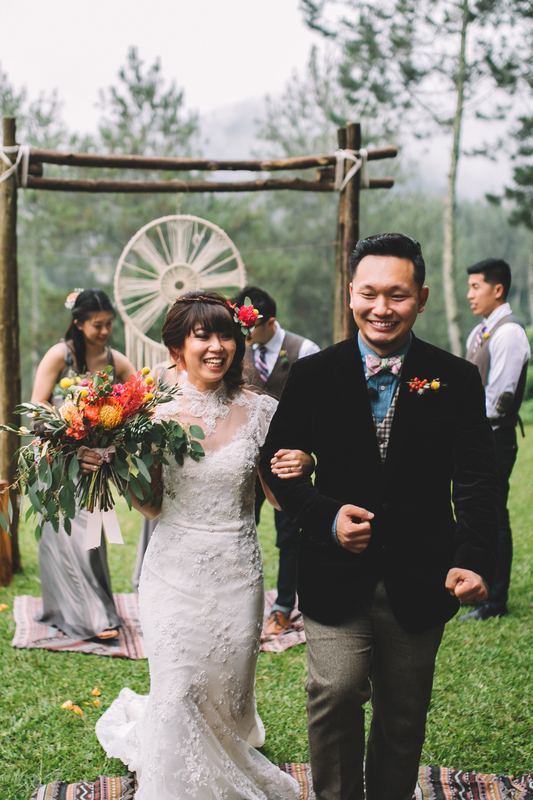 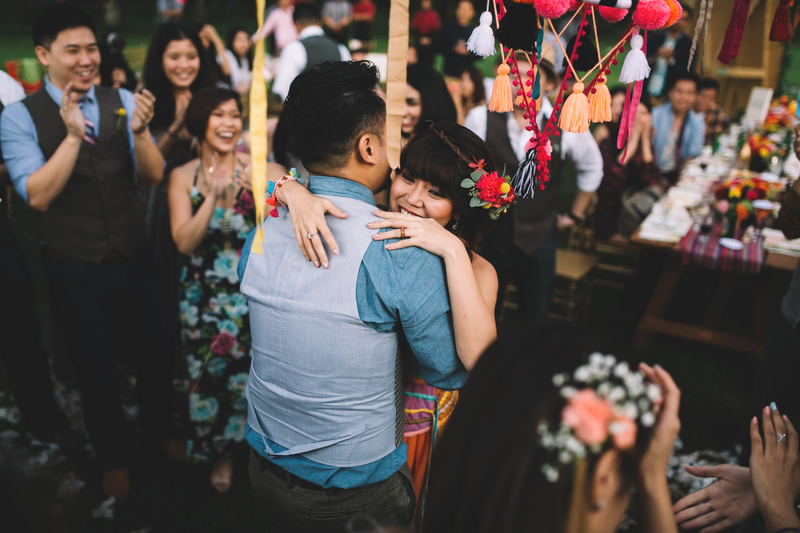 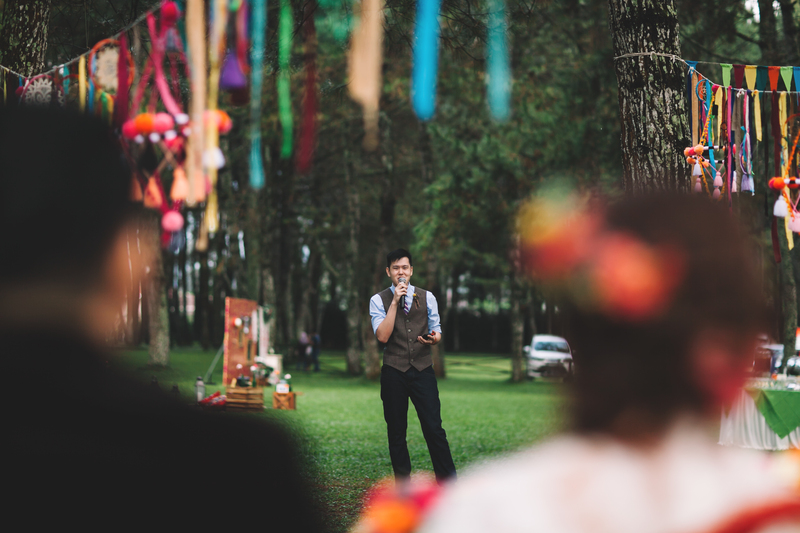 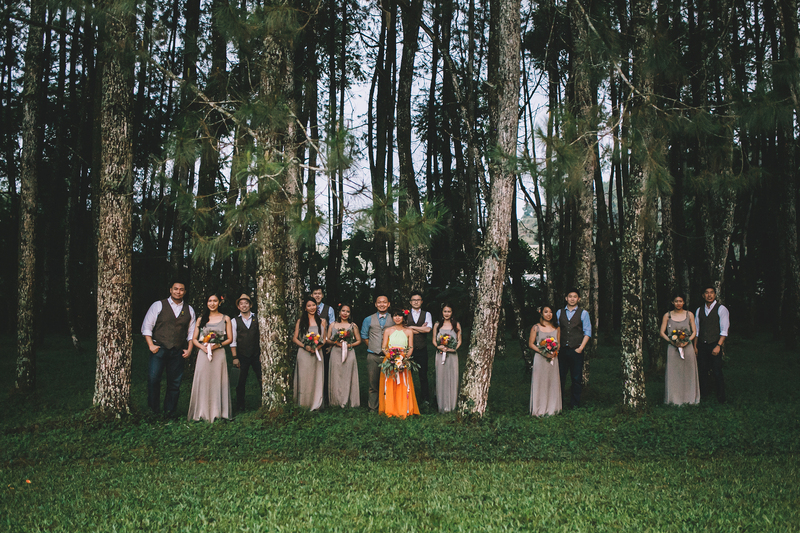 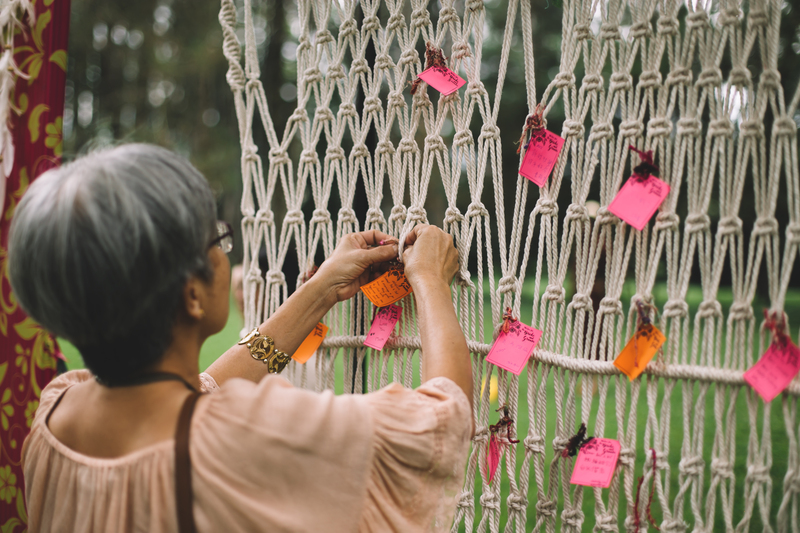 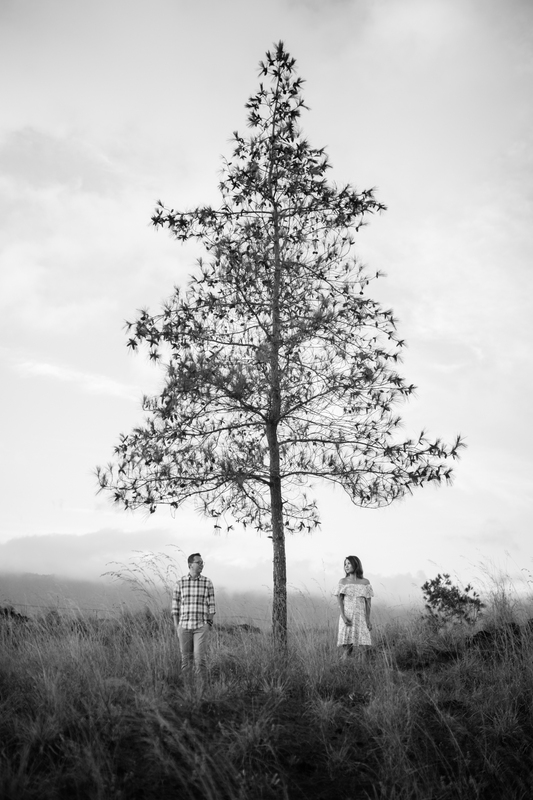 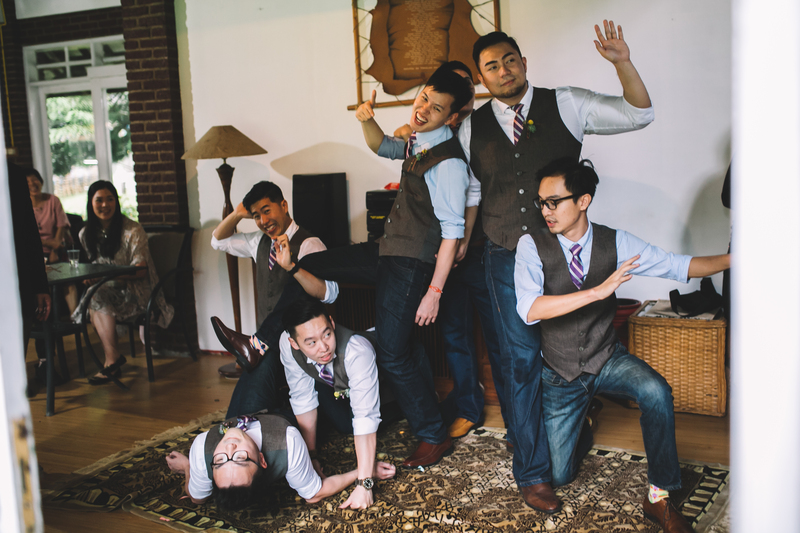 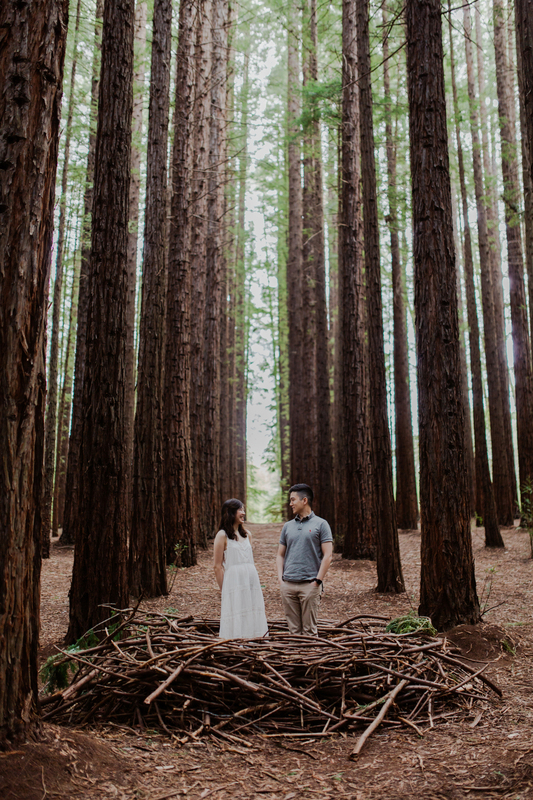 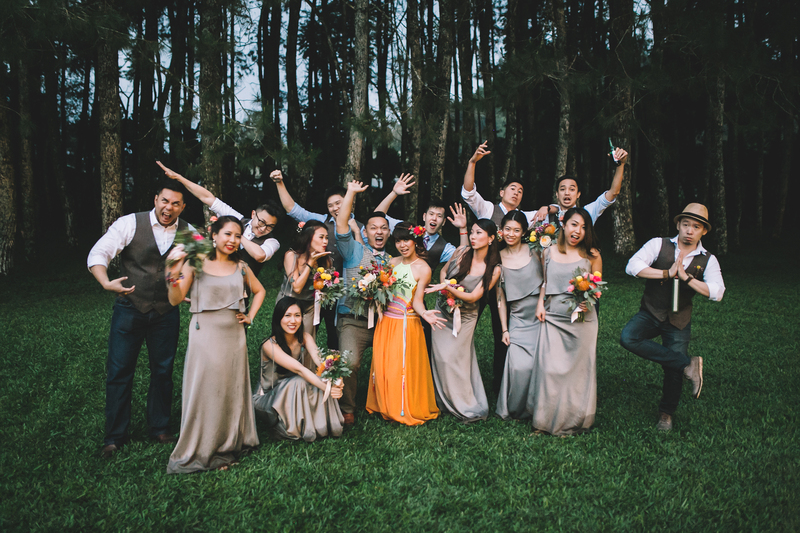 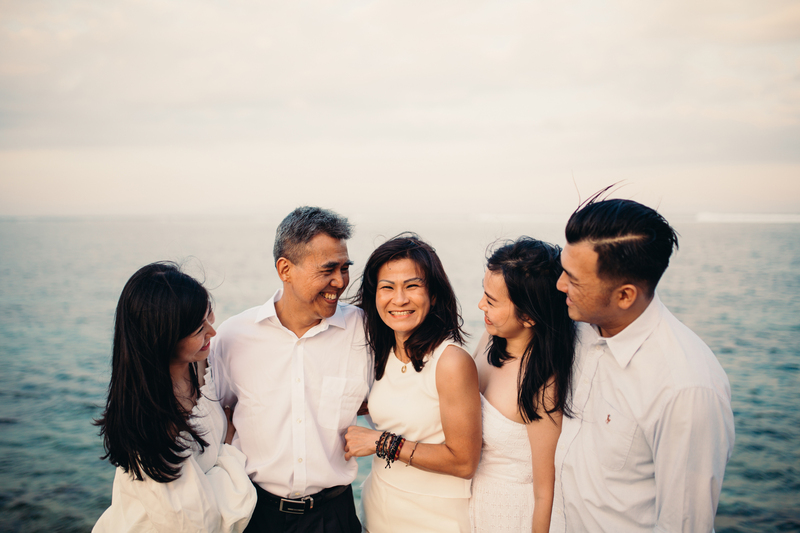 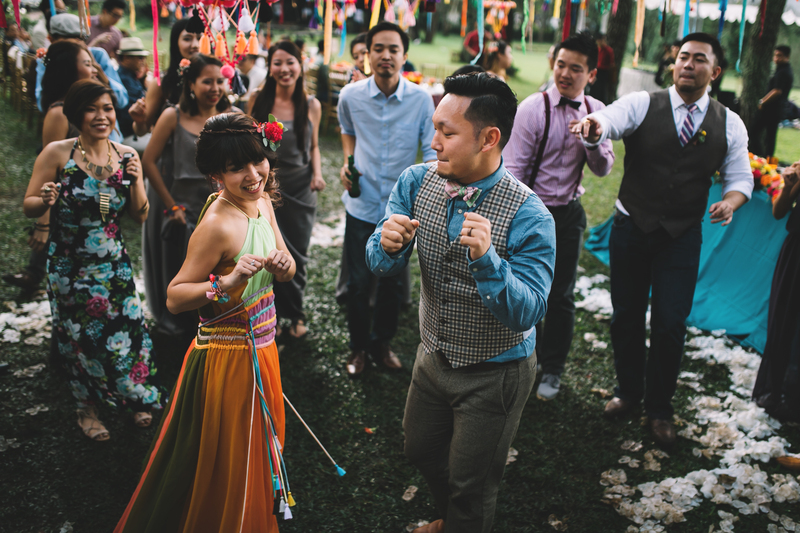 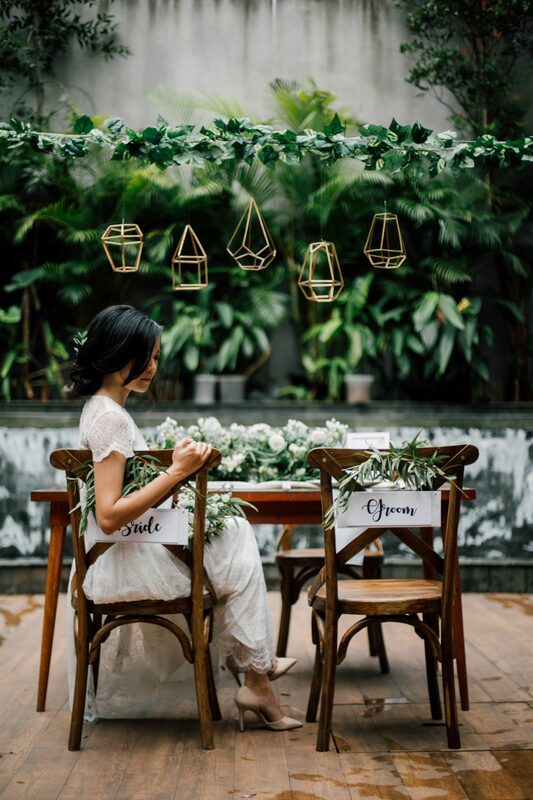 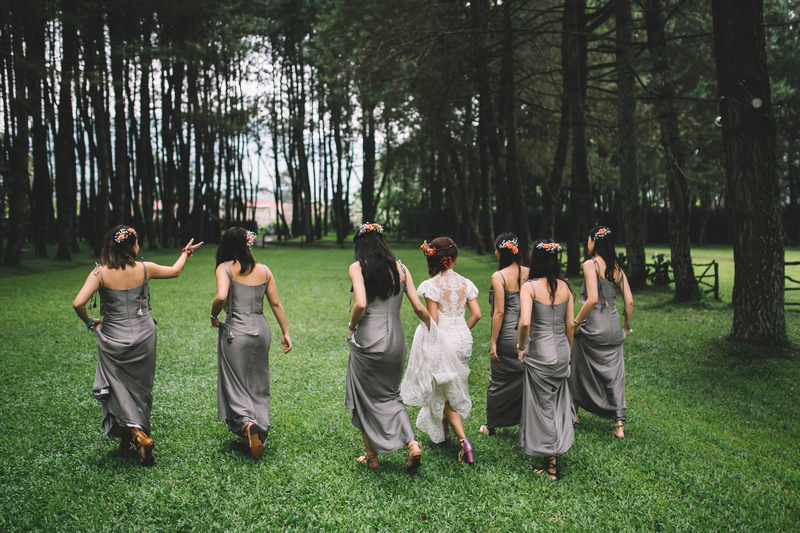 Their wedding took place at Pine Hill camp in Bandung. 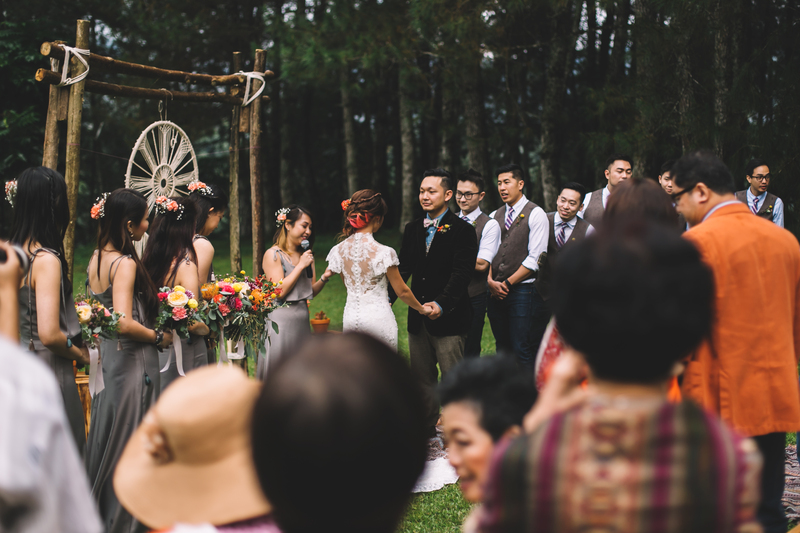 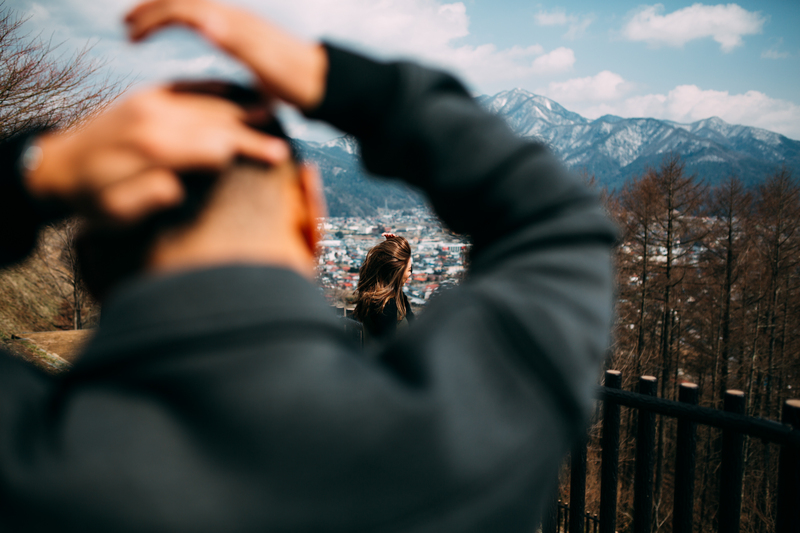 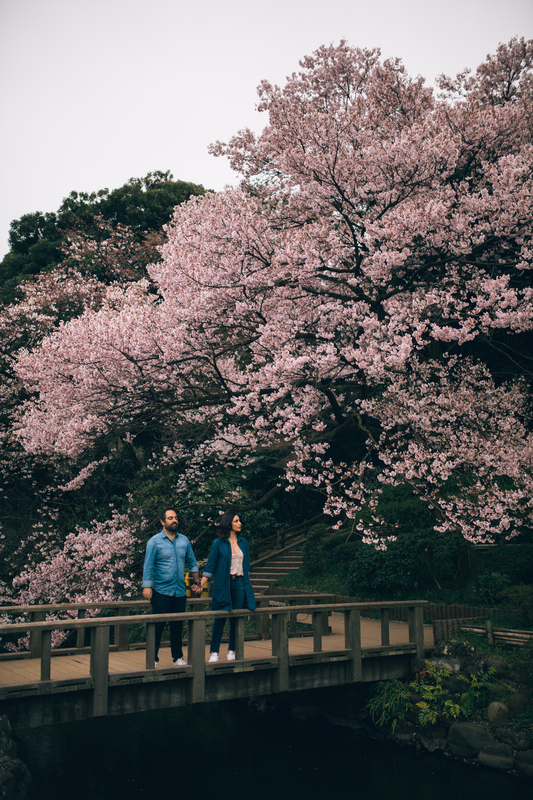 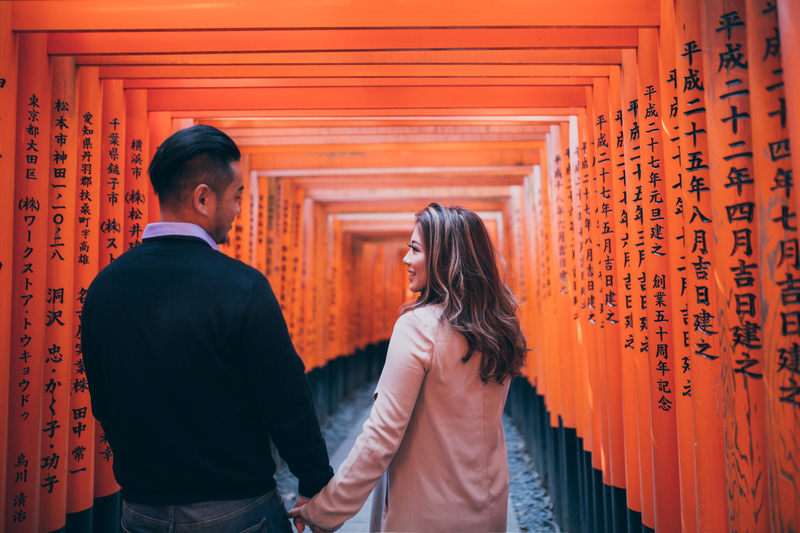 A place that was perfect for Isabel and Meng Tat who wanted to do a destination wedding, with cool weather and high elevation as the criteria. 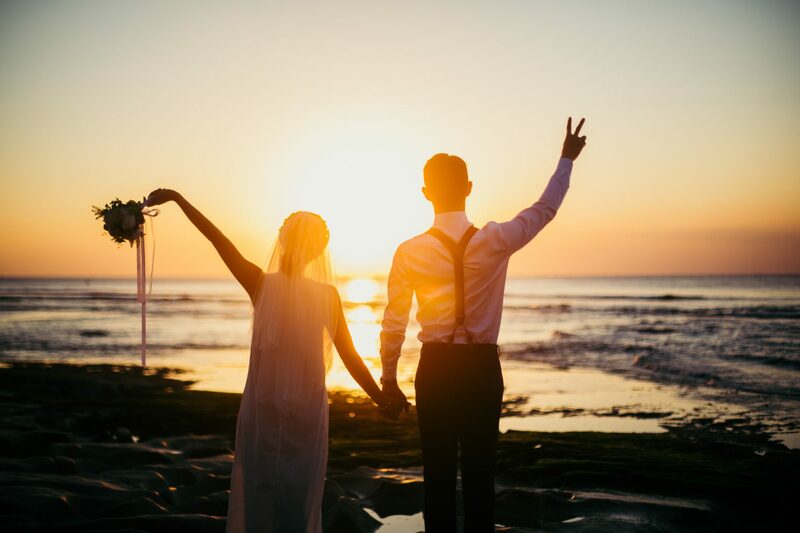 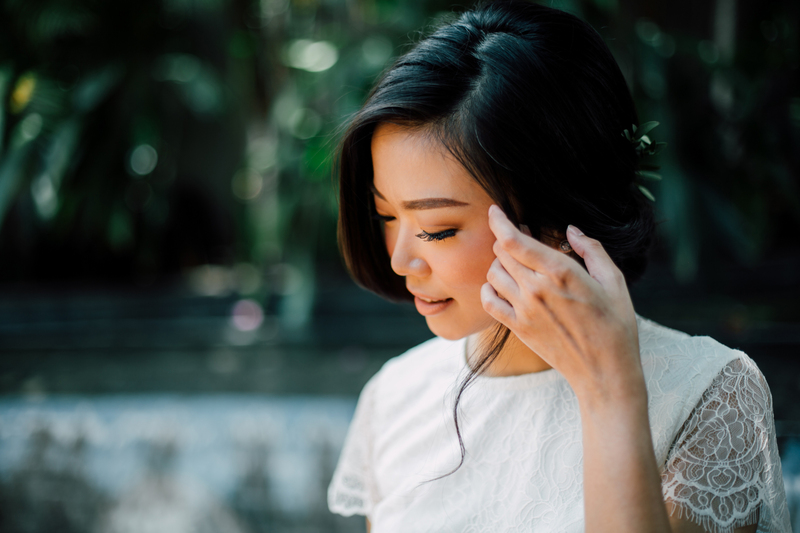 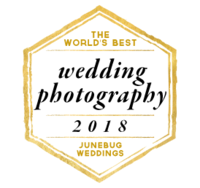 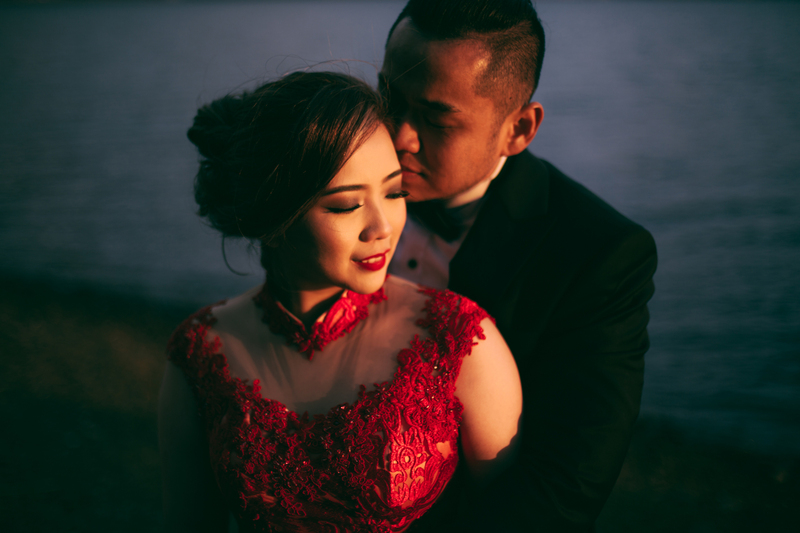 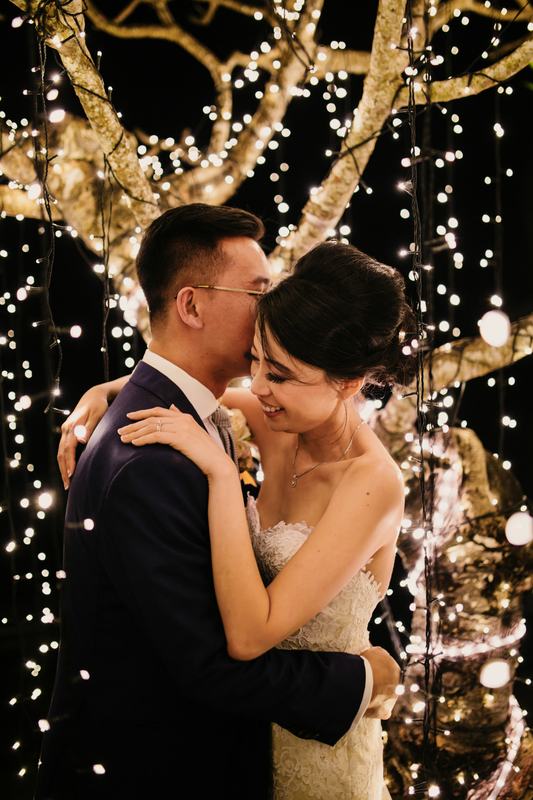 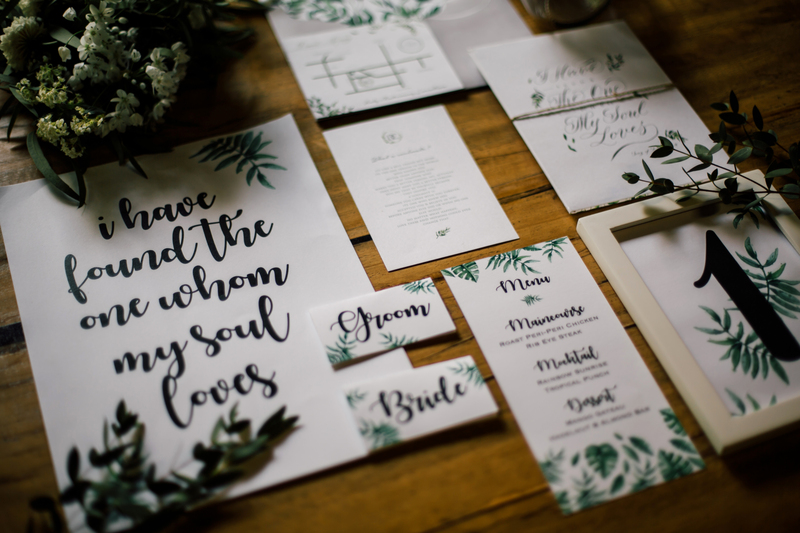 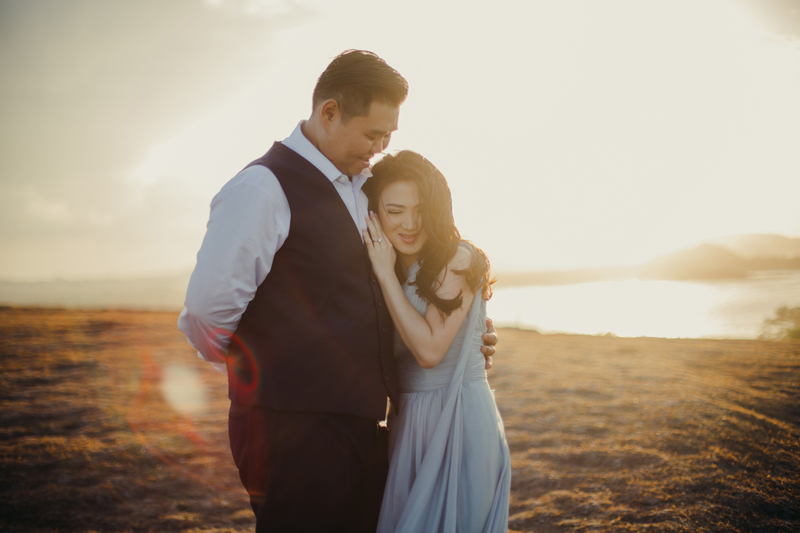 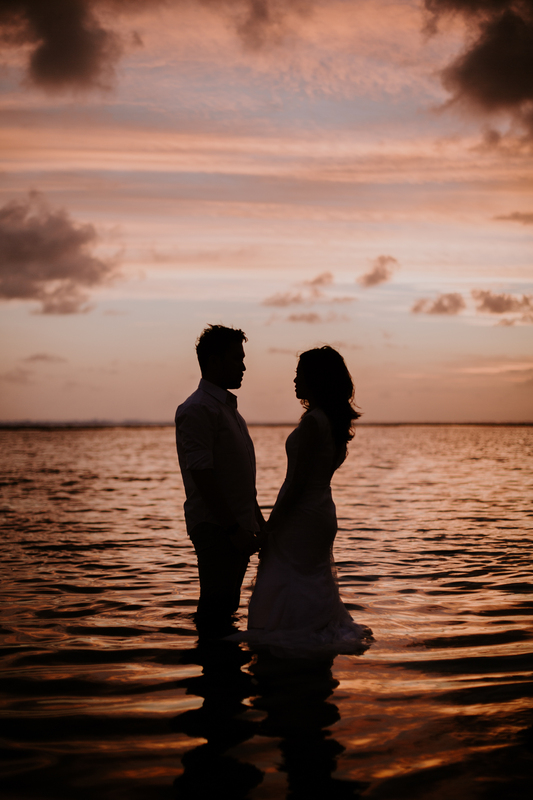 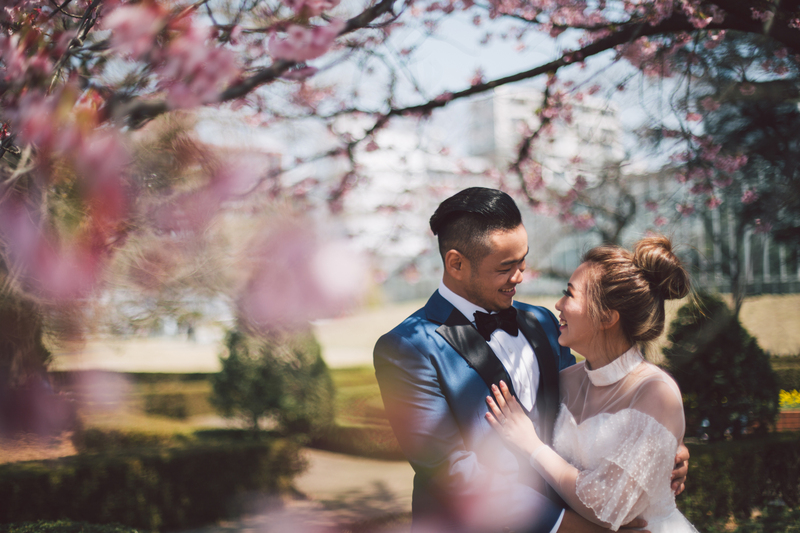 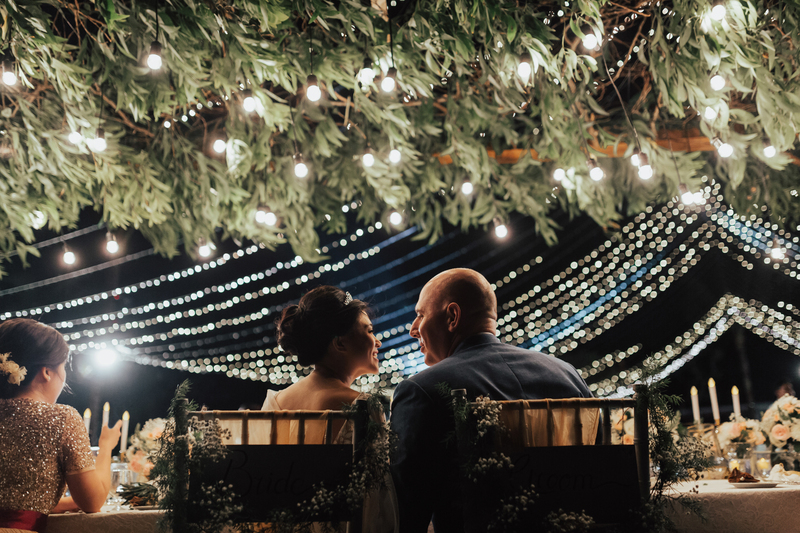 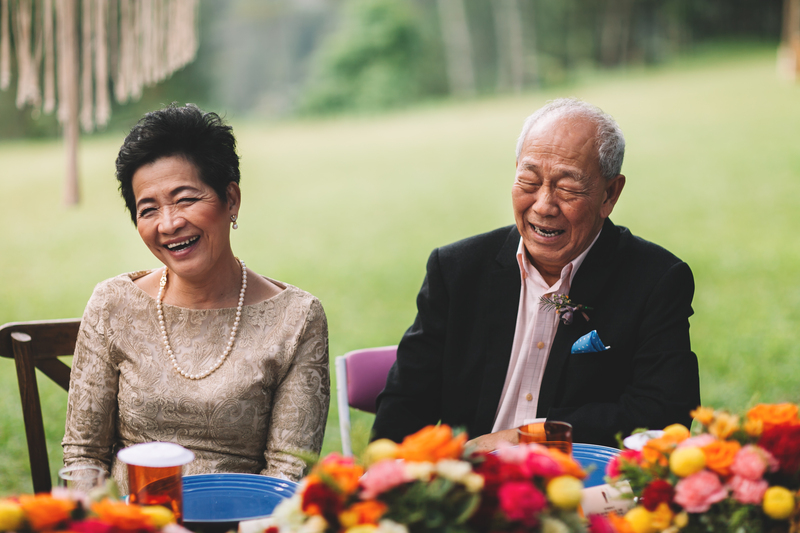 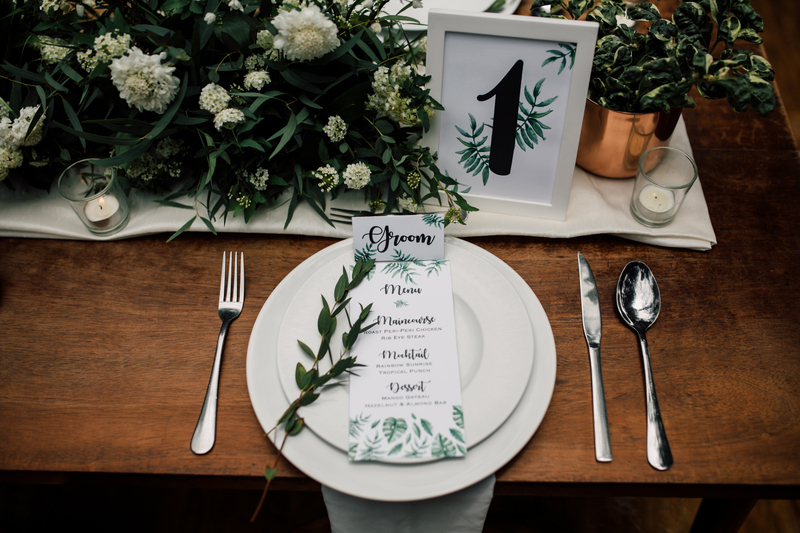 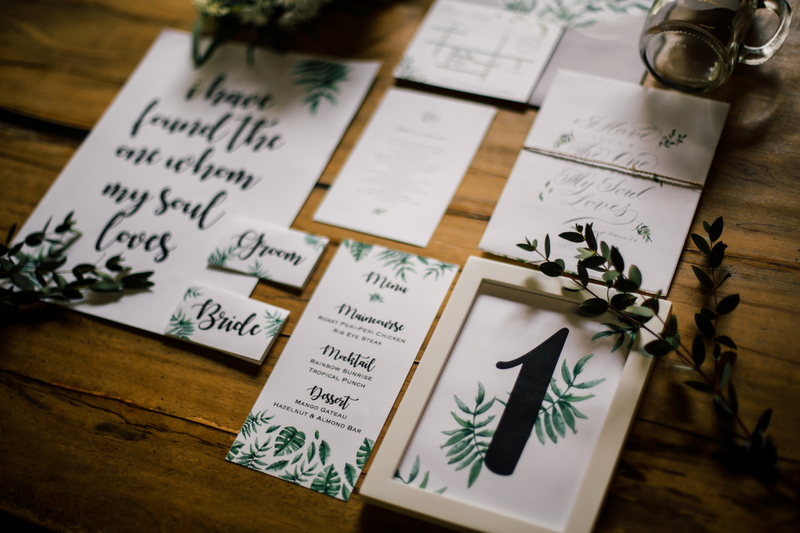 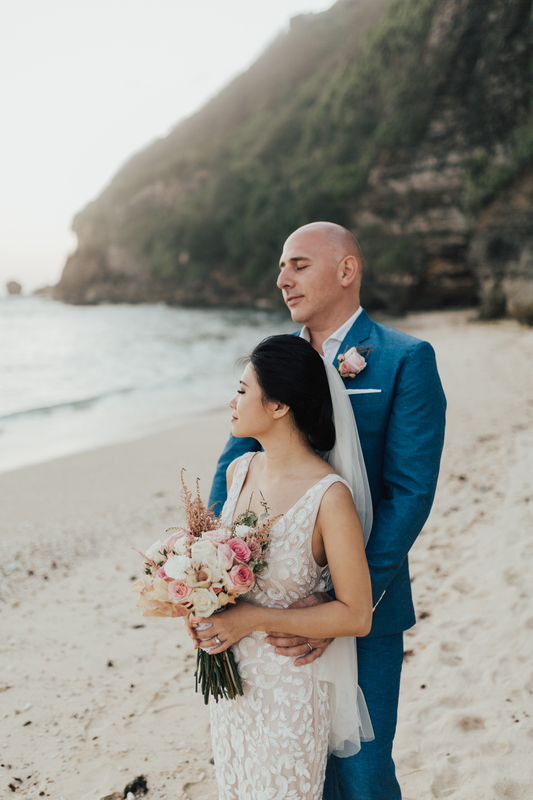 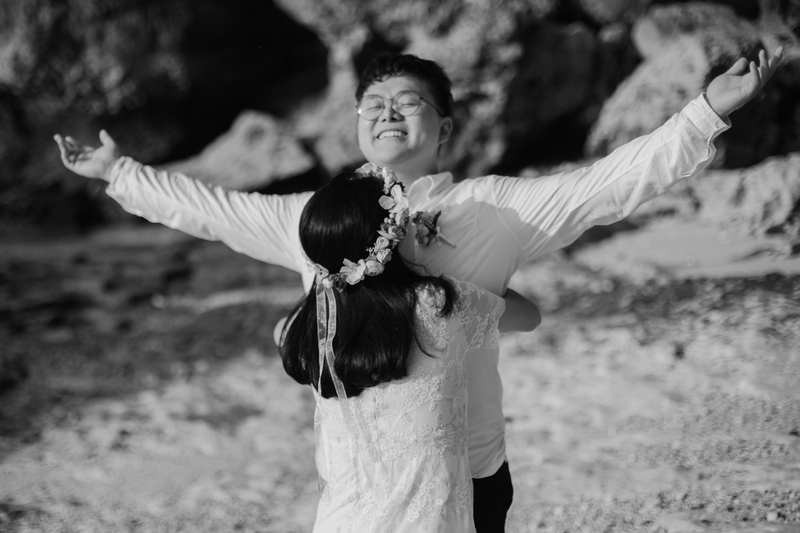 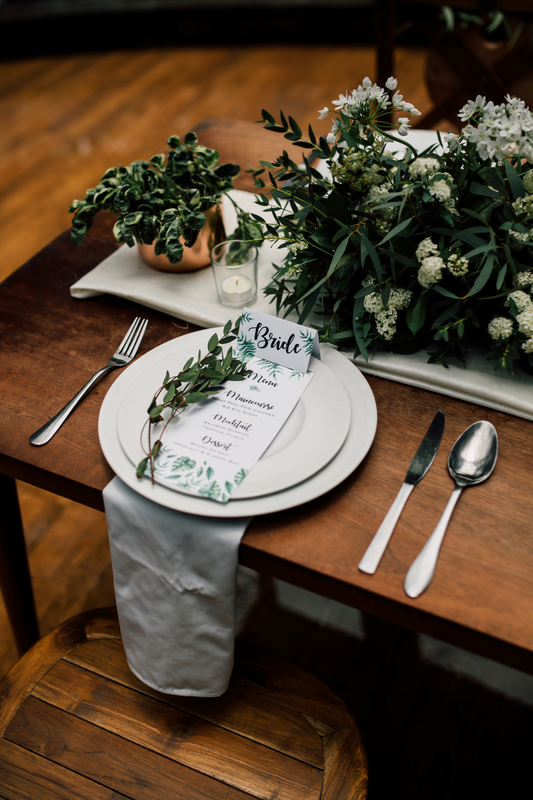 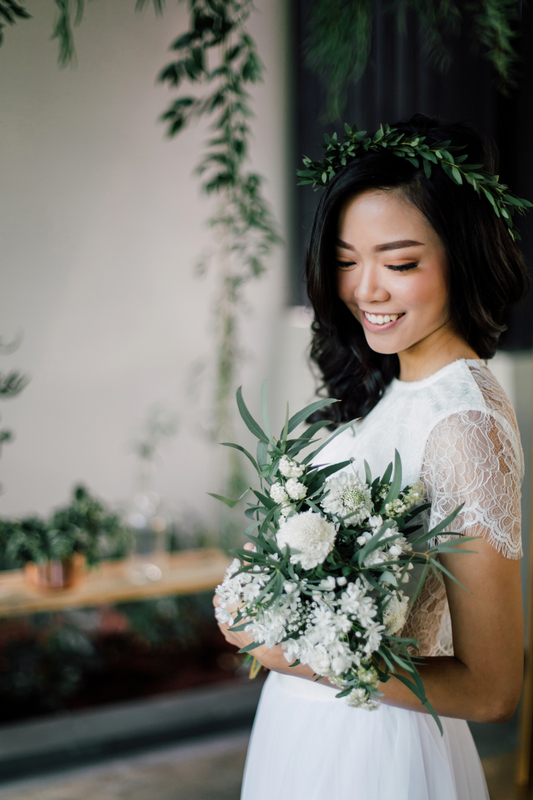 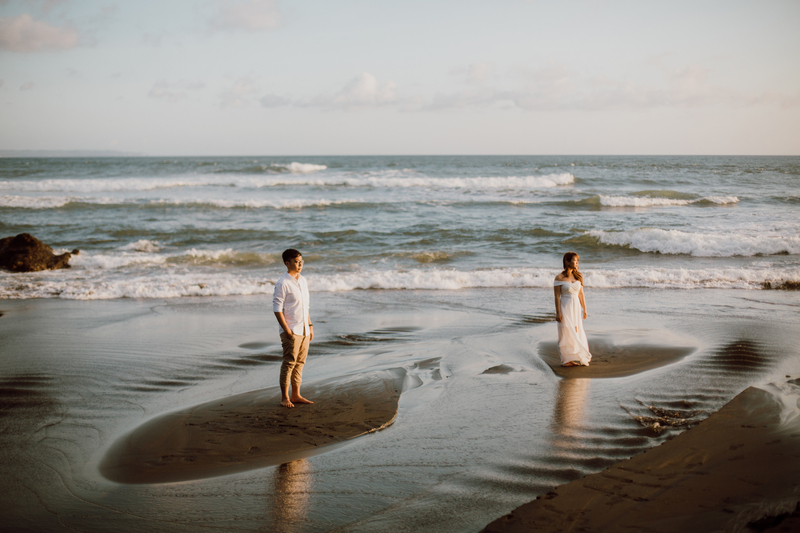 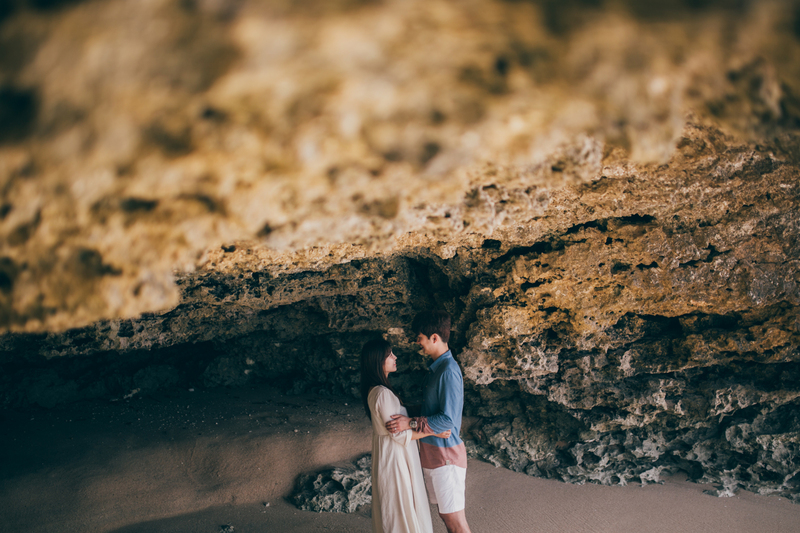 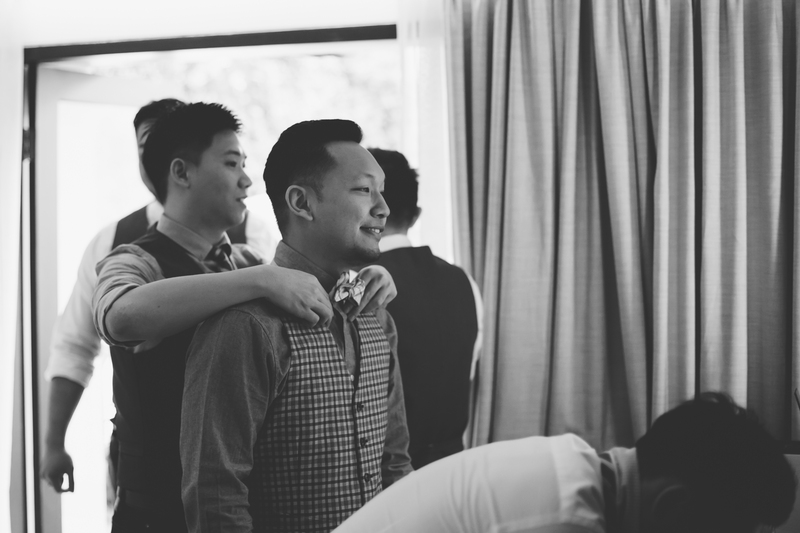 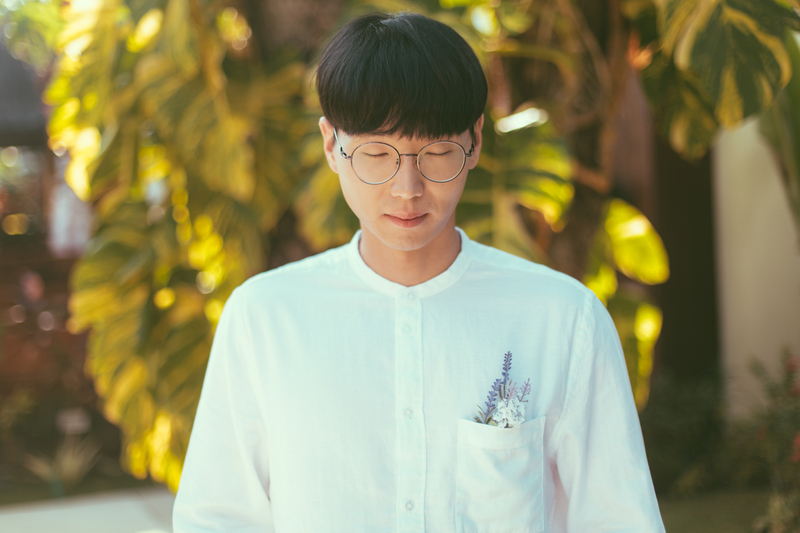 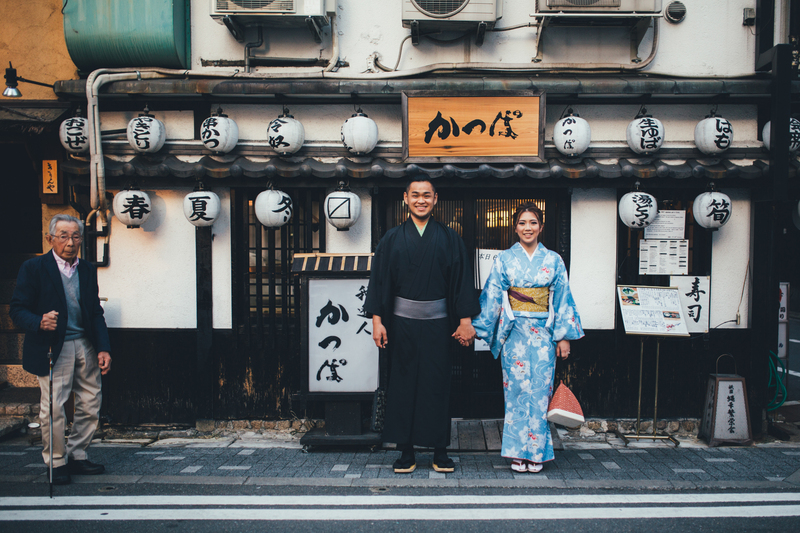 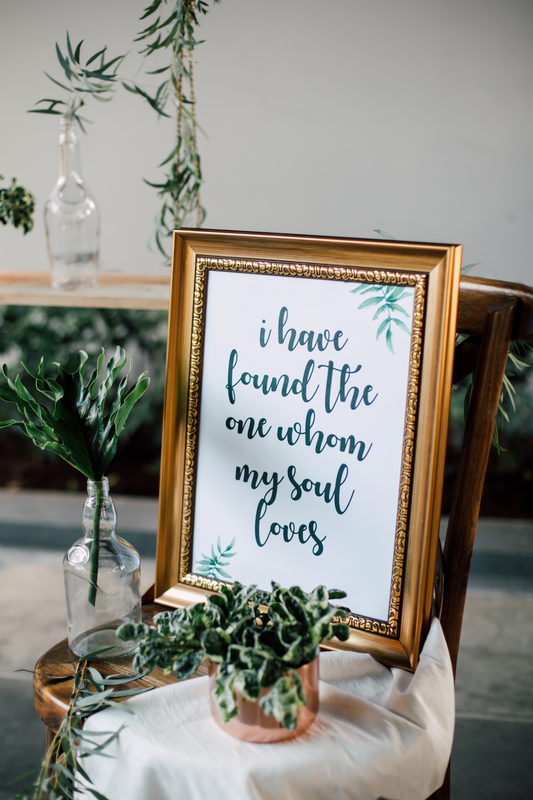 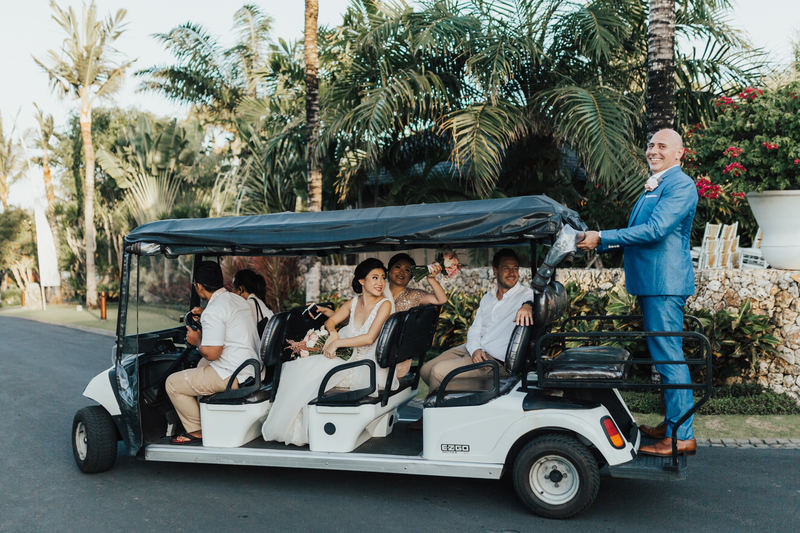 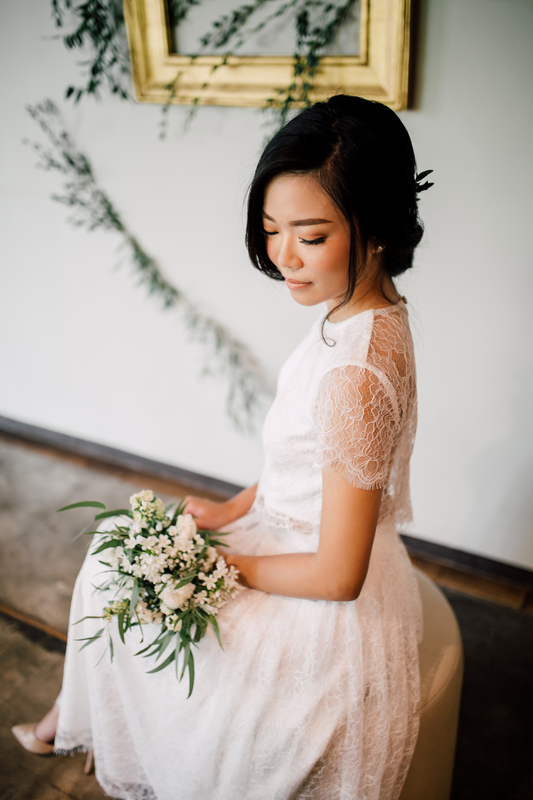 This wedding was so extraordinary because it was full of their personal touches and really described their unique personalities. 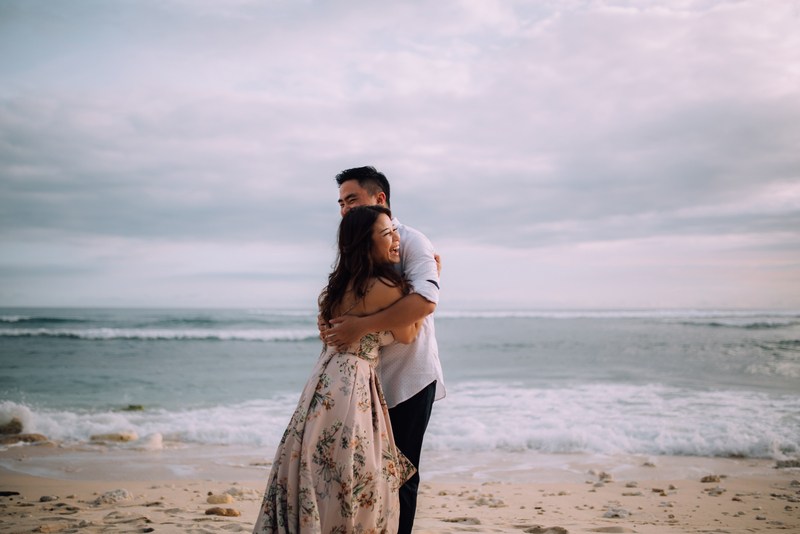 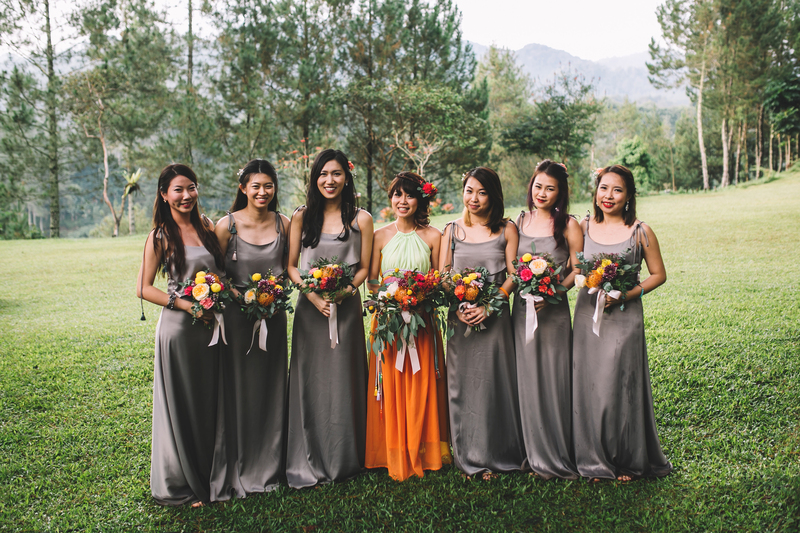 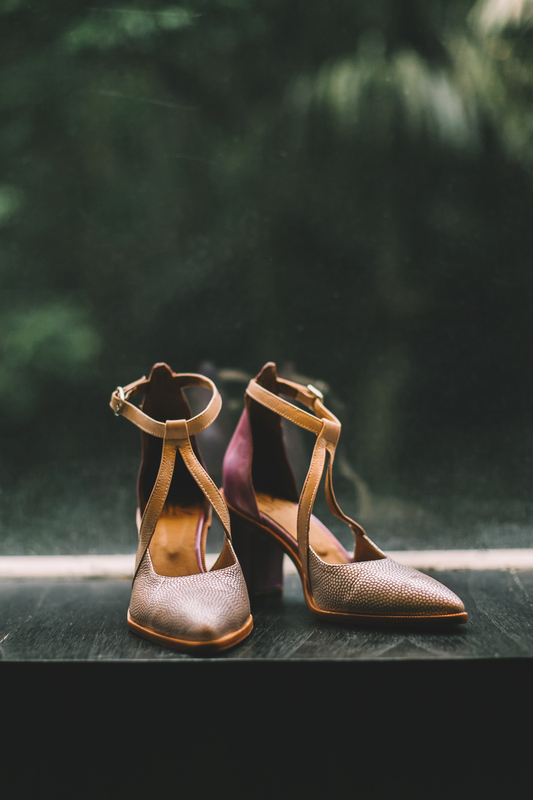 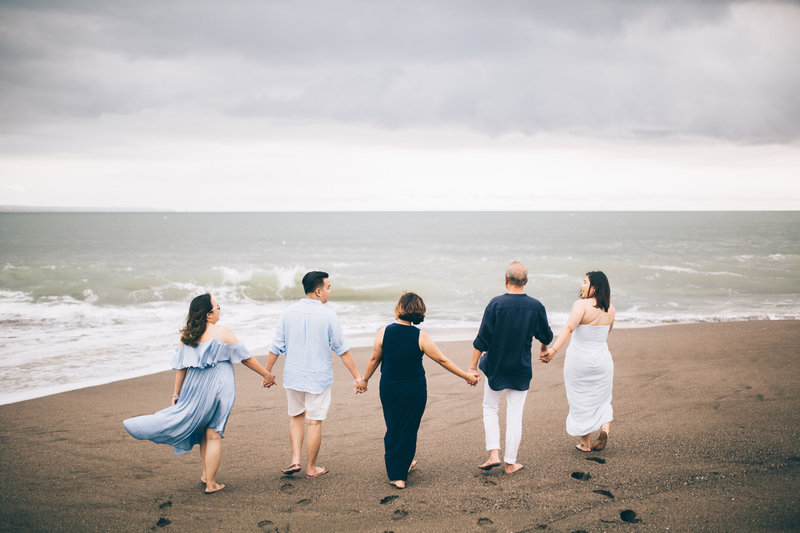 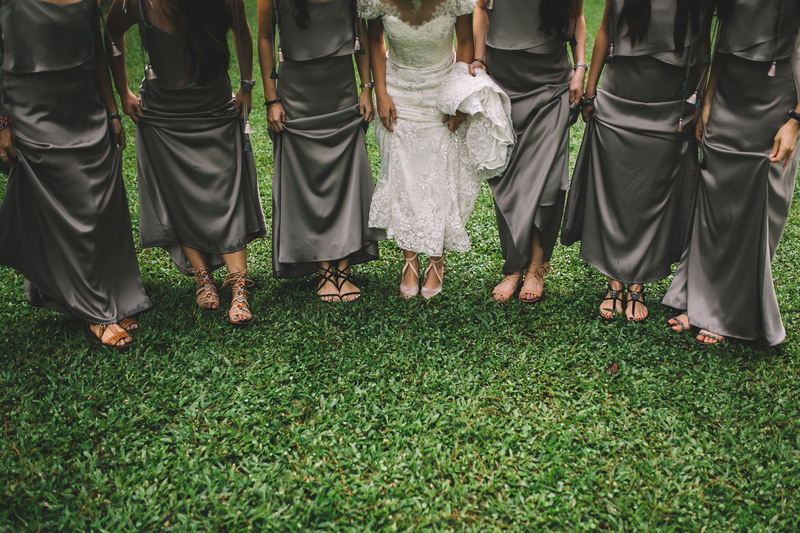 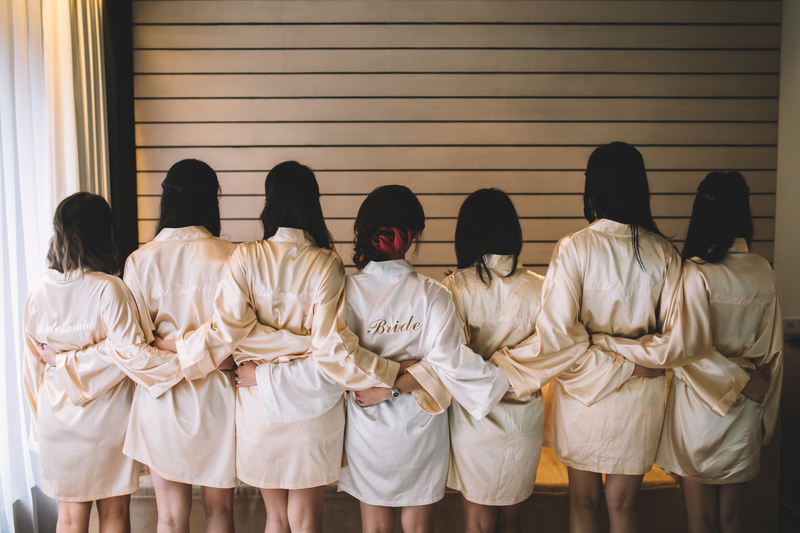 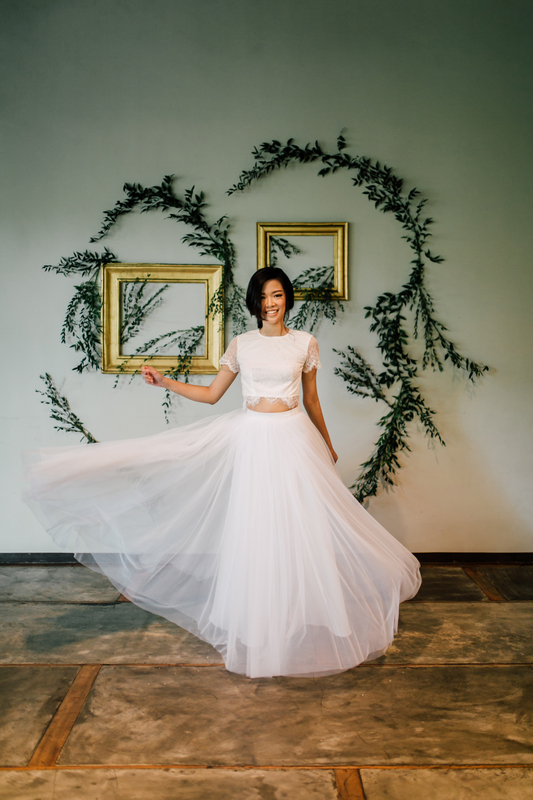 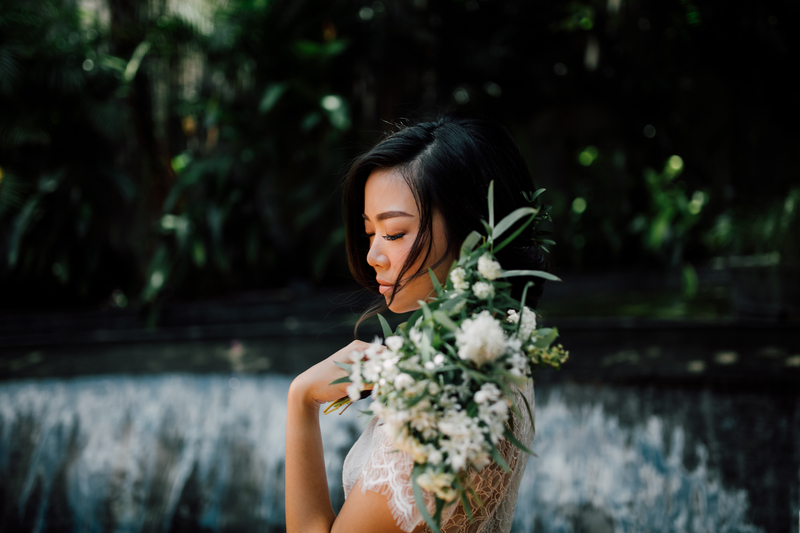 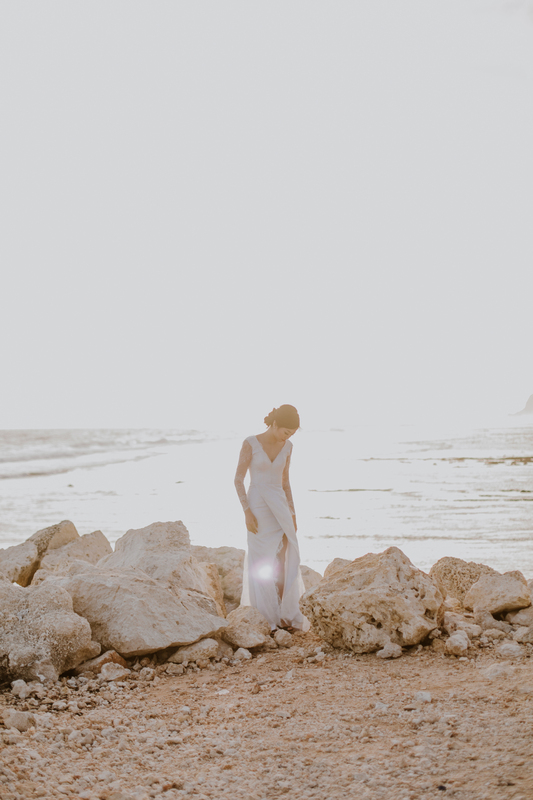 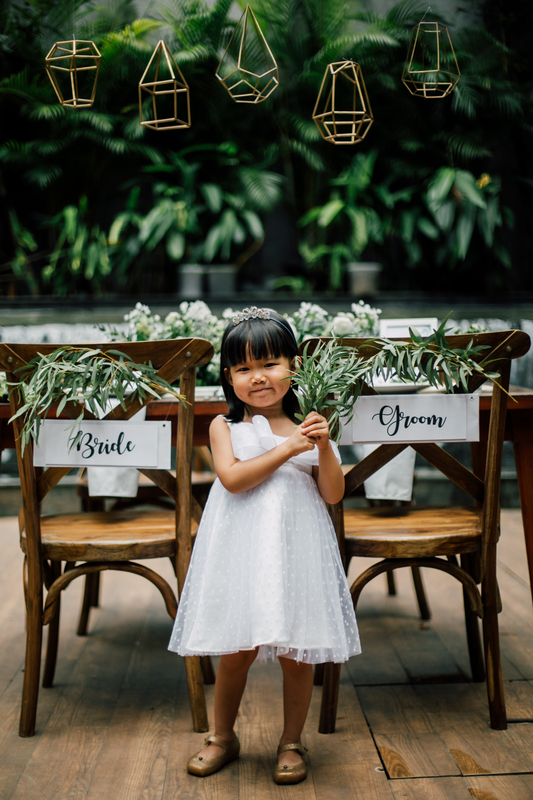 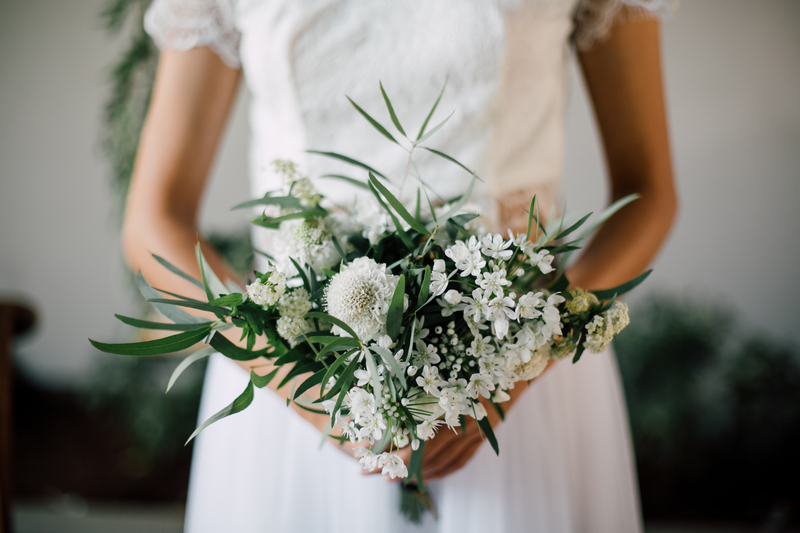 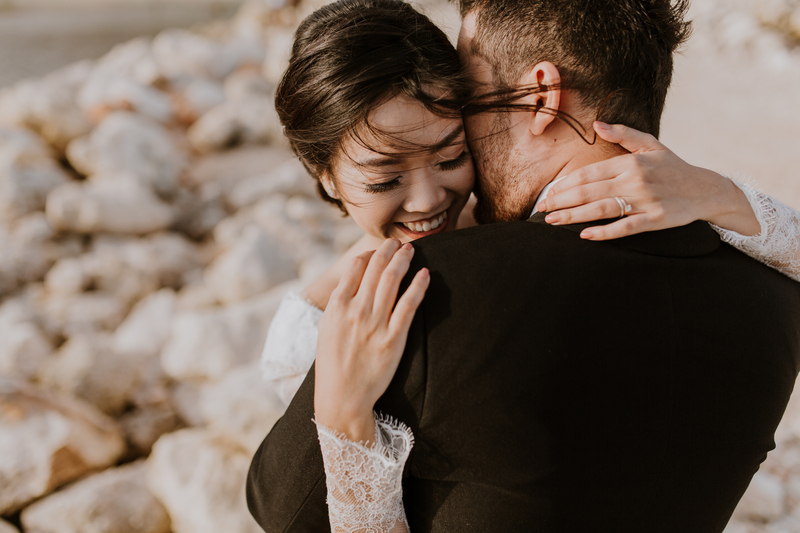 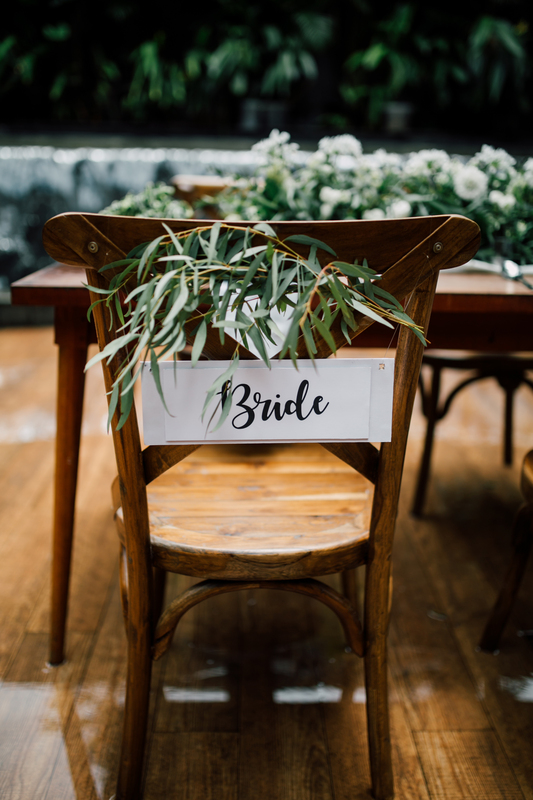 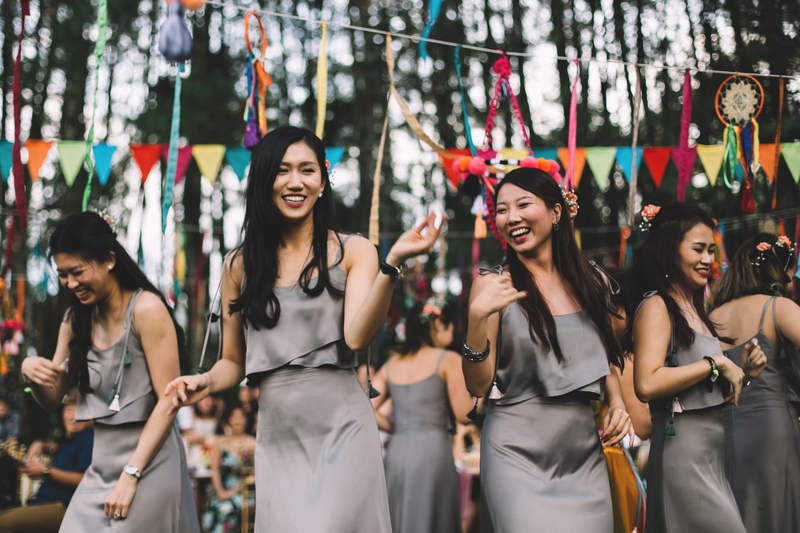 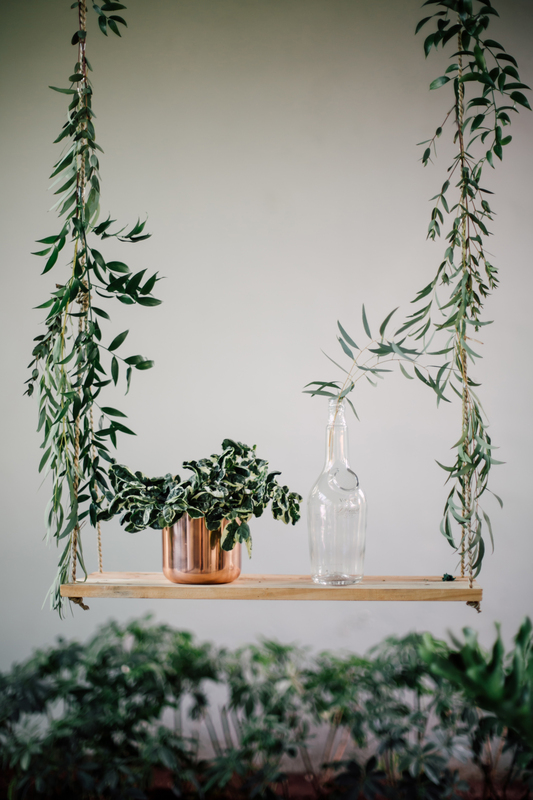 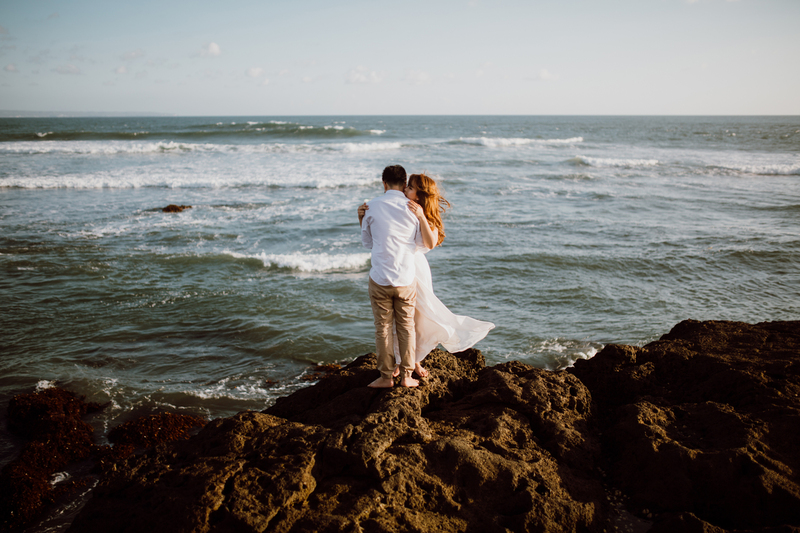 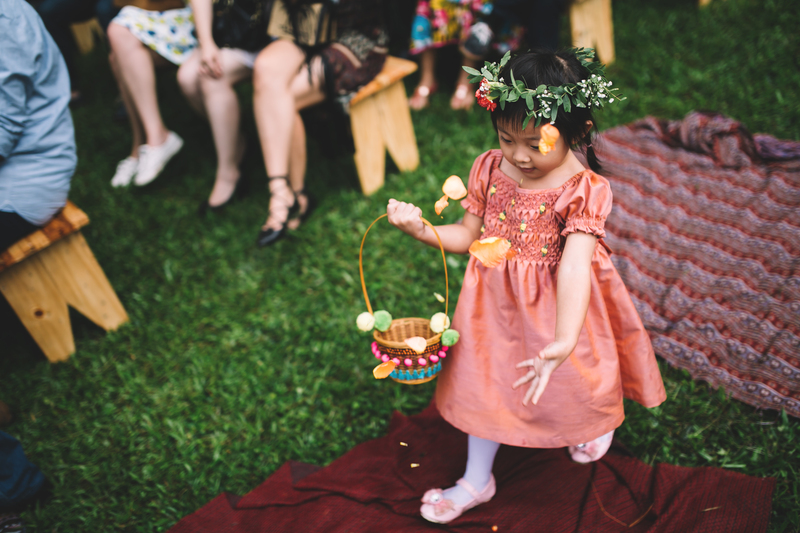 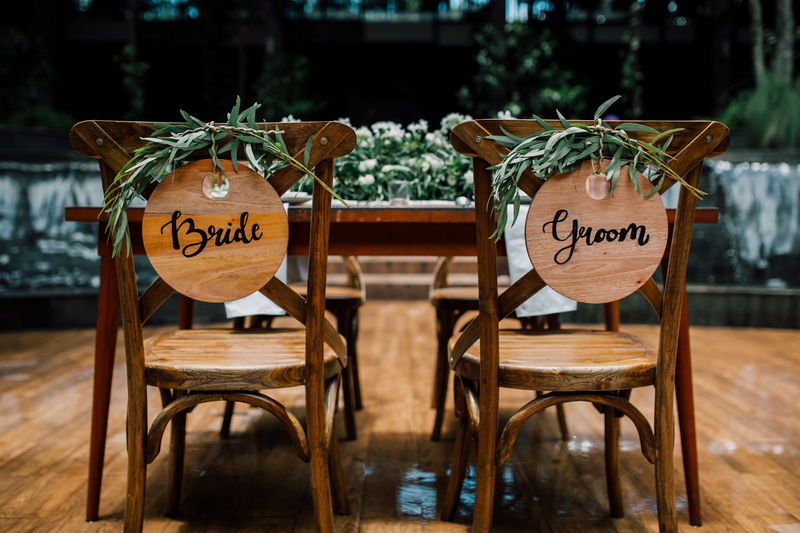 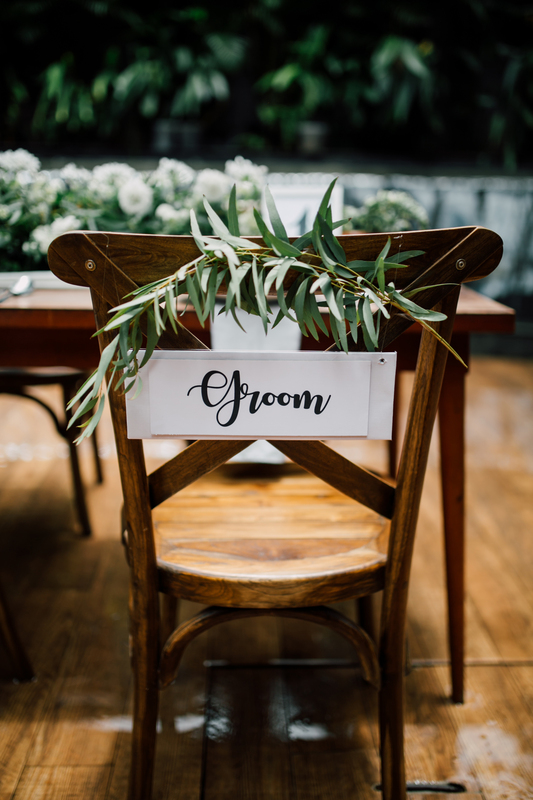 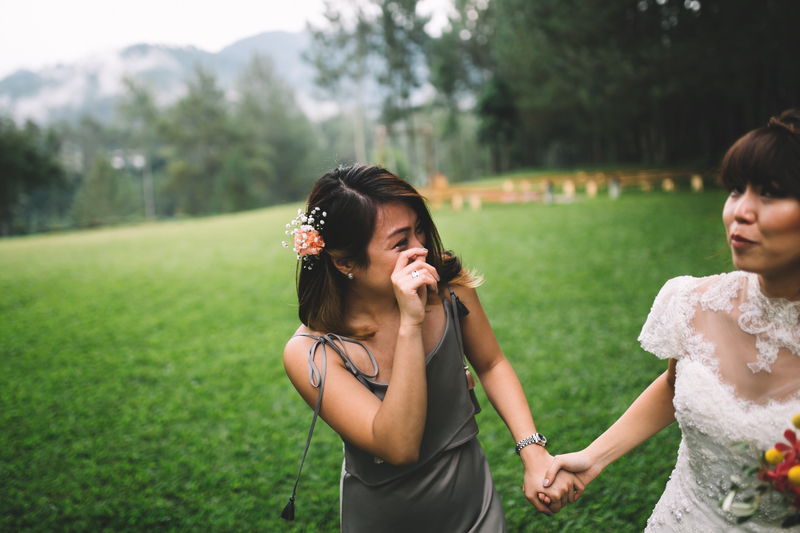 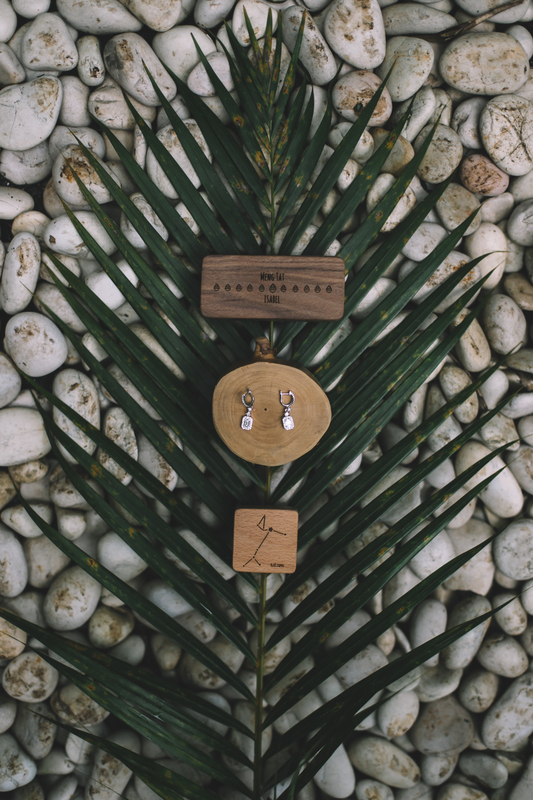 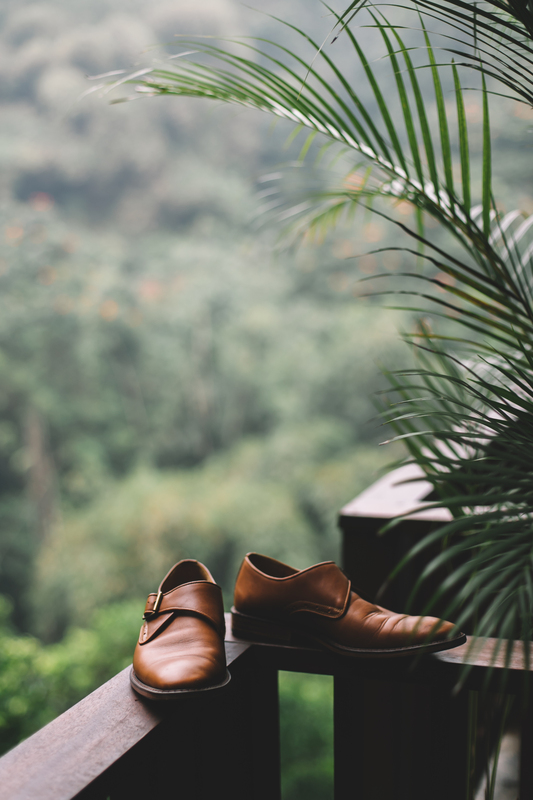 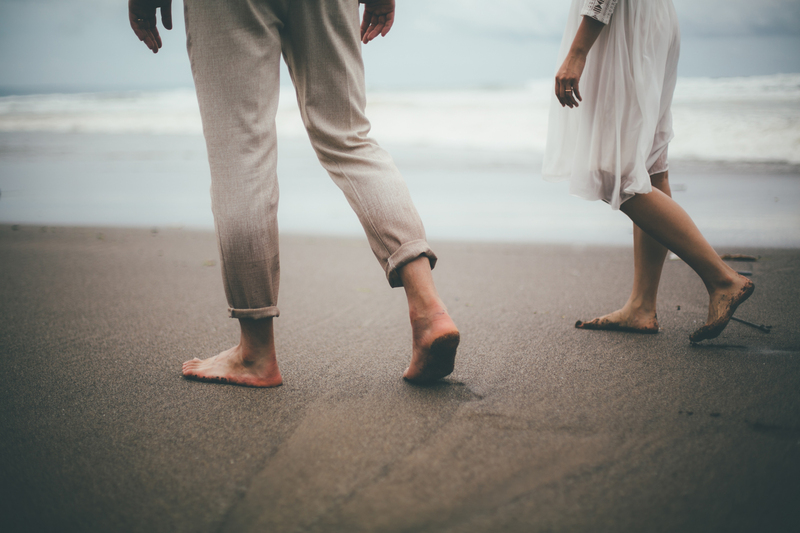 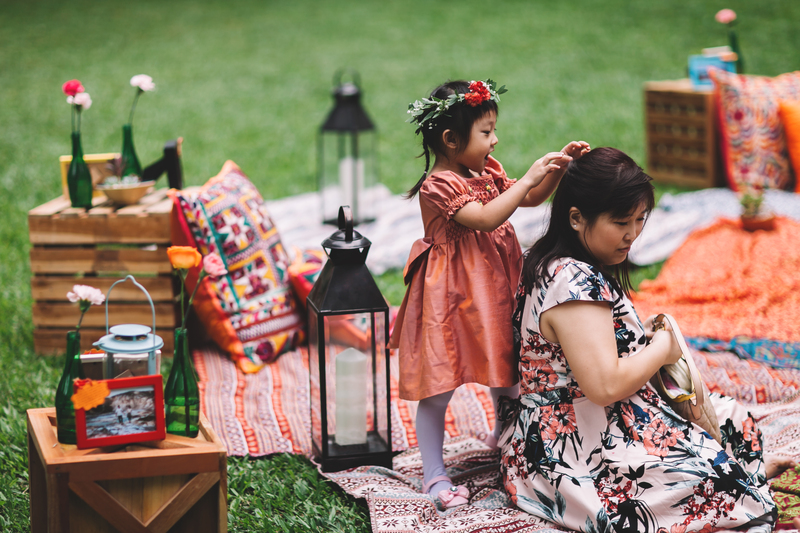 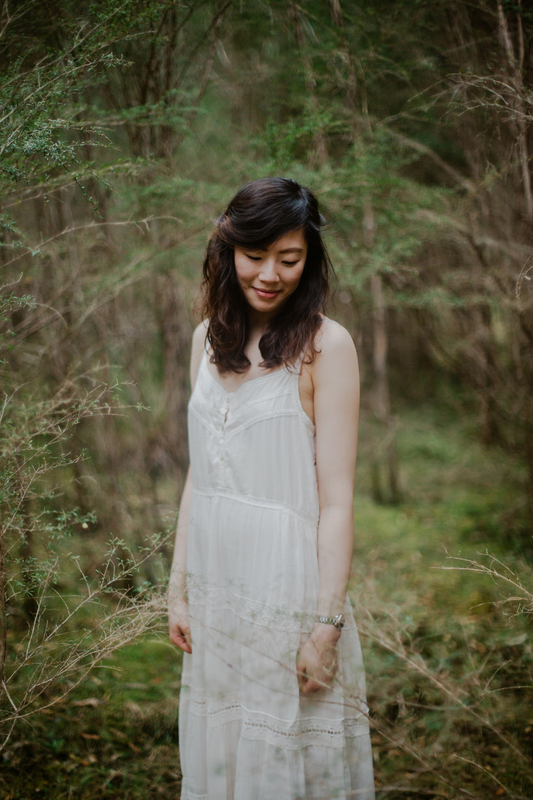 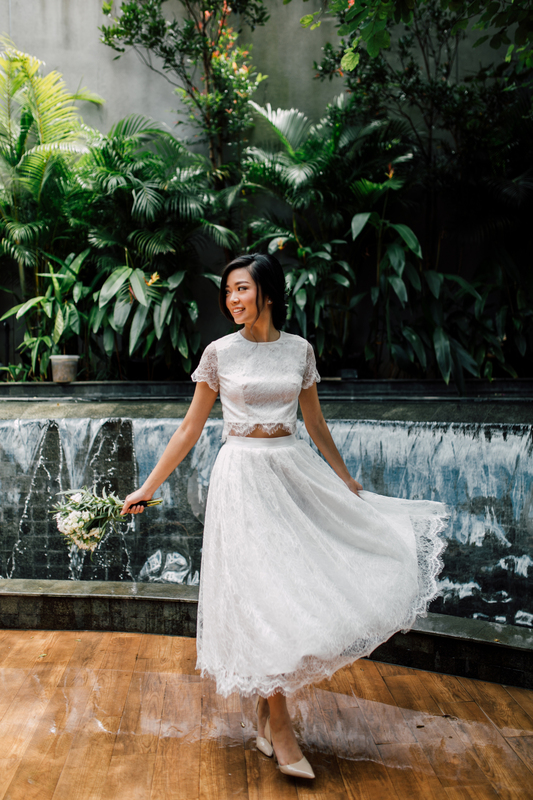 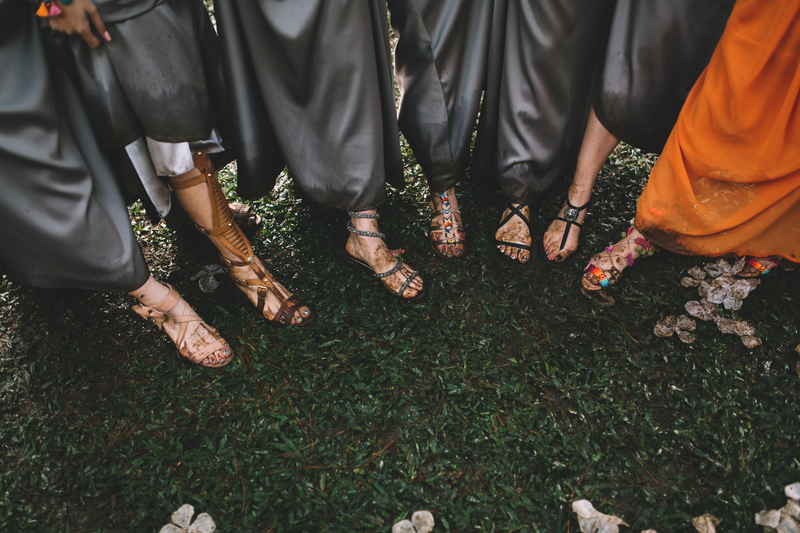 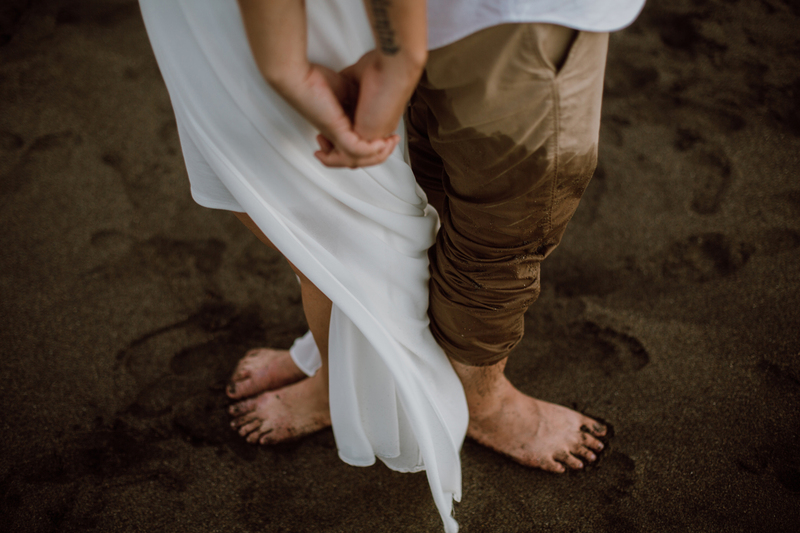 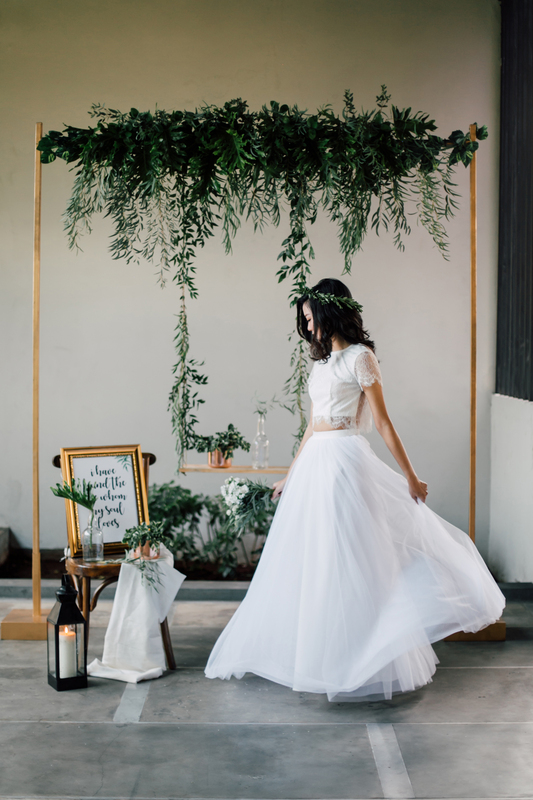 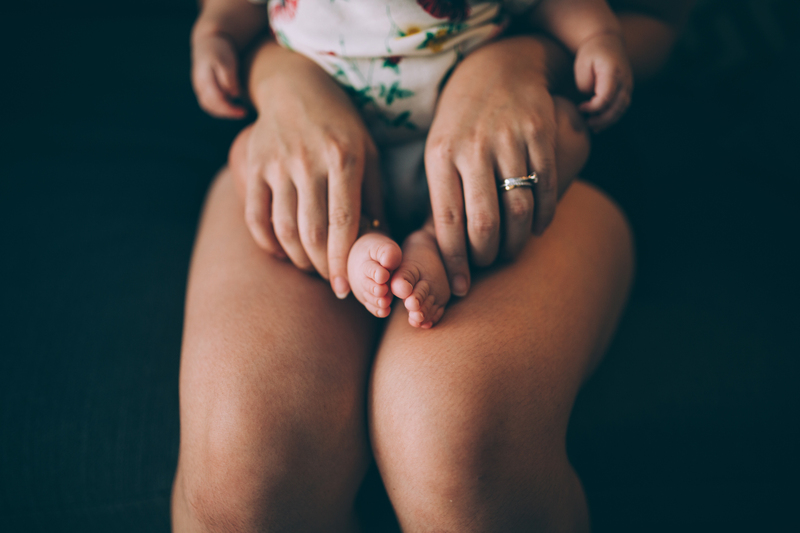 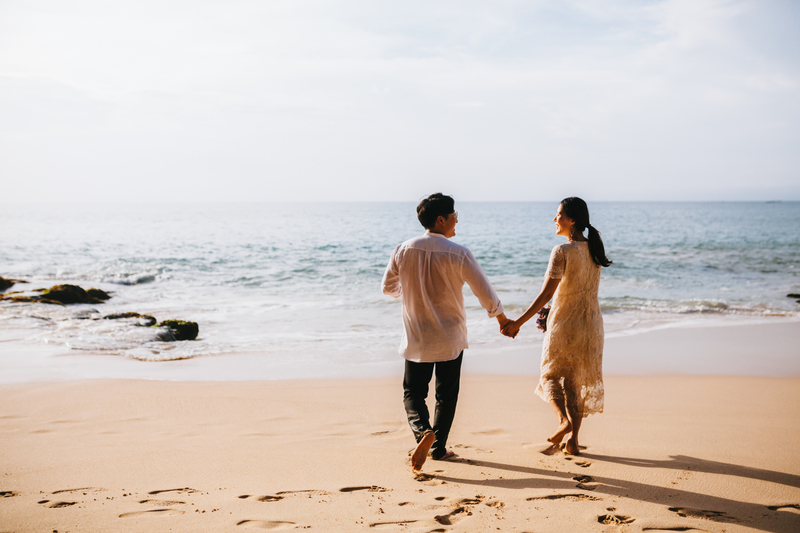 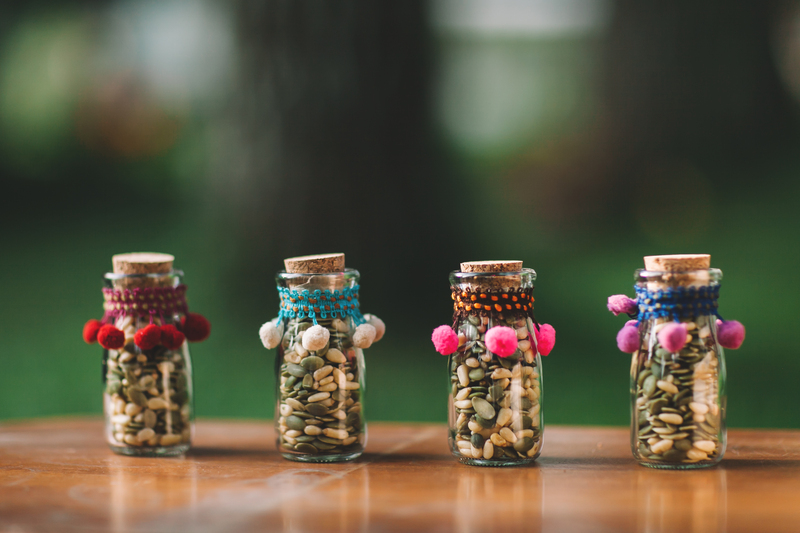 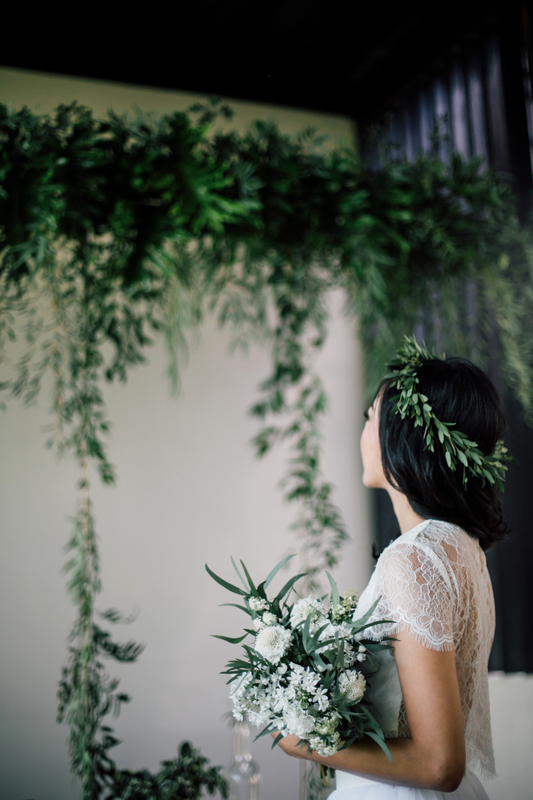 From the custom-made wooden rings, the bridesmaids dresses and boho dress which Isabel made herself, to Isabel’s pompom sandals which was also a DIY. 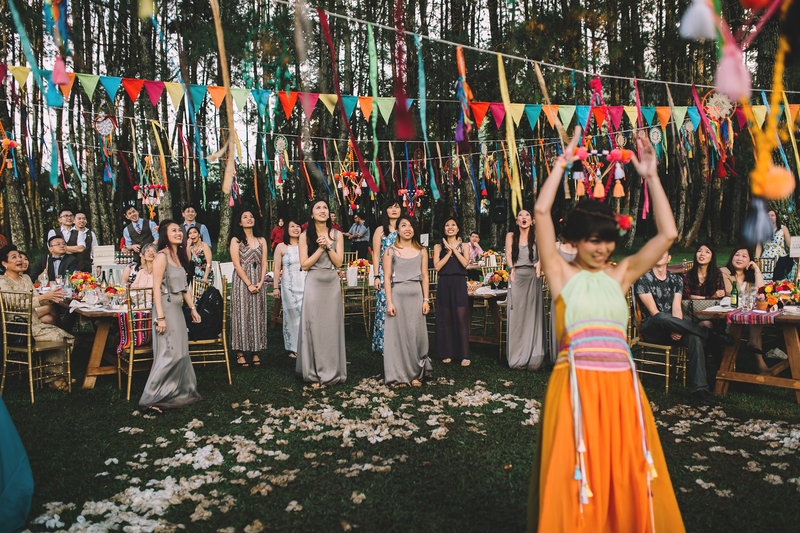 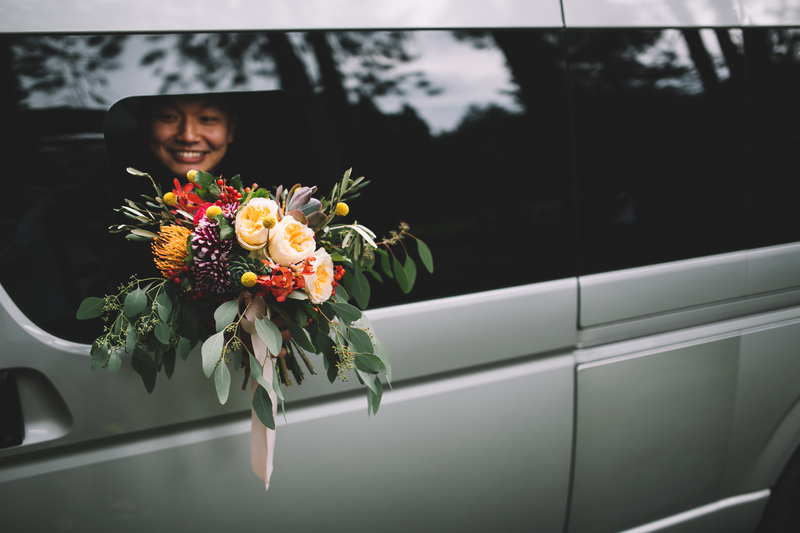 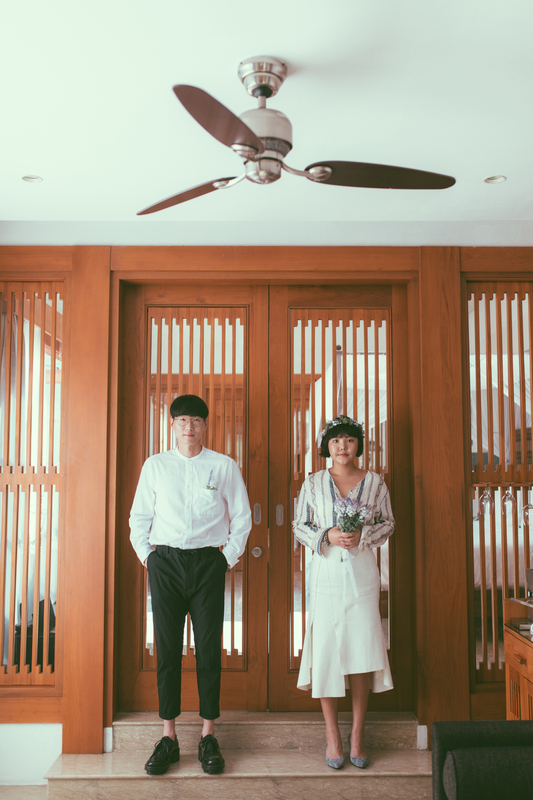 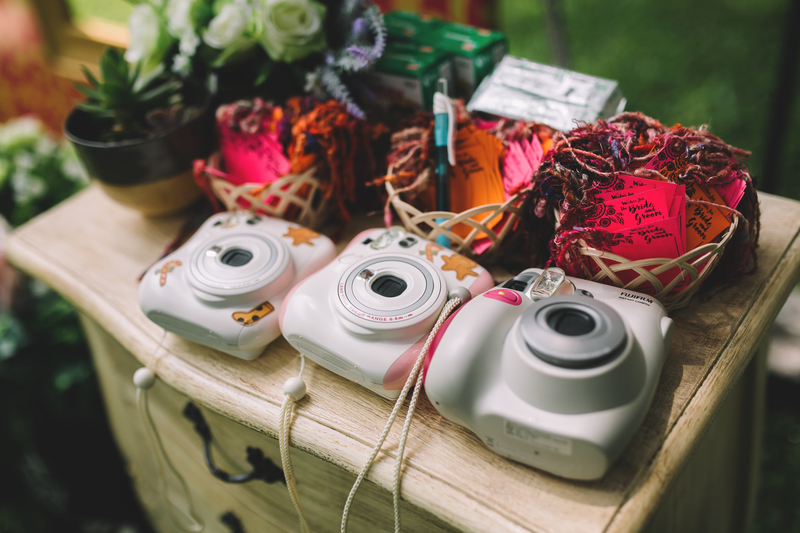 Their wedding was heavily inspired by Wes Anderson movies (their favorites), and also Isabel’s love of all things colorful. 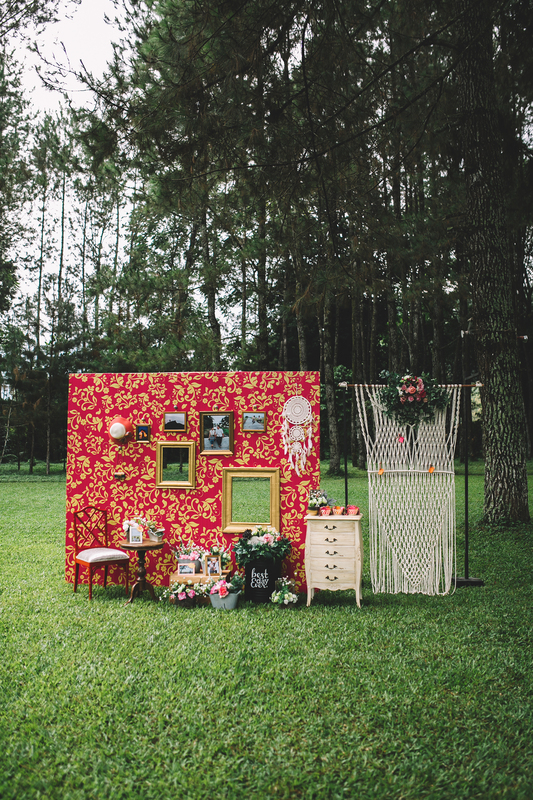 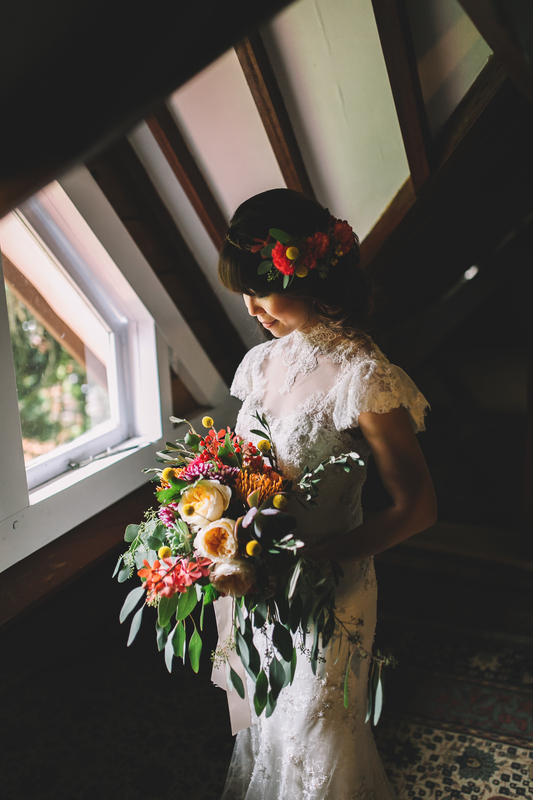 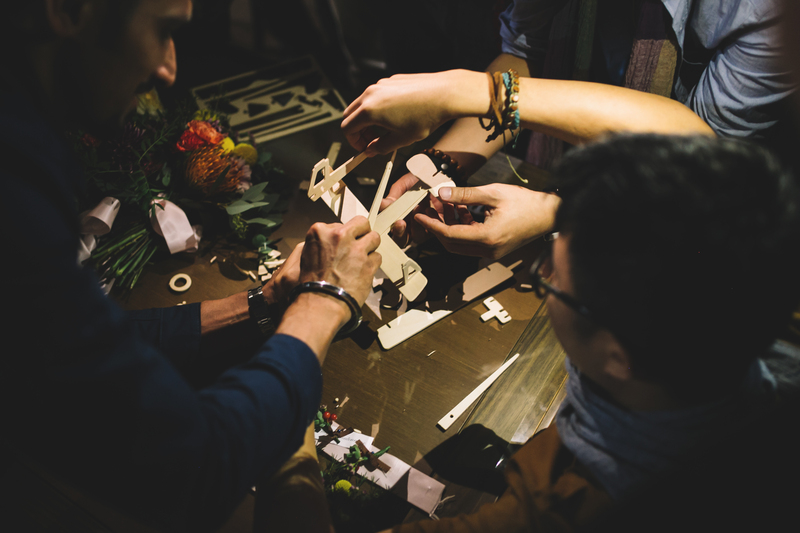 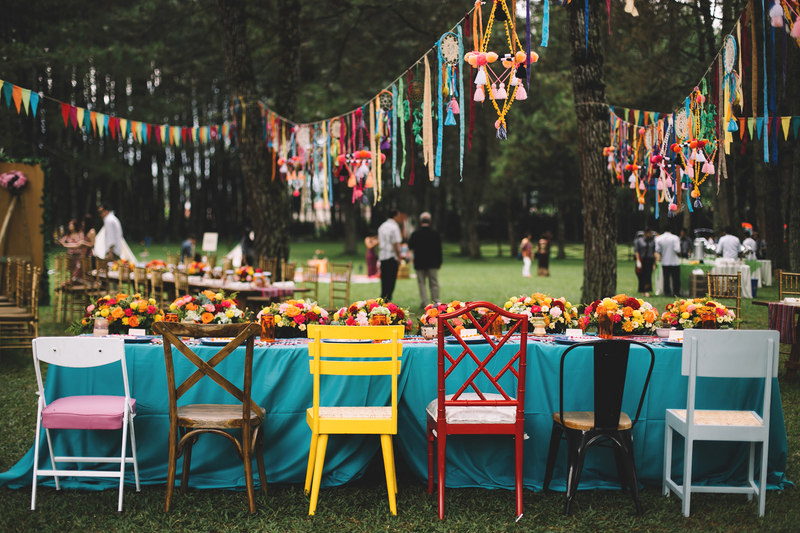 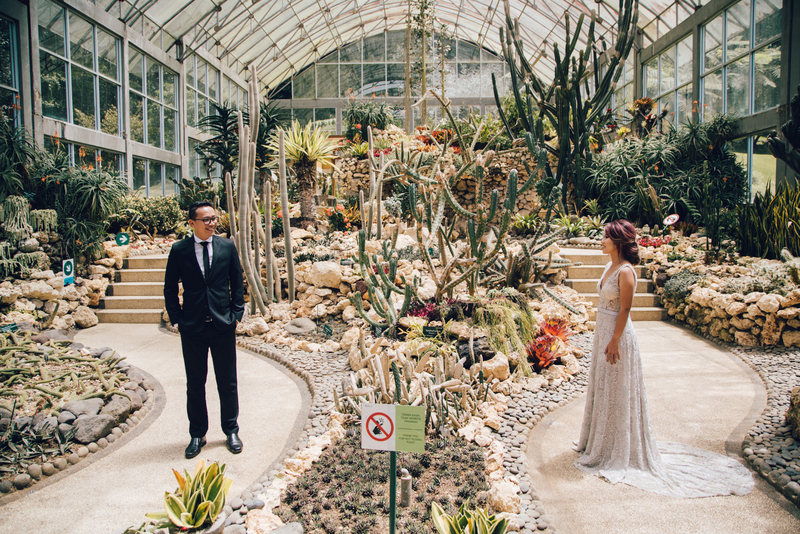 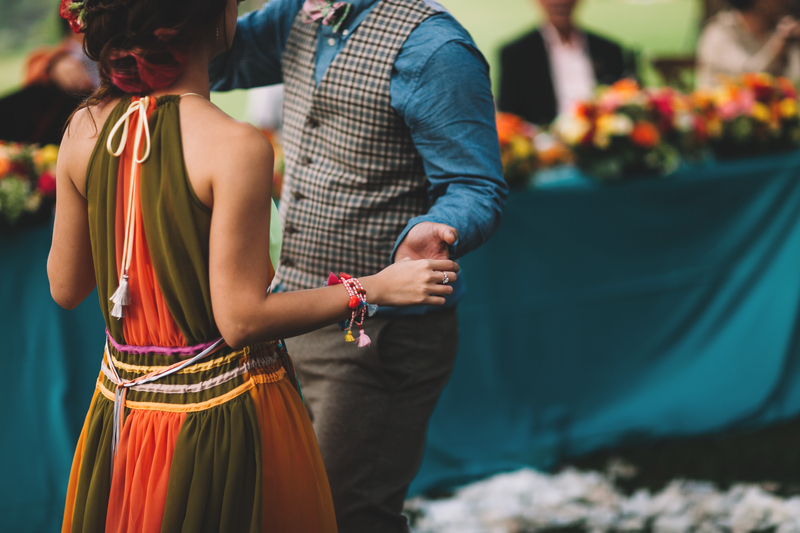 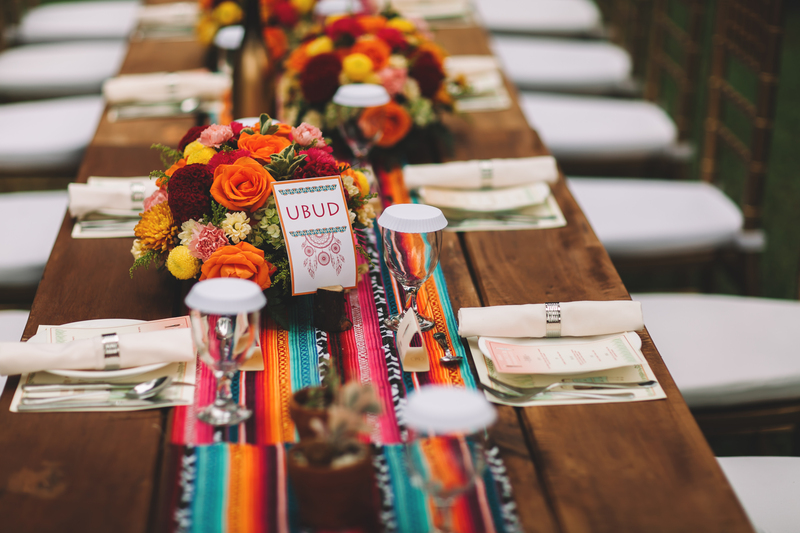 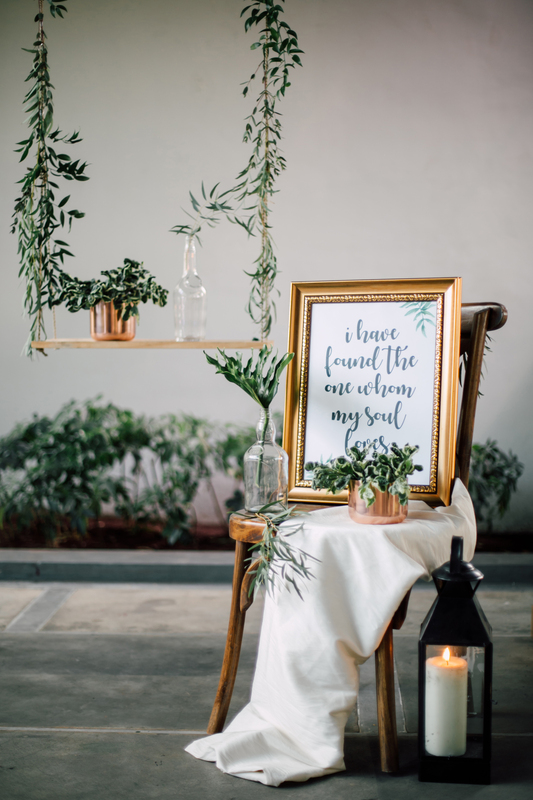 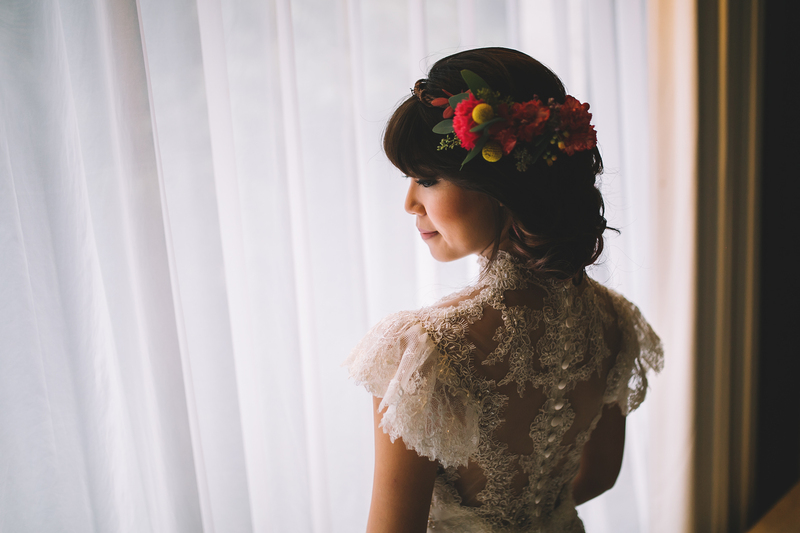 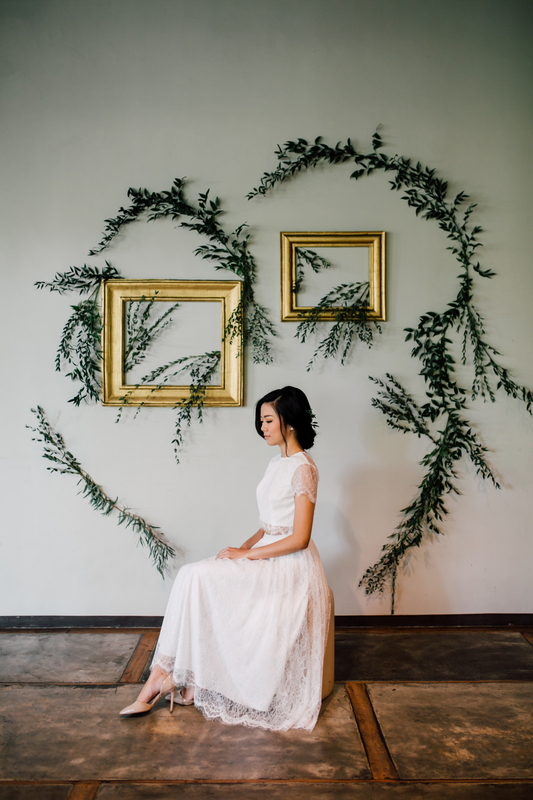 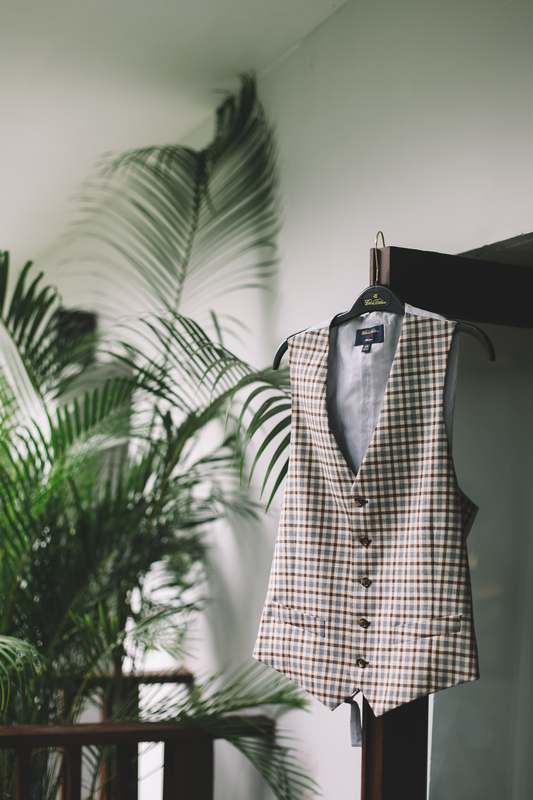 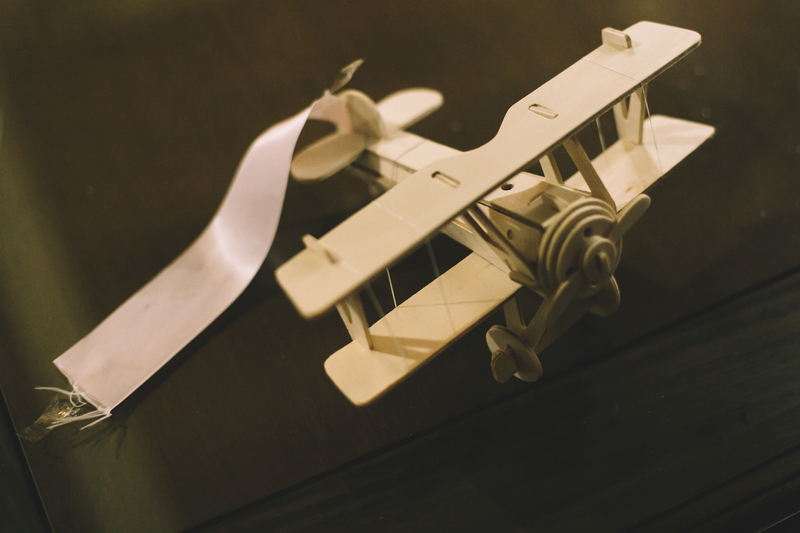 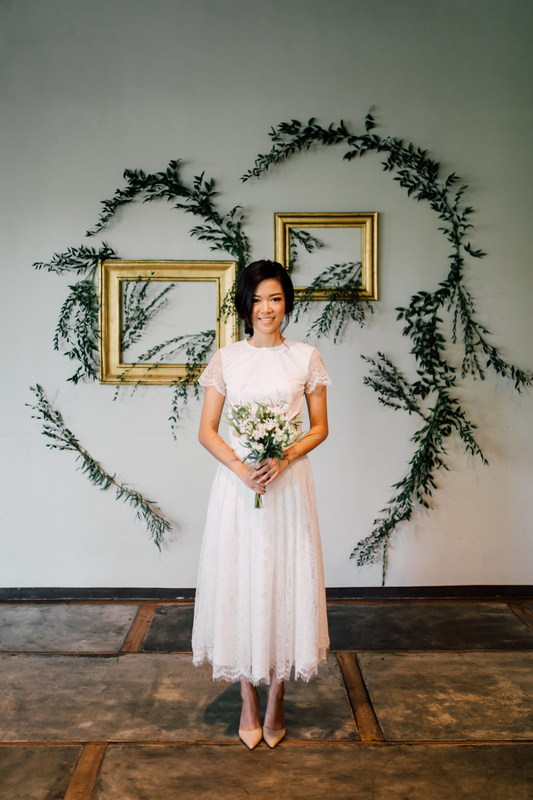 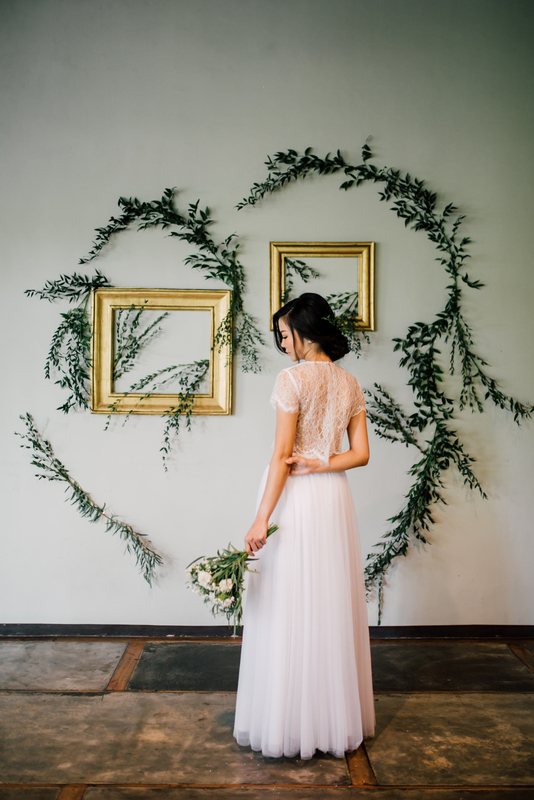 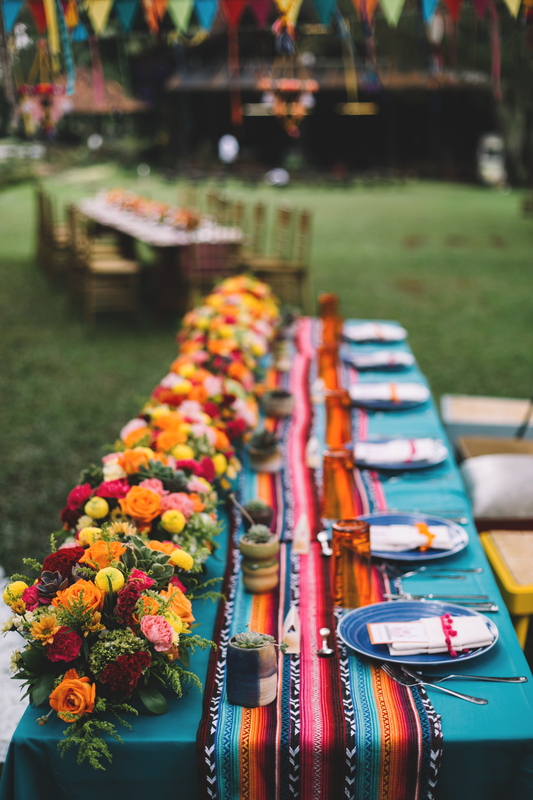 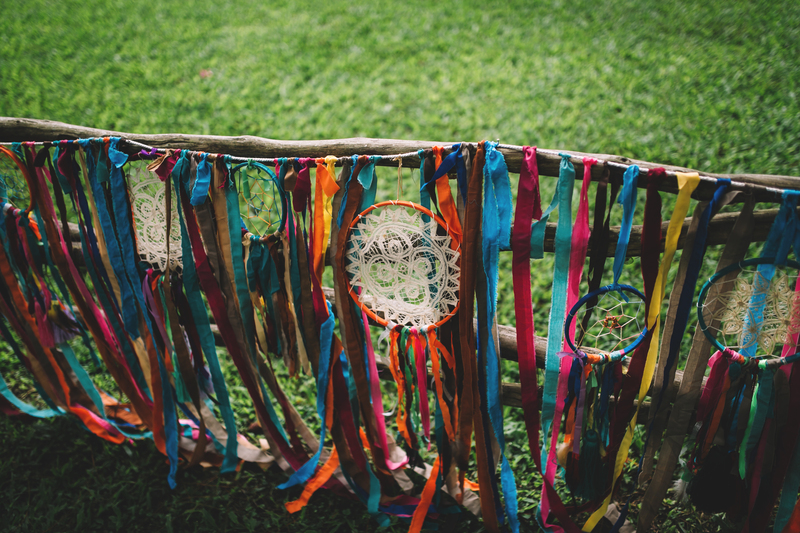 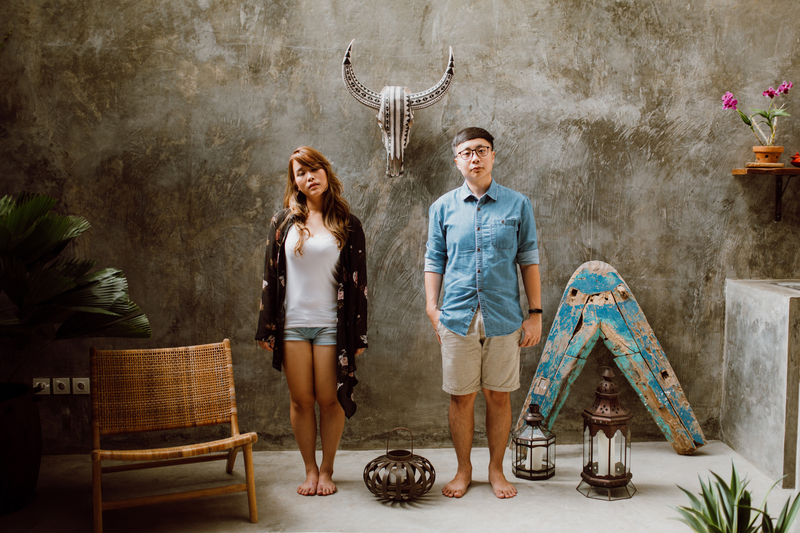 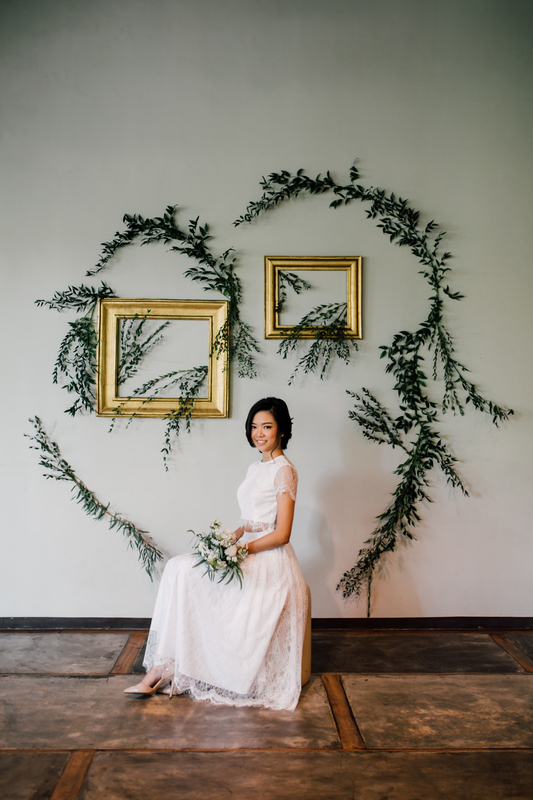 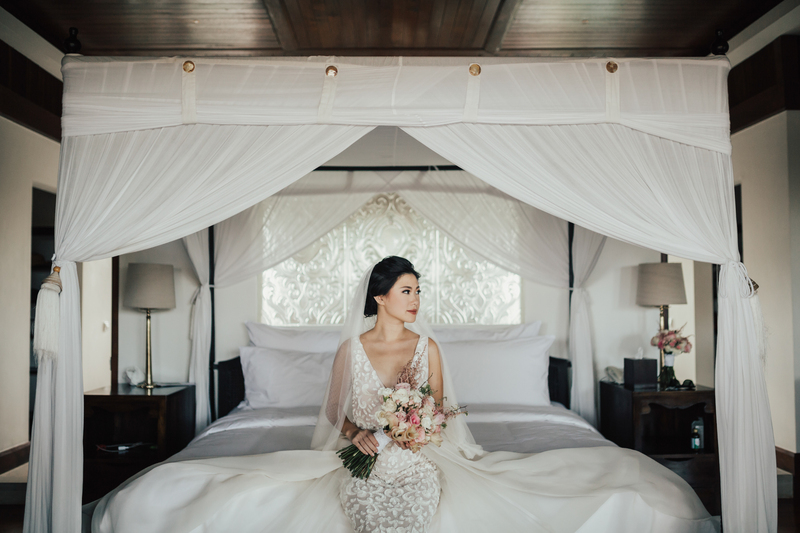 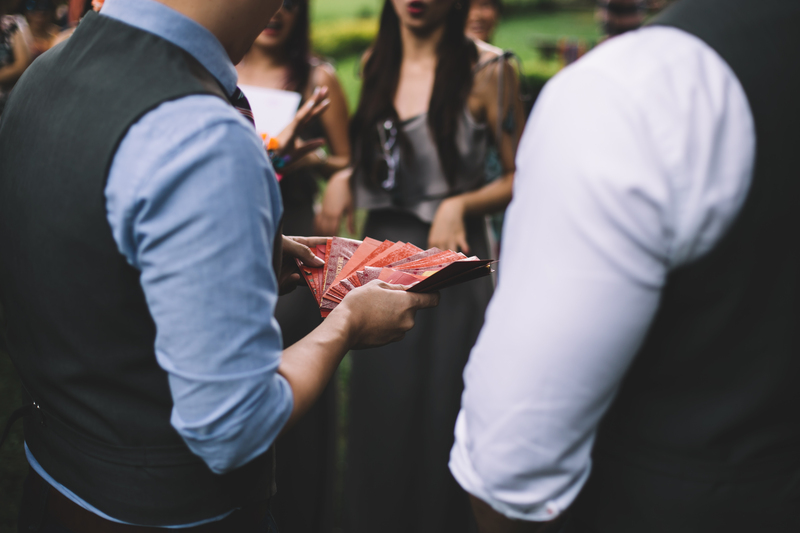 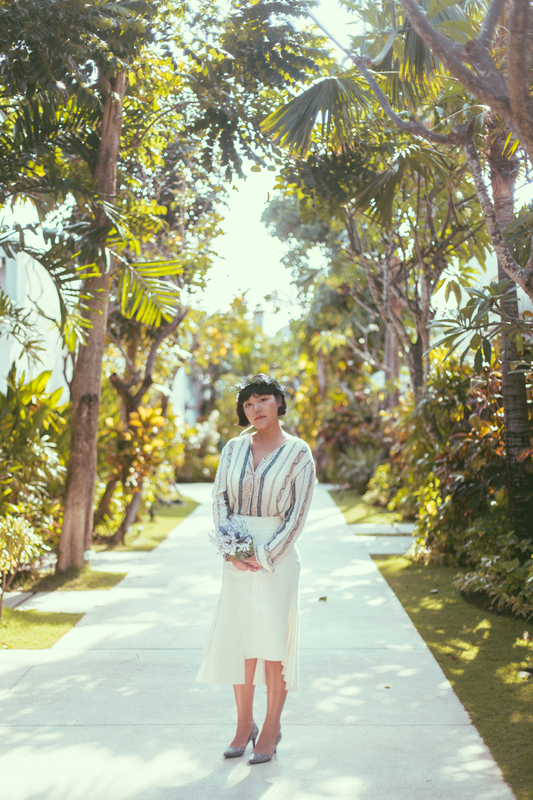 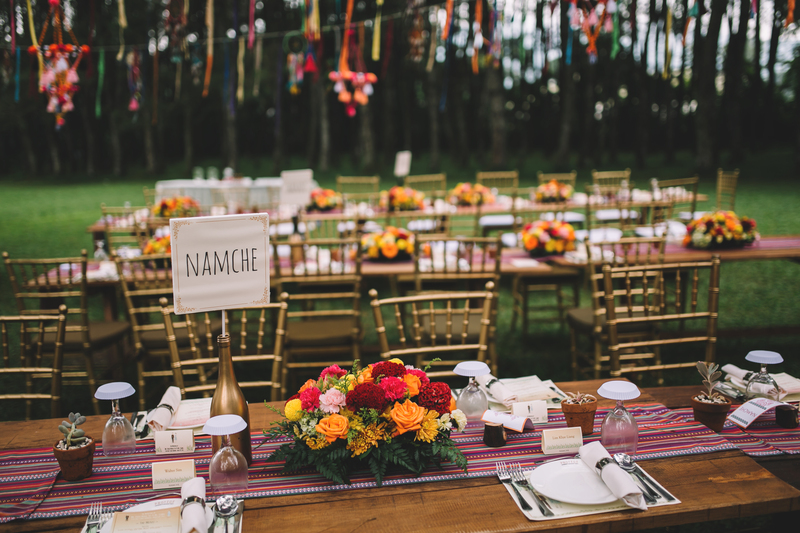 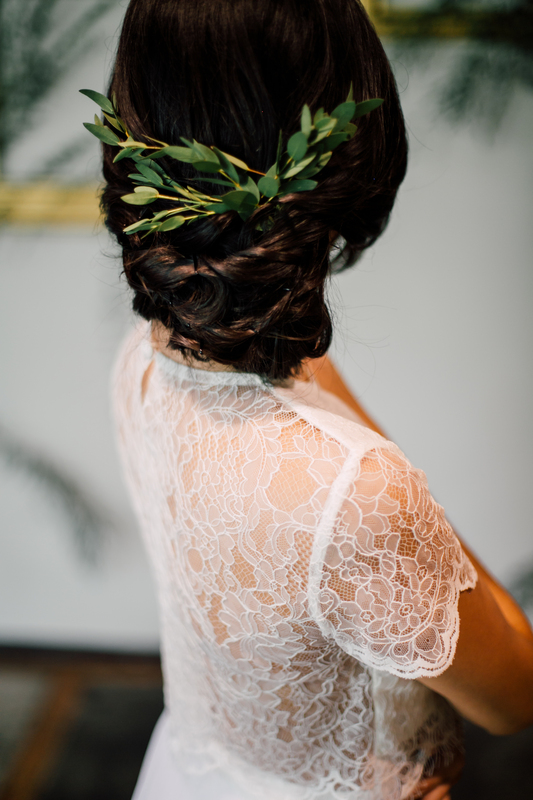 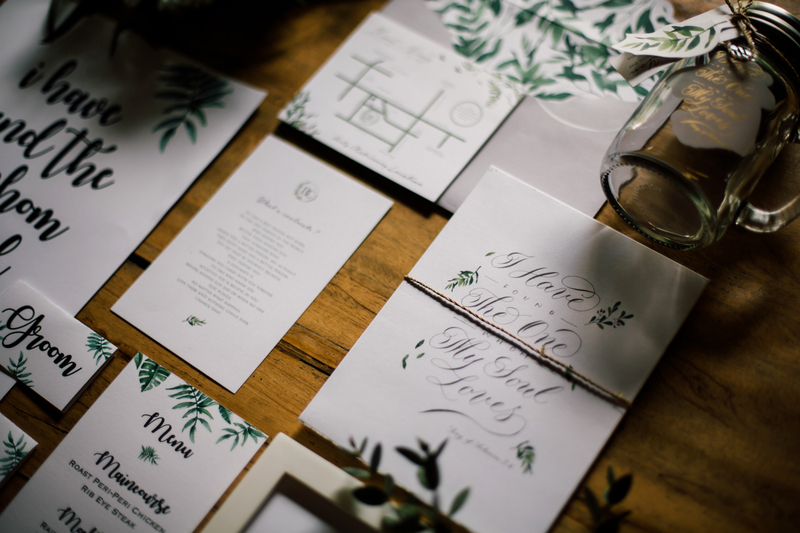 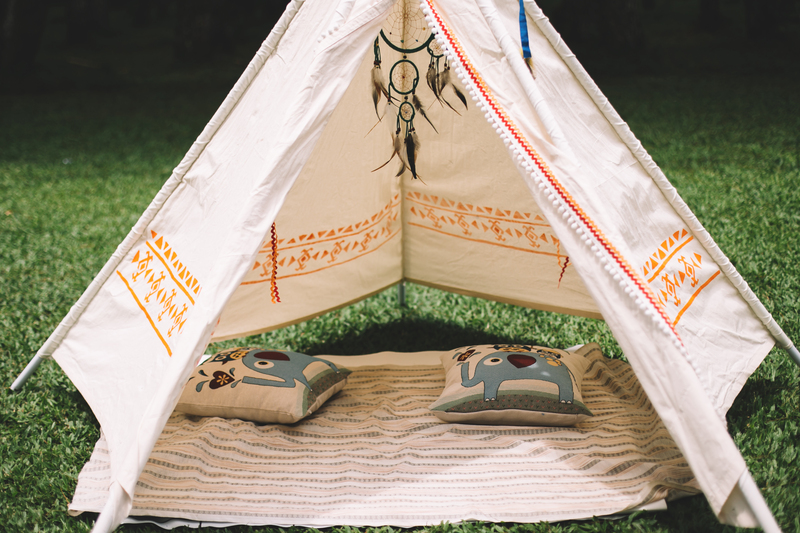 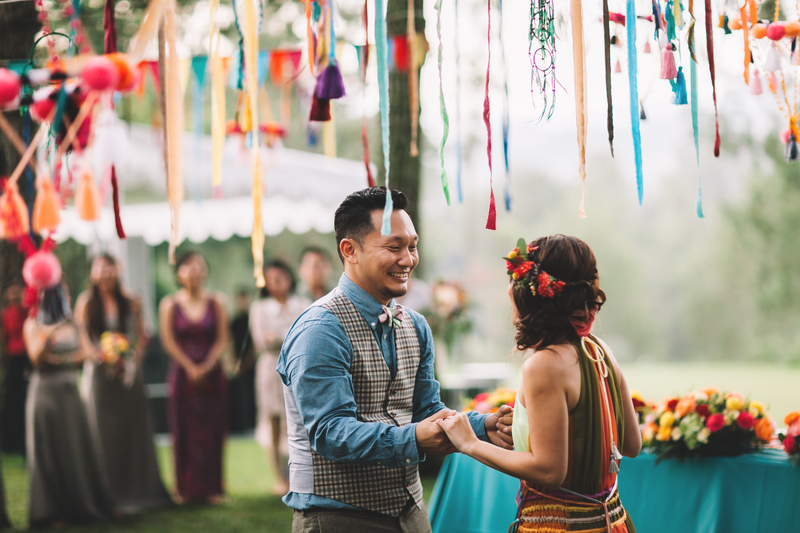 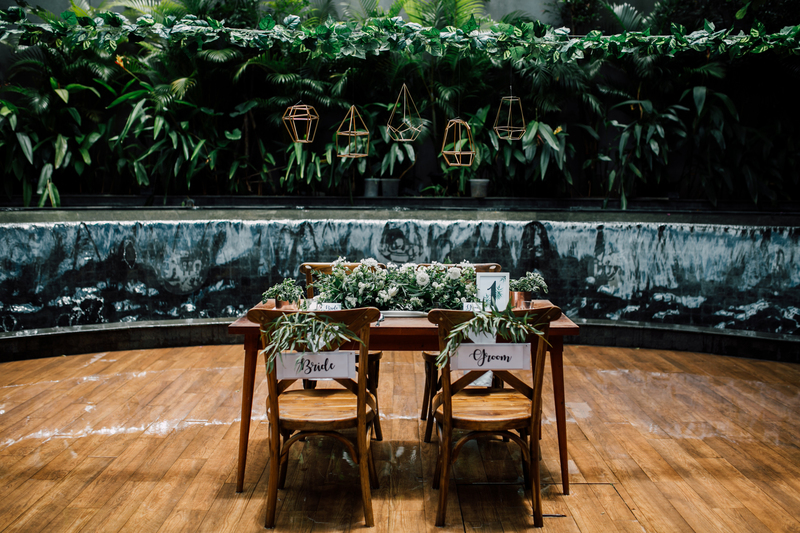 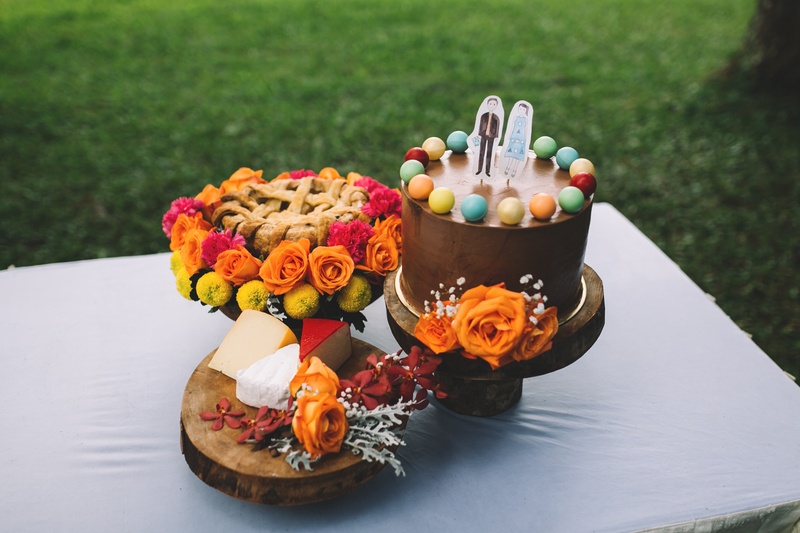 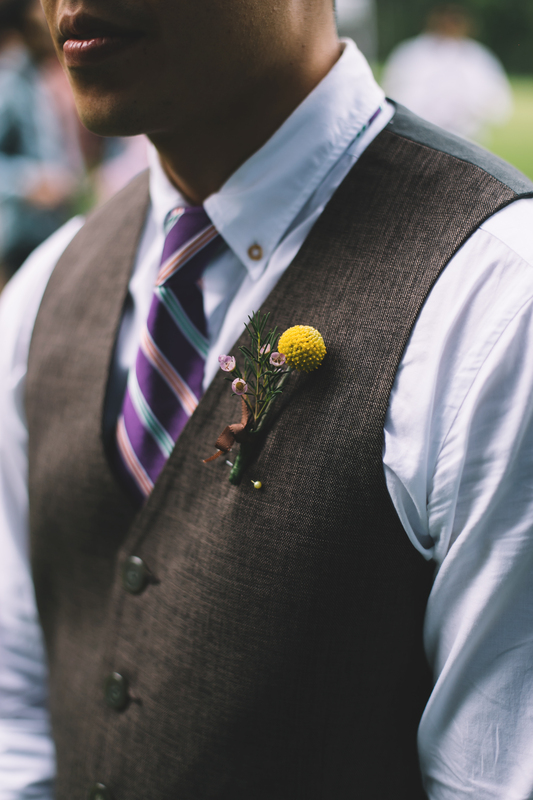 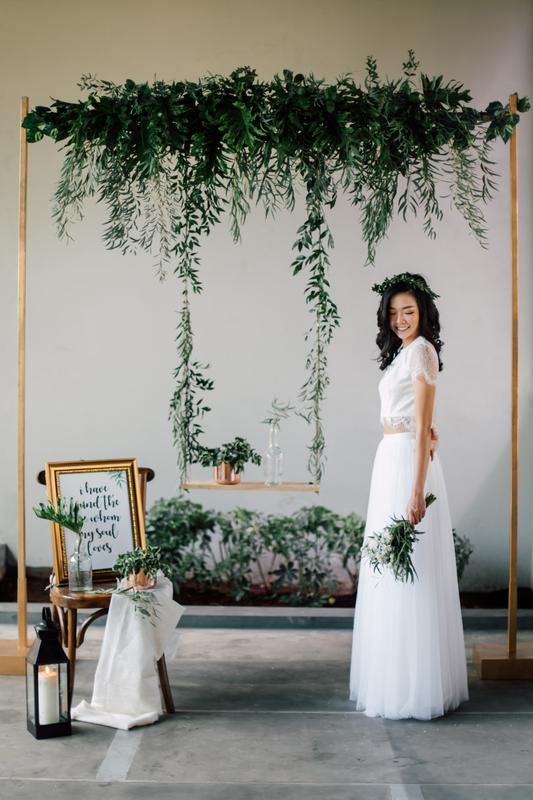 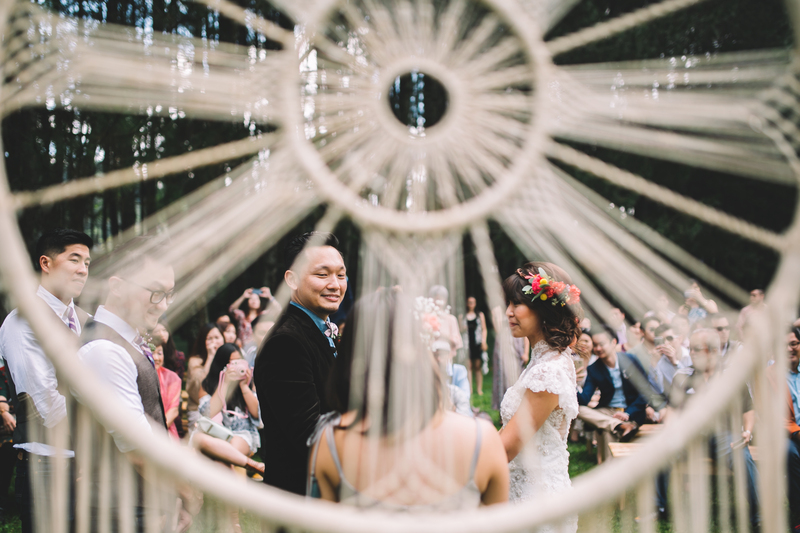 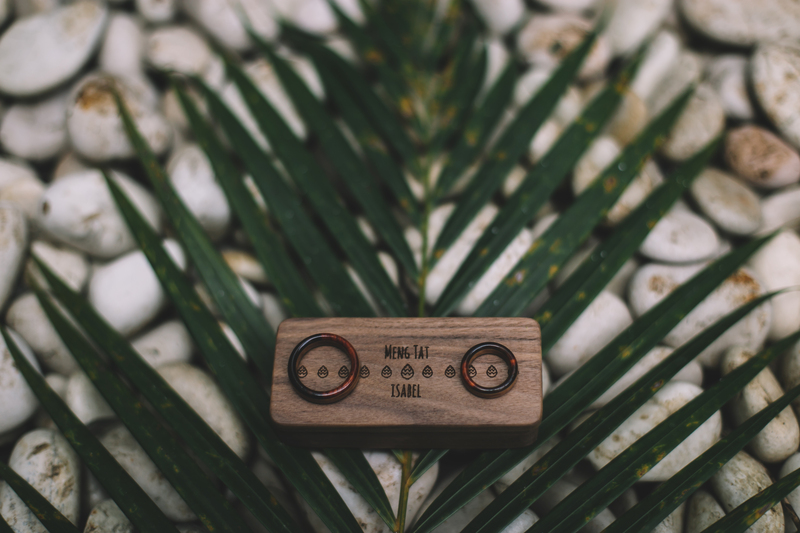 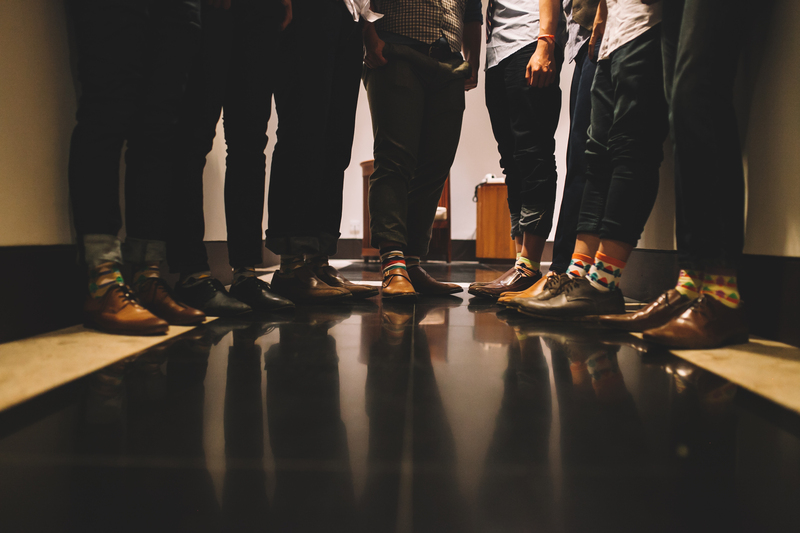 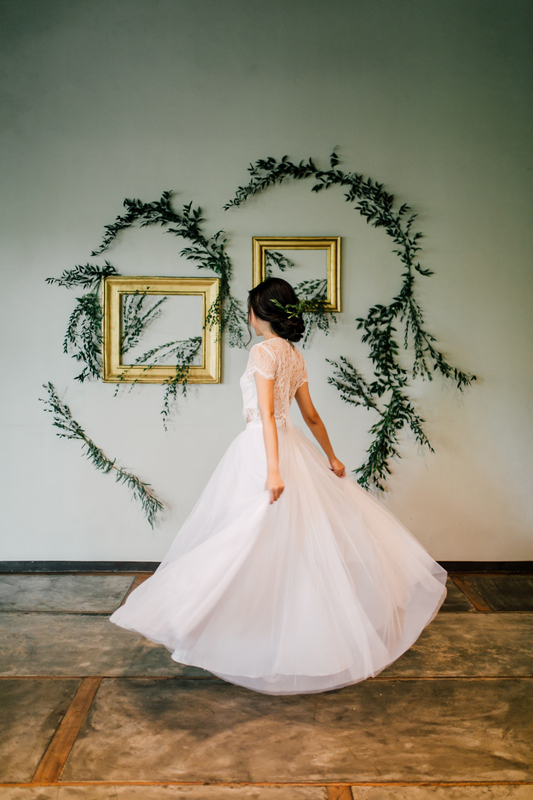 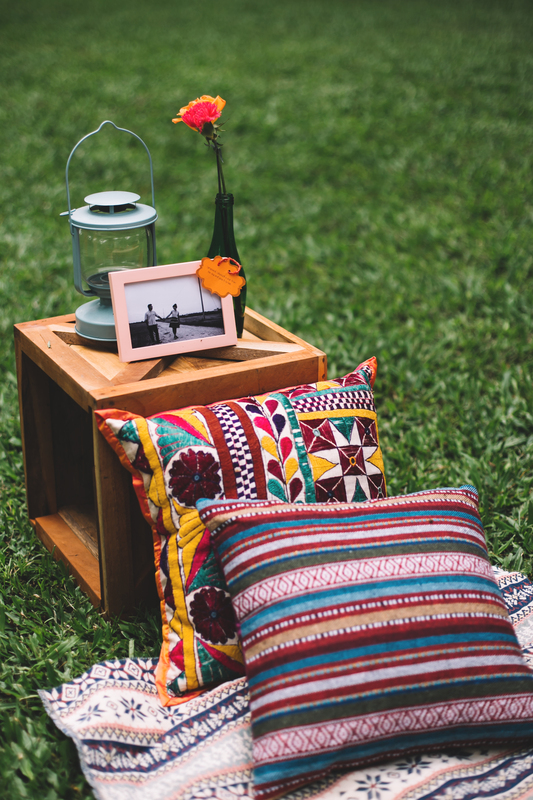 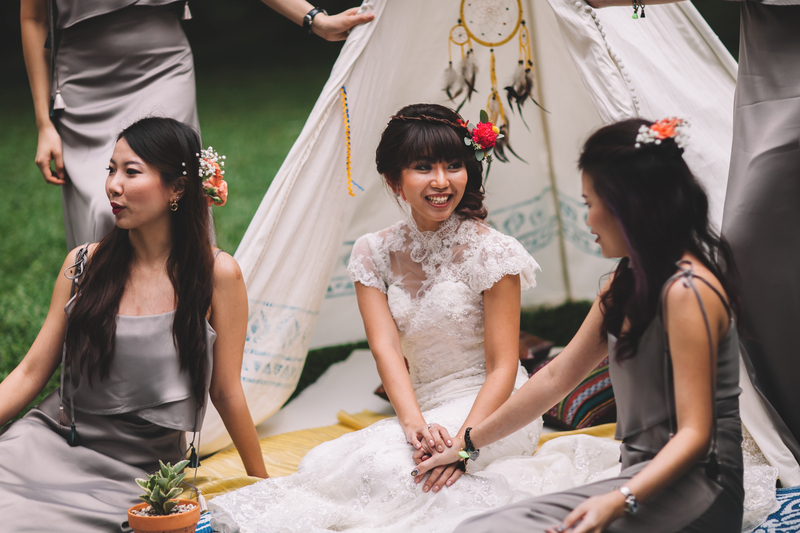 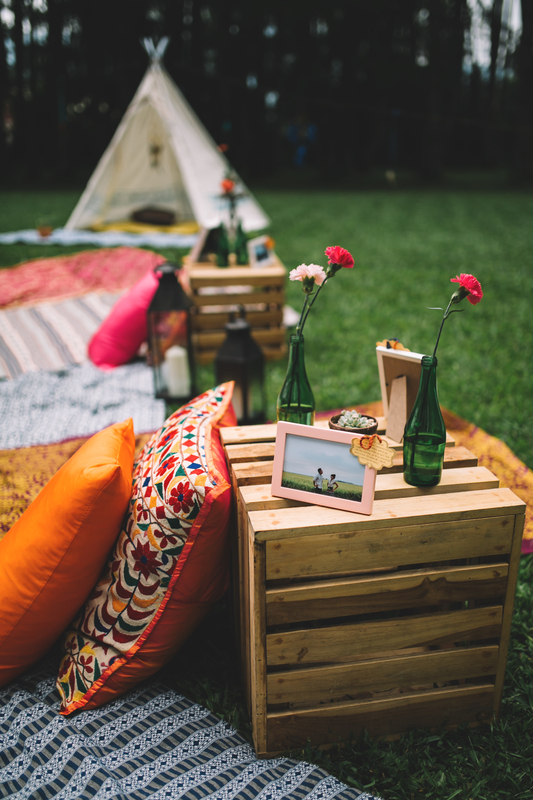 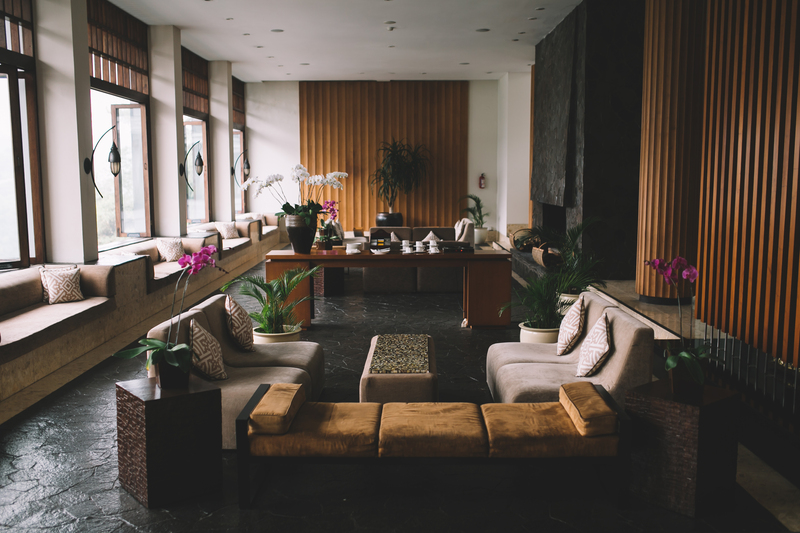 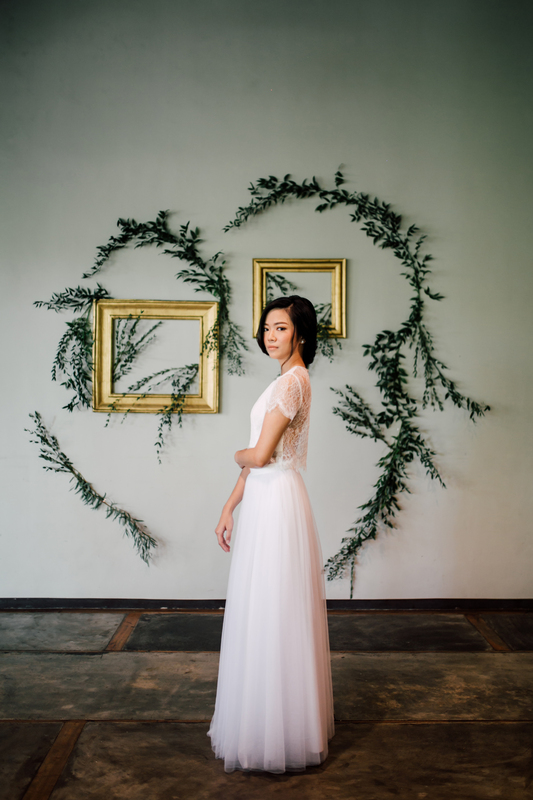 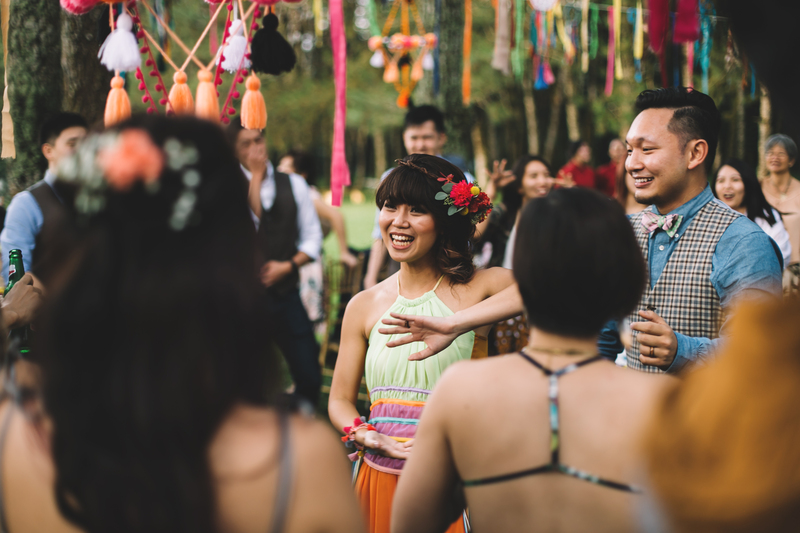 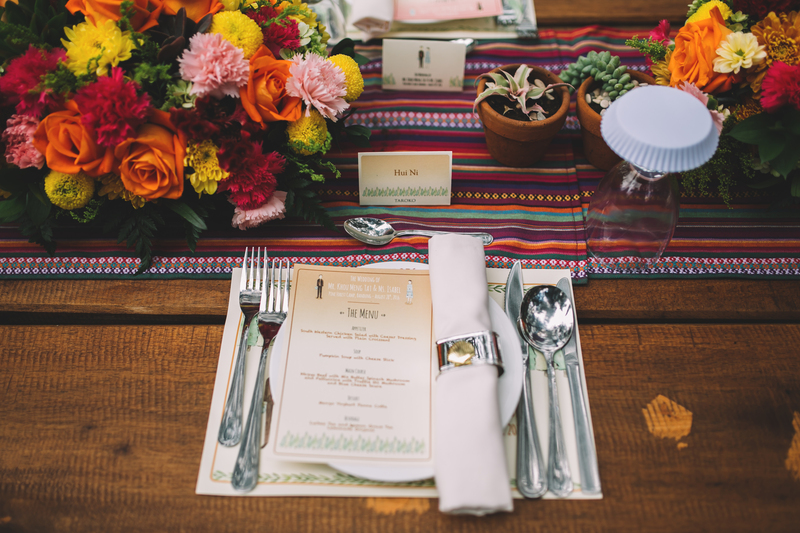 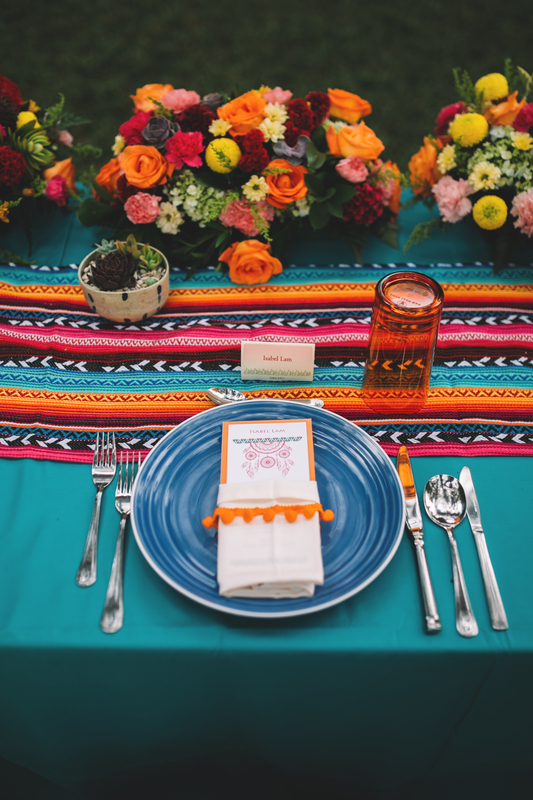 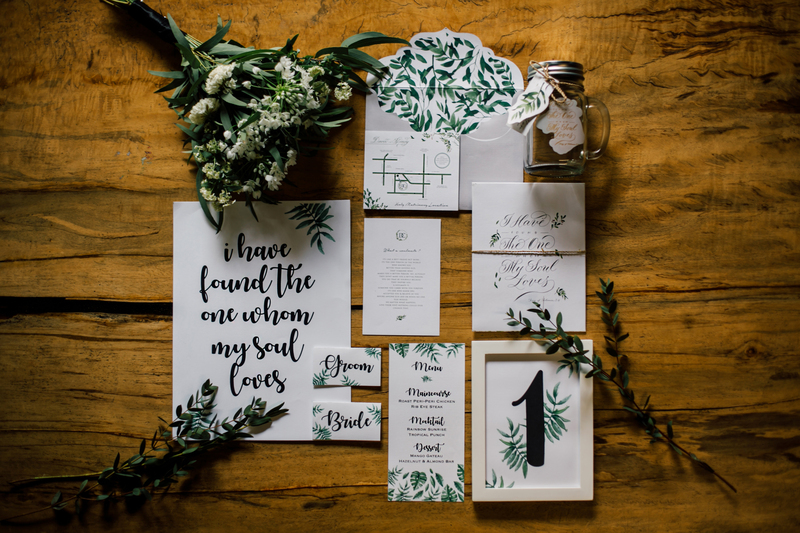 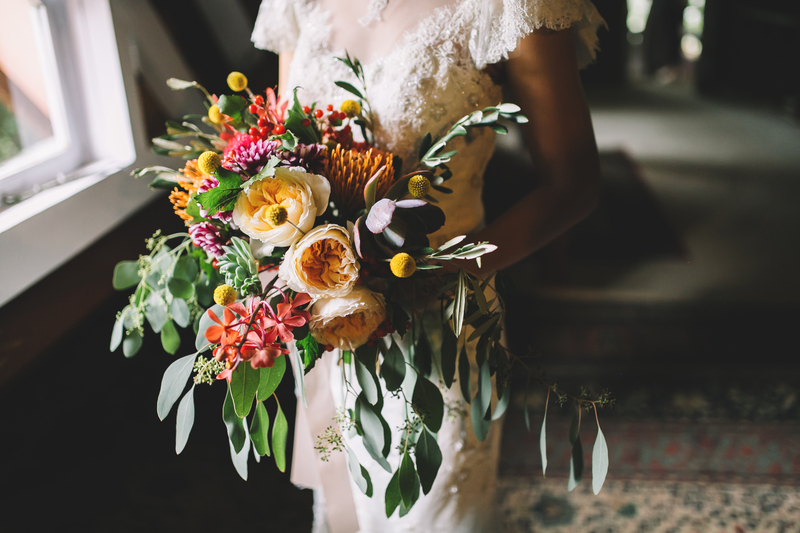 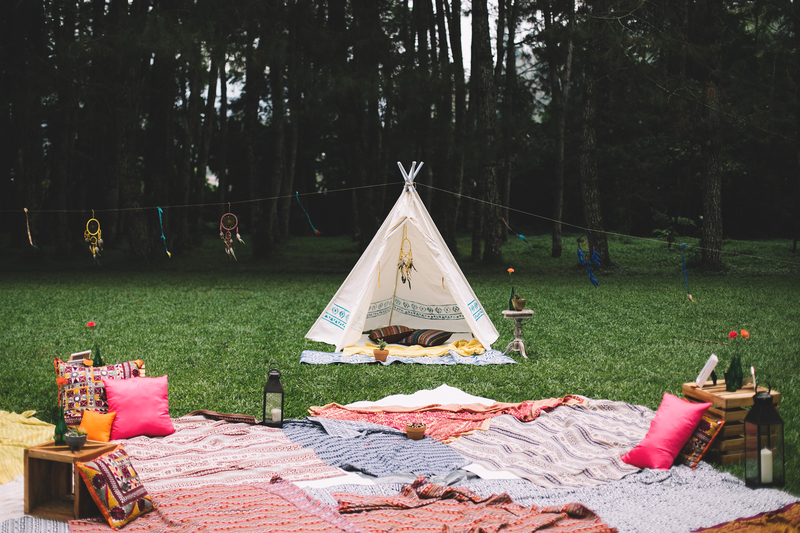 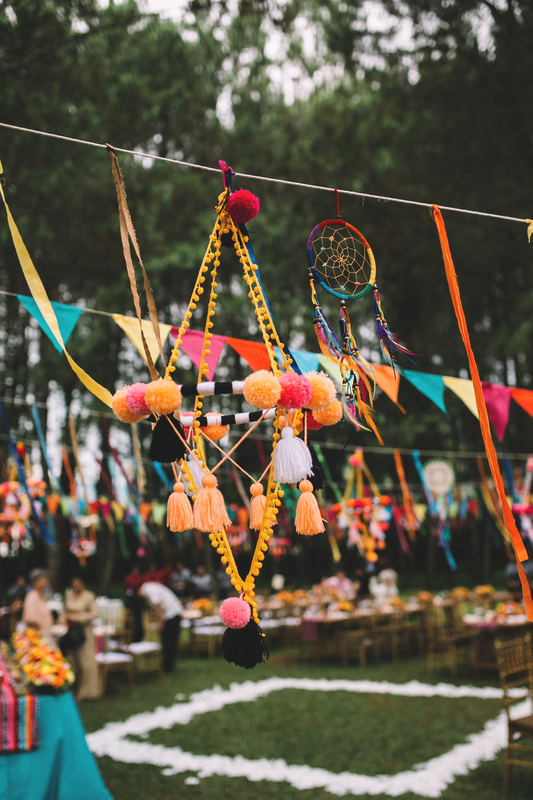 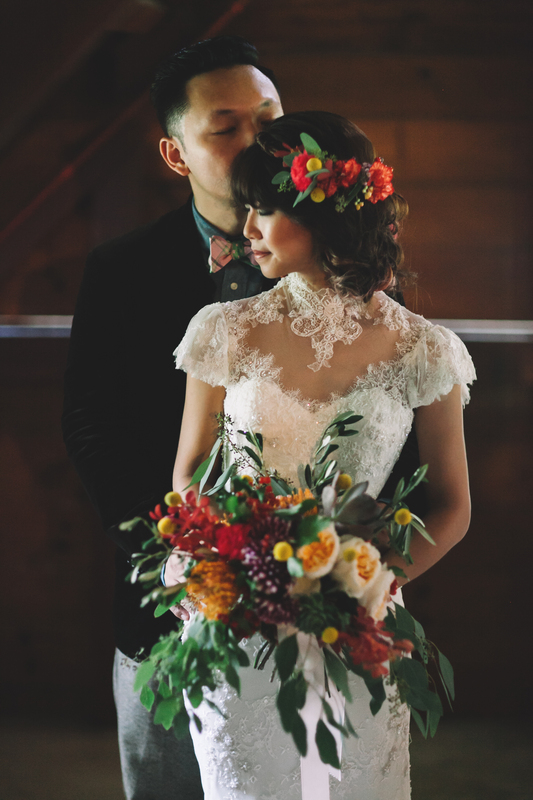 Every details were elaborated beautifully to fit the quirky Wes Anderson & boho chic theme. 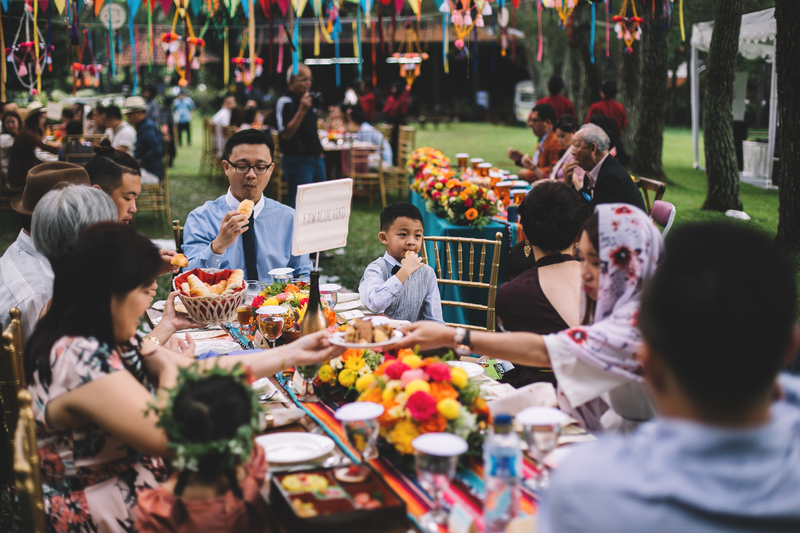 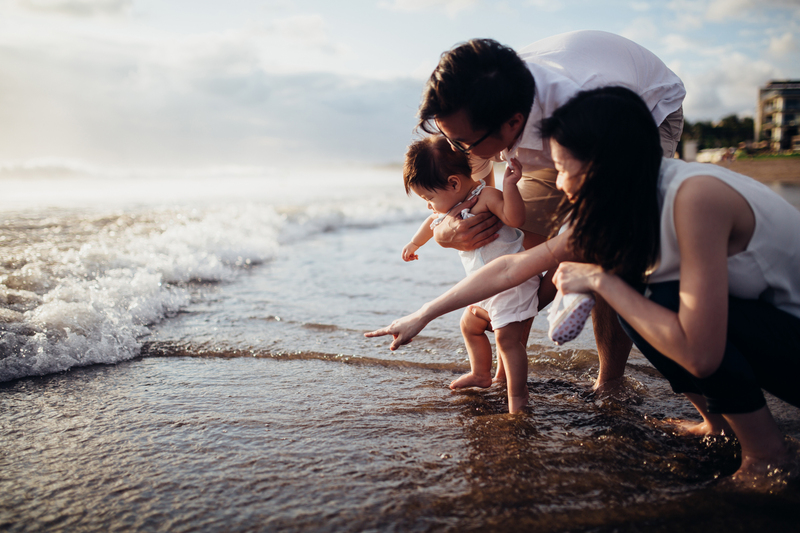 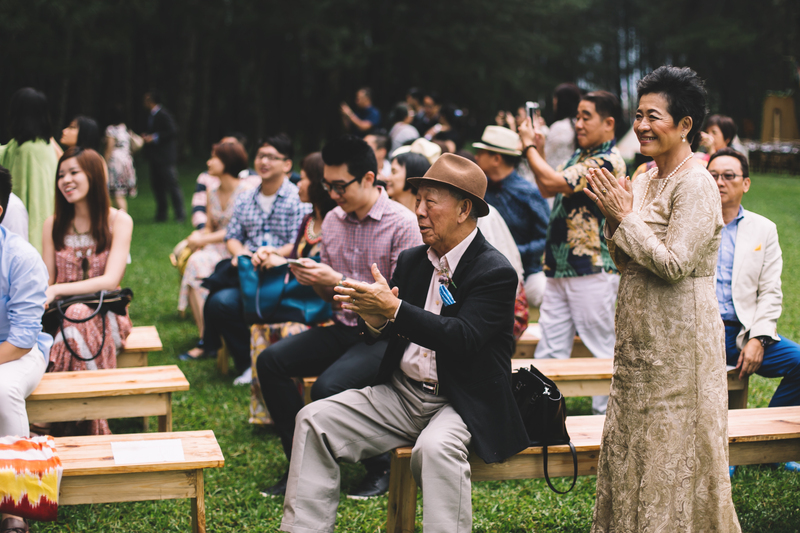 Their closest families, relatives and friends flew from Malaysia and other countries to join their meaningful celebration. 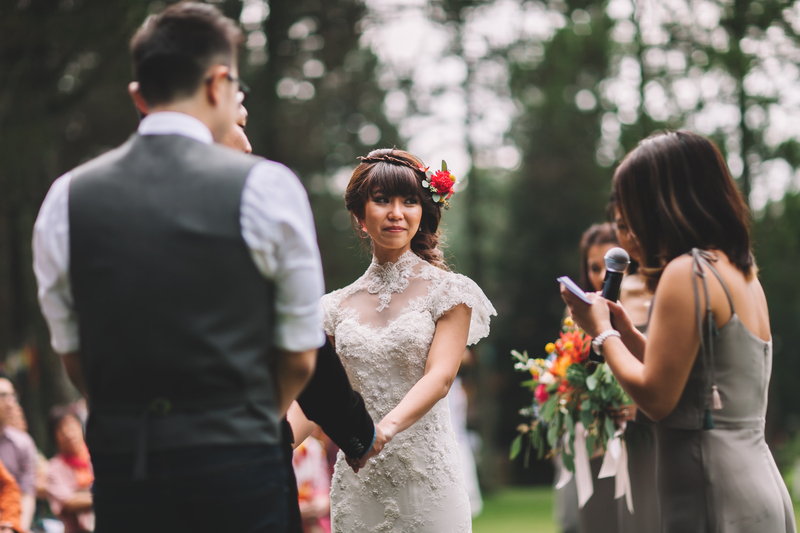 Yenny, Isabel’s closest friend, officiated the ceremony. 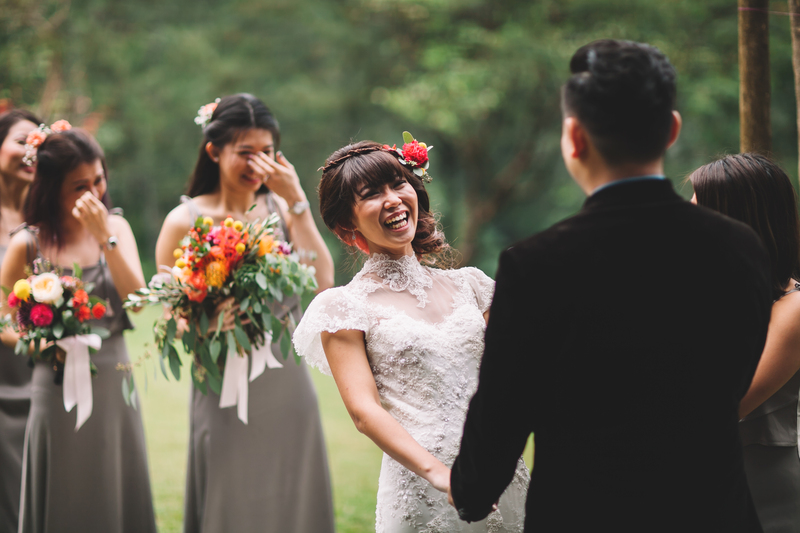 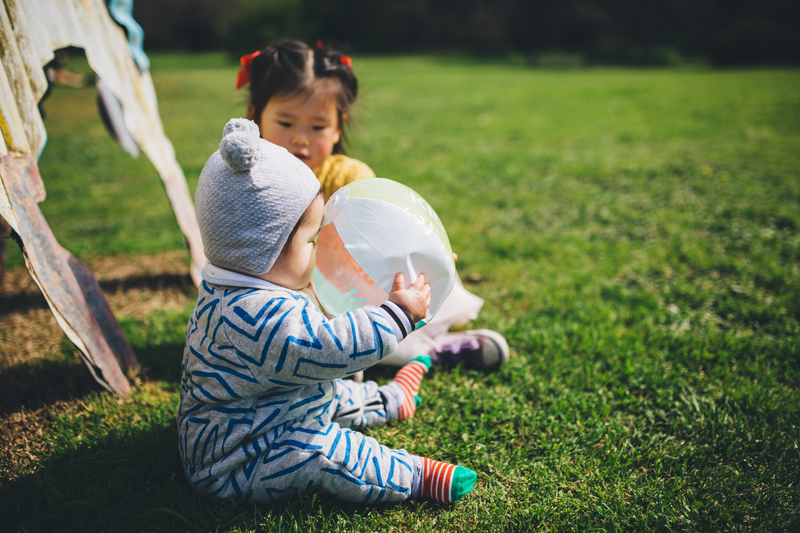 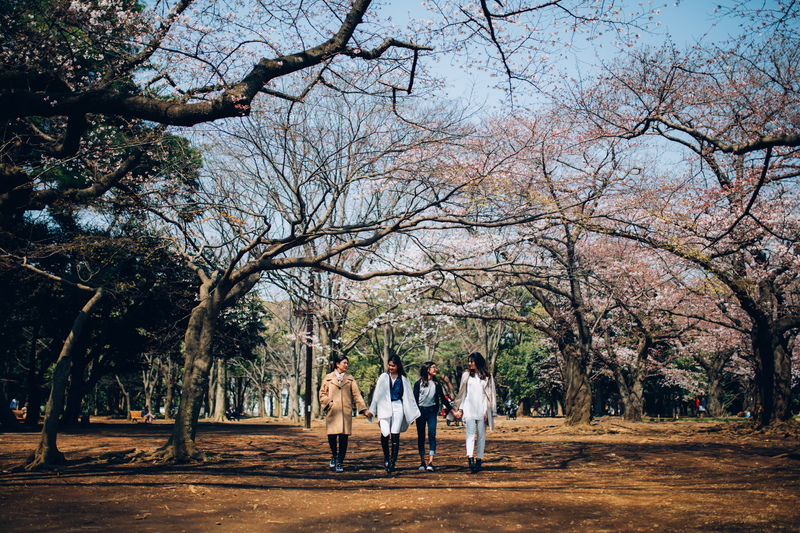 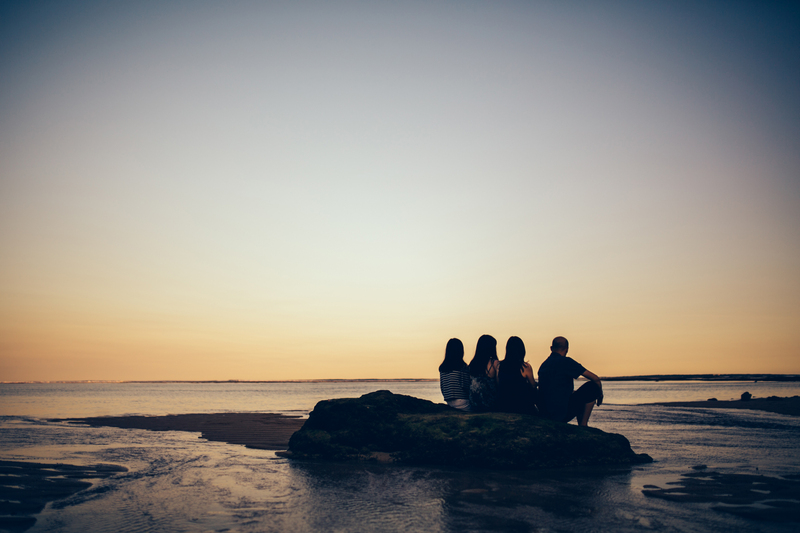 It brought lots of happy tears and laughter among the good friends. 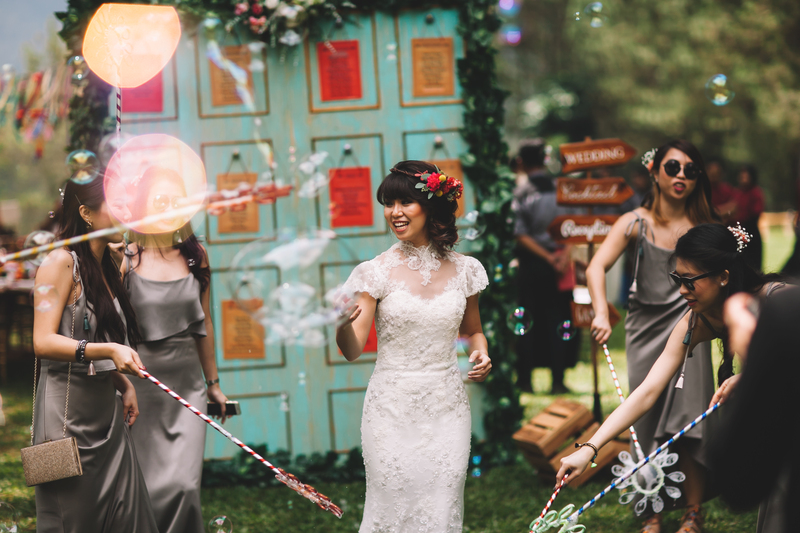 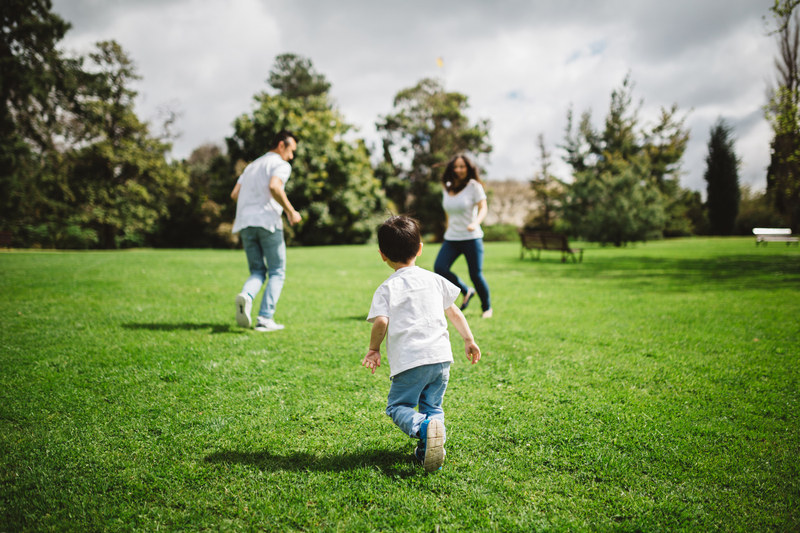 Although it rained for some time, it seemed like it didn’t take out the joy of the day at all! 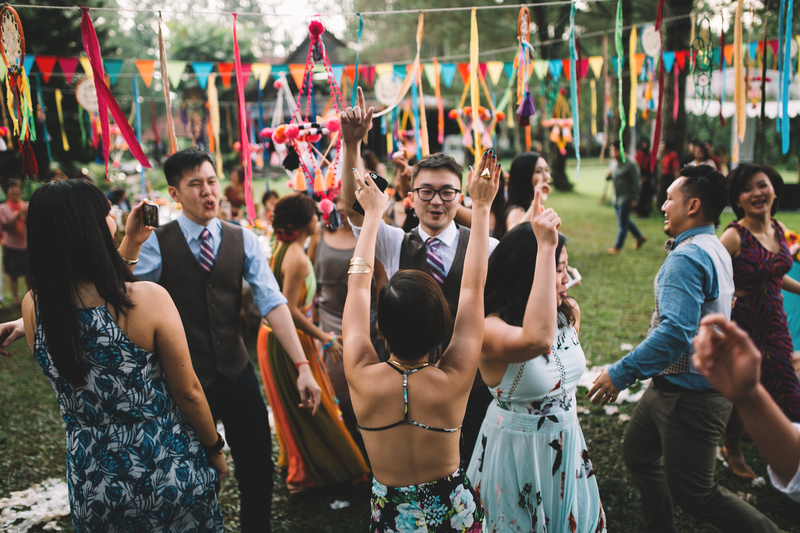 The wedding ended with a fun dance where everyone joined in. 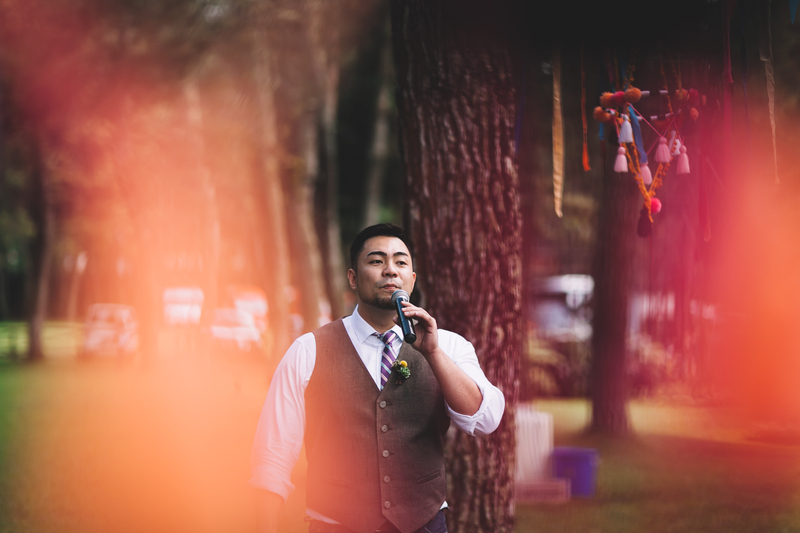 It was hands down the most unique and fun wedding I’ve documented so far!